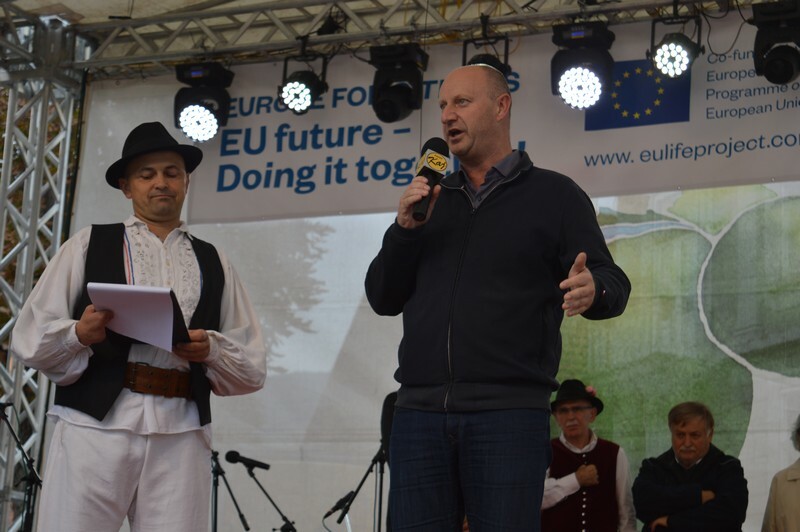 EU future – Doing it together! 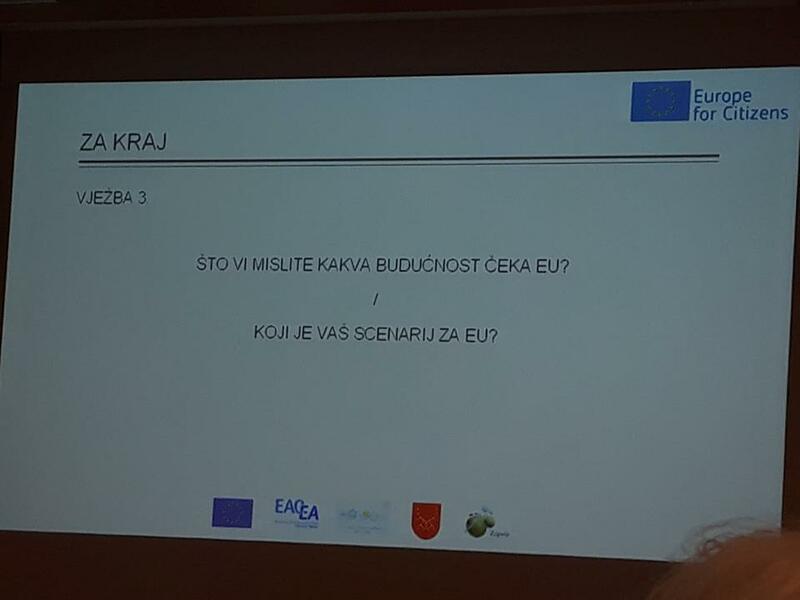 Budućnost EU – Učinimo više zajedno! 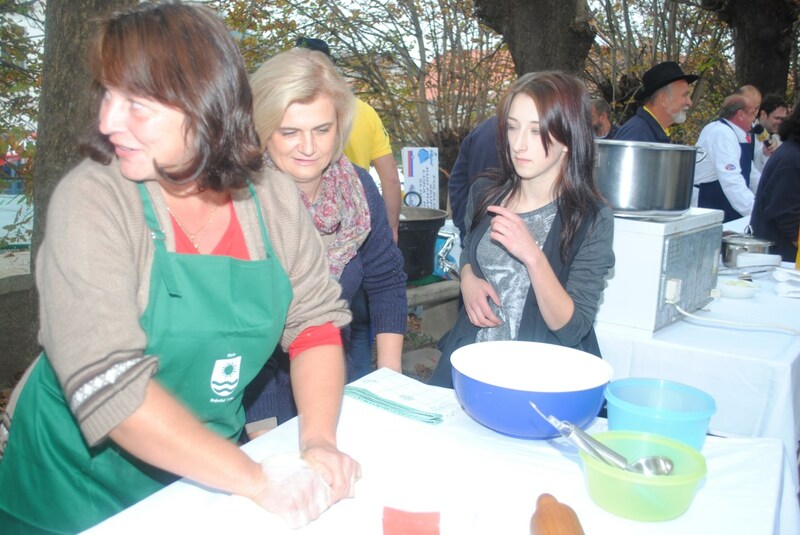 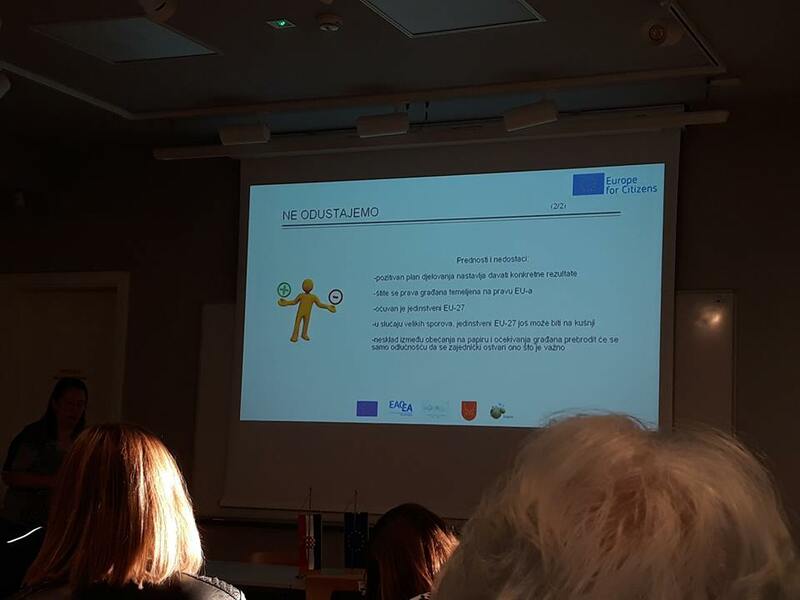 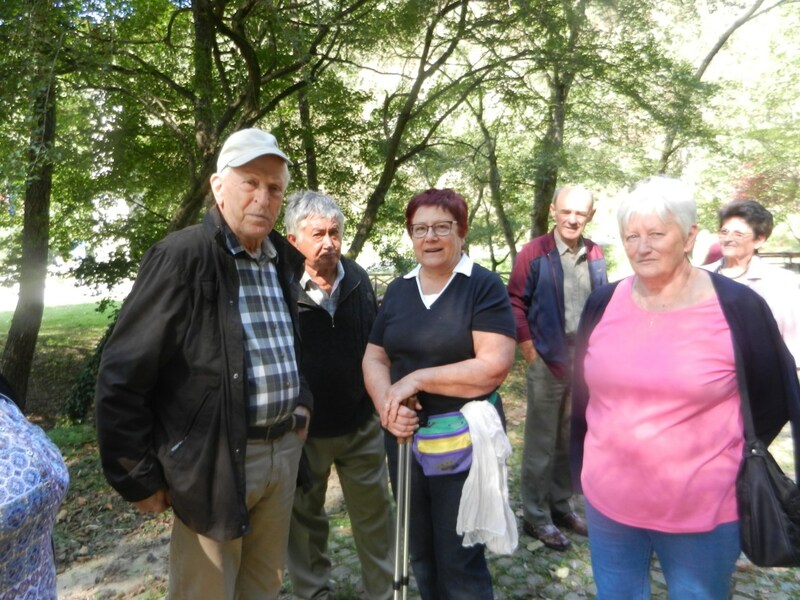 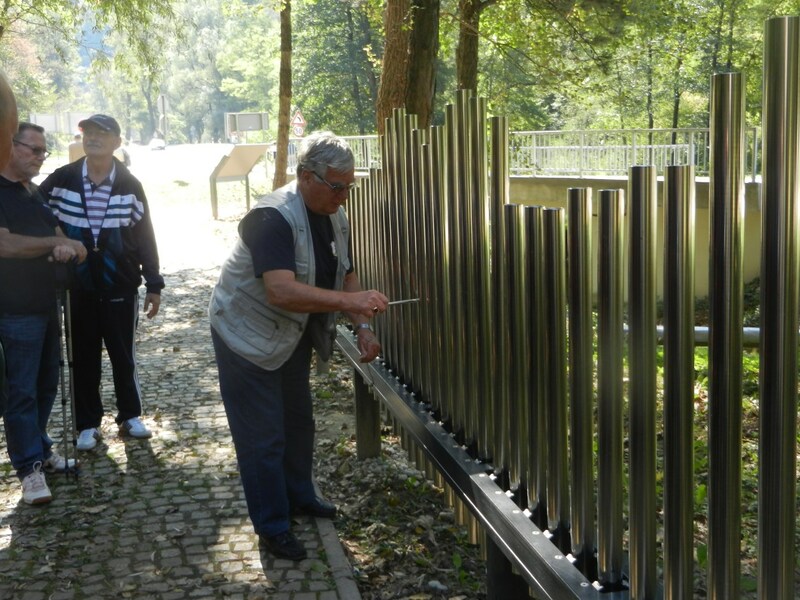 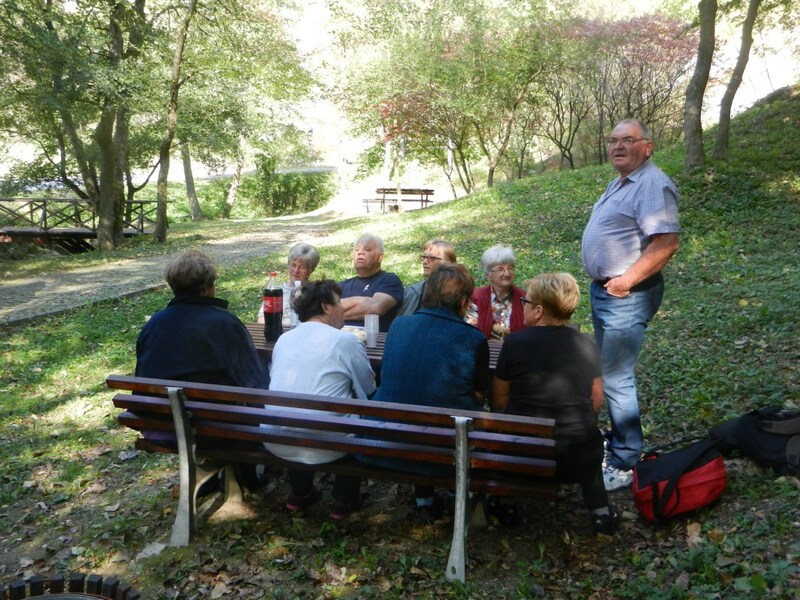 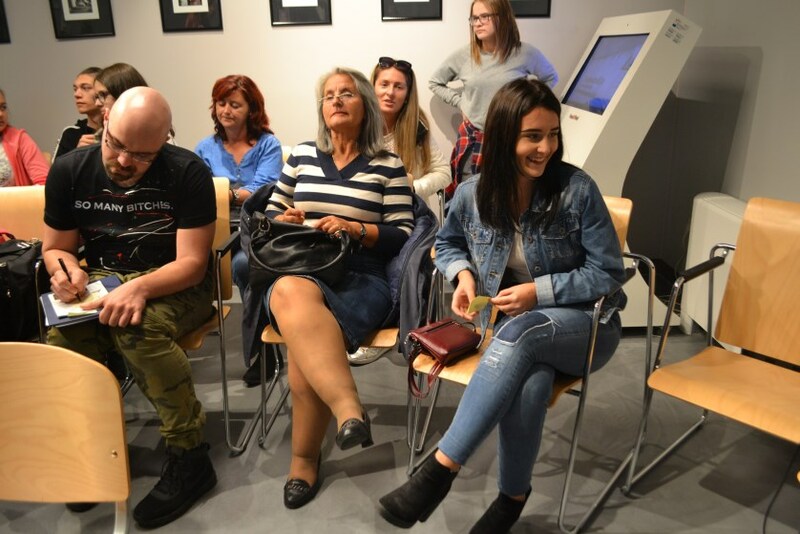 Participation: The project involved 361 citizens, notably 140 participants from the city of Klanjec (Croatia), 35 participants from the city of Wilamowice (Poland), 19 participants from Rajecke Teplice (Slovakia), 20 participants from the city of Dolny Benešov (Czech Republic), 15 participants from Héviz (Hungary), 39 participants from Novi Sad (Serbia), 43 participants from Bihać (Bosnia and Hezegovina), 20 participants from Občina Starše (Slovenia), 30 participants from Bistrica ob Sotli (Slovenia). 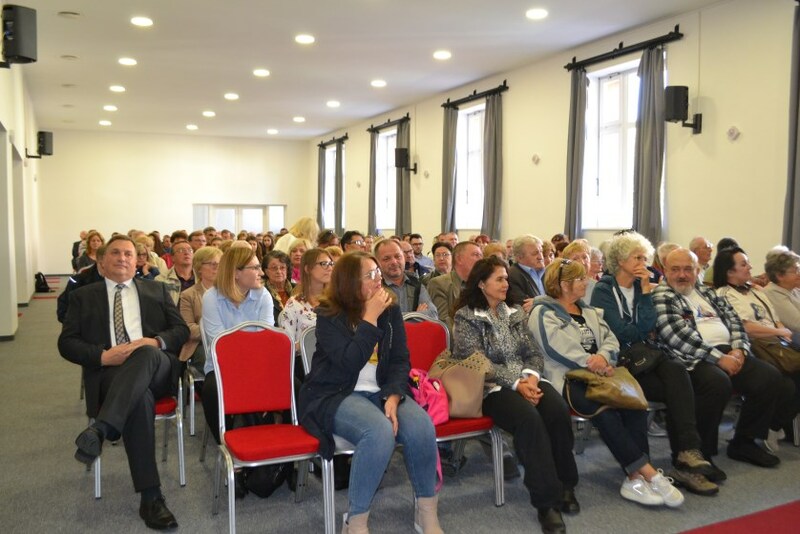 The day of 05/10/2018 was dedicated to the arrival of participants, their gathering, accommodation and then project activities starting with presentation about timetable of activities. 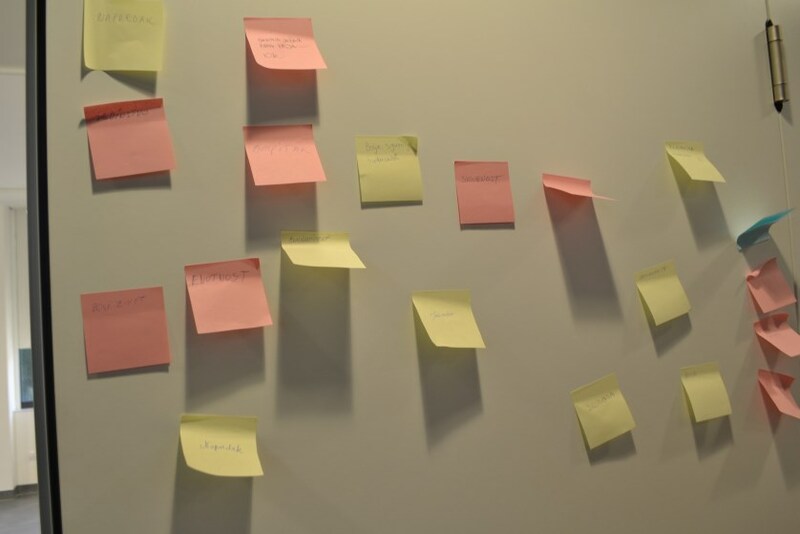 On Friday, workshop of making the website started. 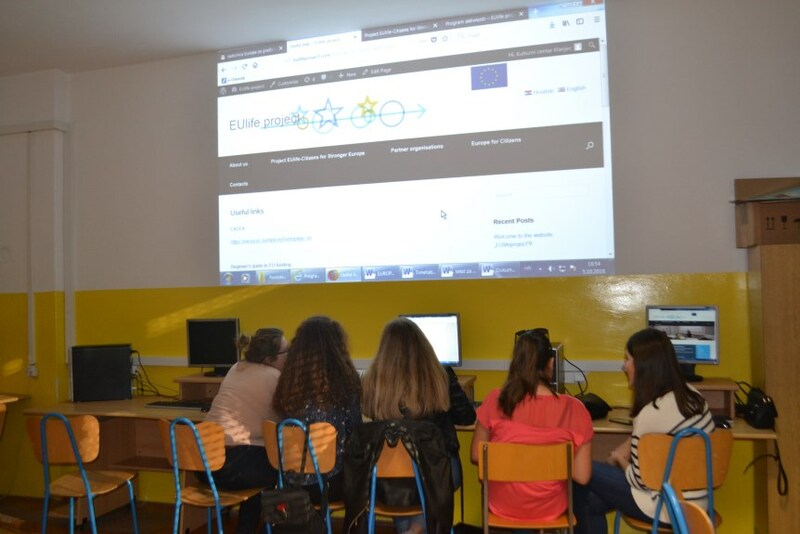 Team of younger participants continued the work on project web site that has started within last year’s project activities. 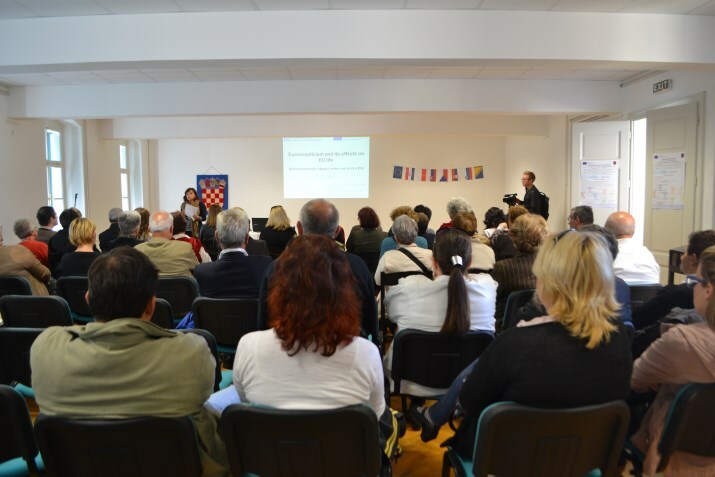 Seminar and discussion “Possibilities for citizens to participate in decision making processes about future of EU” was held with the participation of most participants of project. 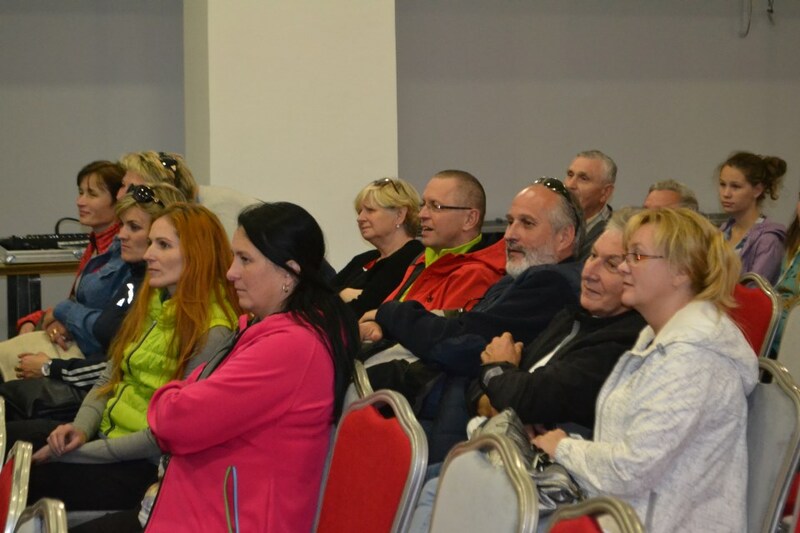 It was a platform for participants to express their opinions and thoughts about civil participations in decision making processes on EU level. 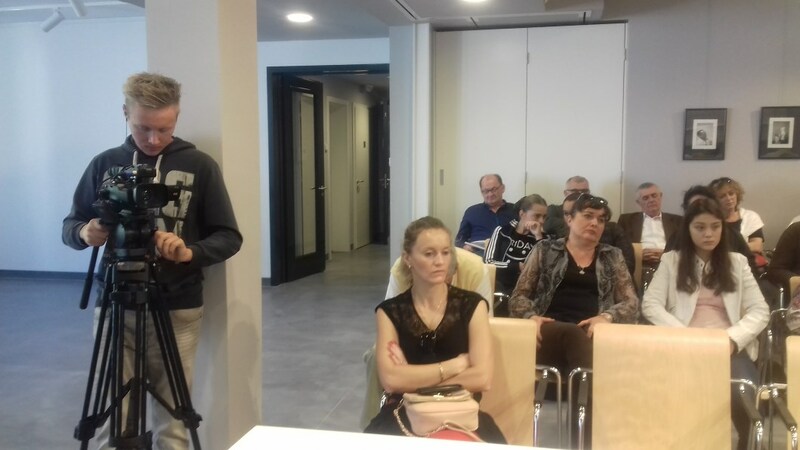 Discussion showed there is not enough interaction and dialogue between citizens and elected representatives in EU Parliament and that citizens expect that their opinions are taken in consideration when decisions are being made not just those of political parties. 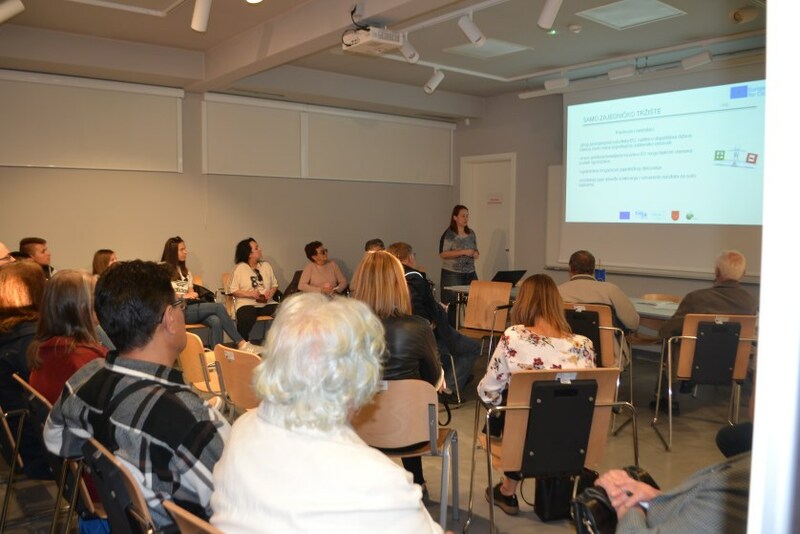 On the workshop „White paper on the Future of Europe – the future of Europe is in our hands” participants learned and debated about five possible scenarios of EU future was held. 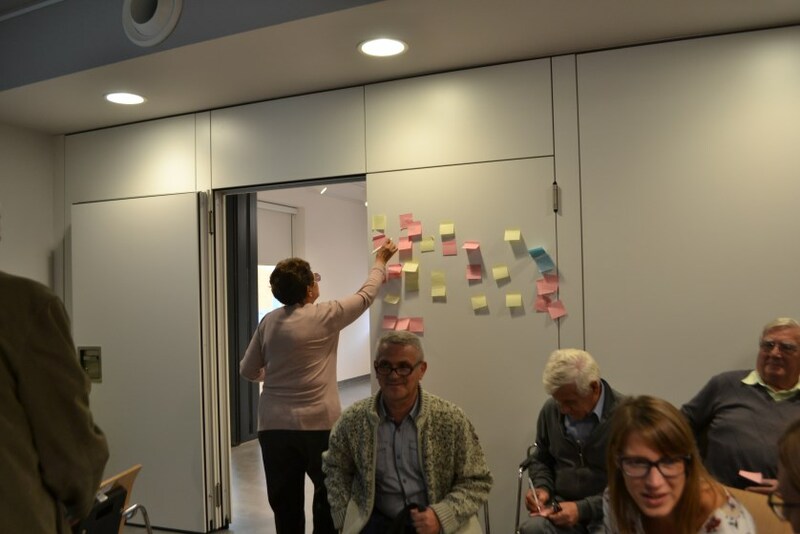 Participants had opportunity to show their view which scenario is more possible, but also have expressed in one word or sentence what they feel is the most important for EU future. 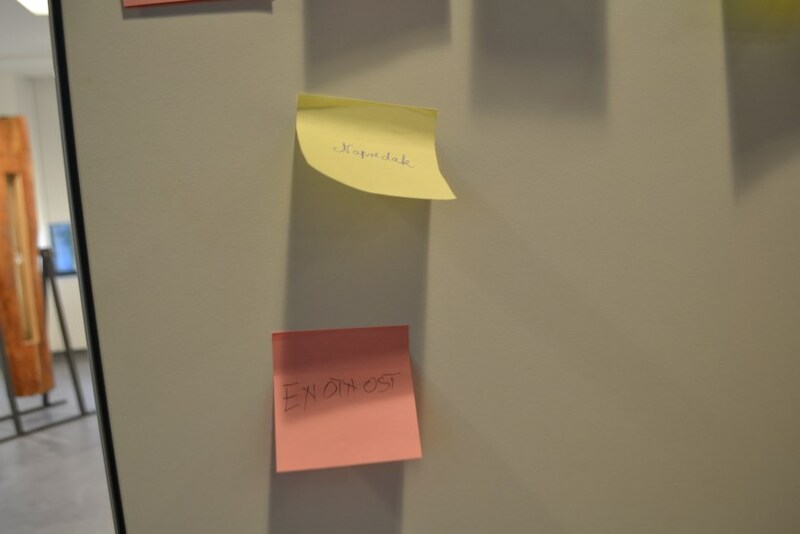 Most of them wrote “safety”, then “equality”, “openness”, “regulated market” and “expansion”. 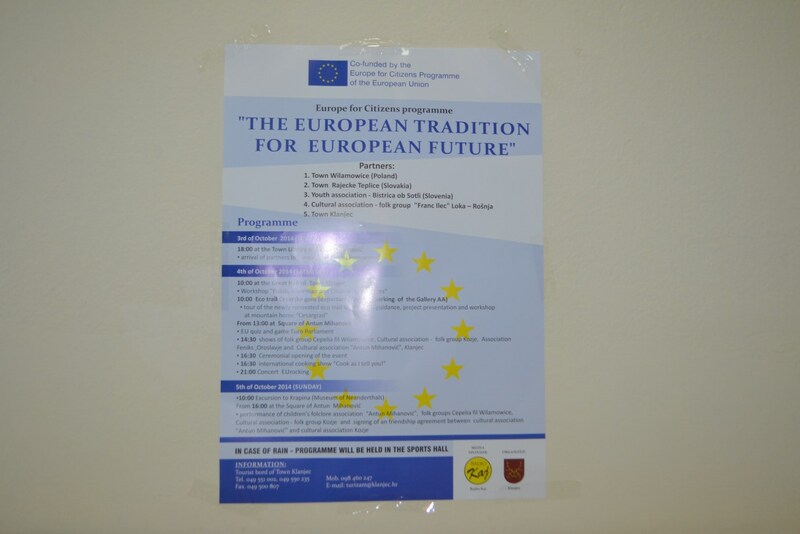 Most participants stated that in the future, EU should lean more to the model that USA applies. 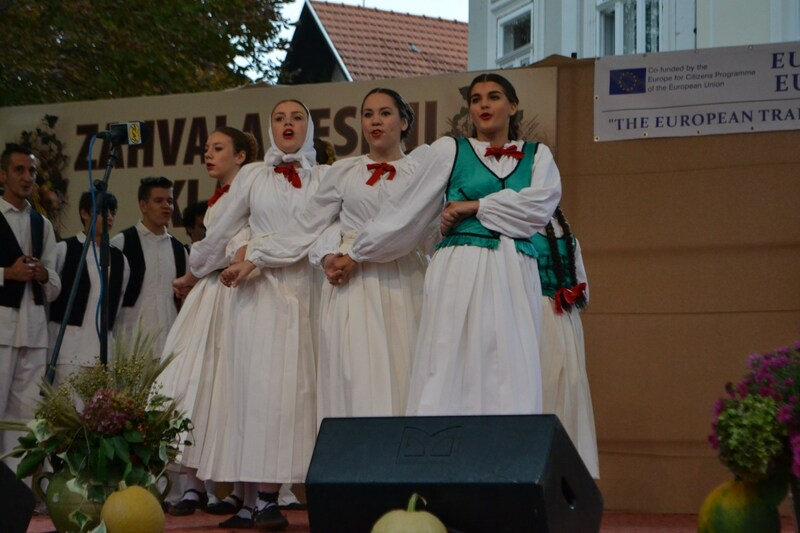 Part of programme was marking European year of cultural heritage and intercultural exchange between participants under the name “„Where the past meets the future”. 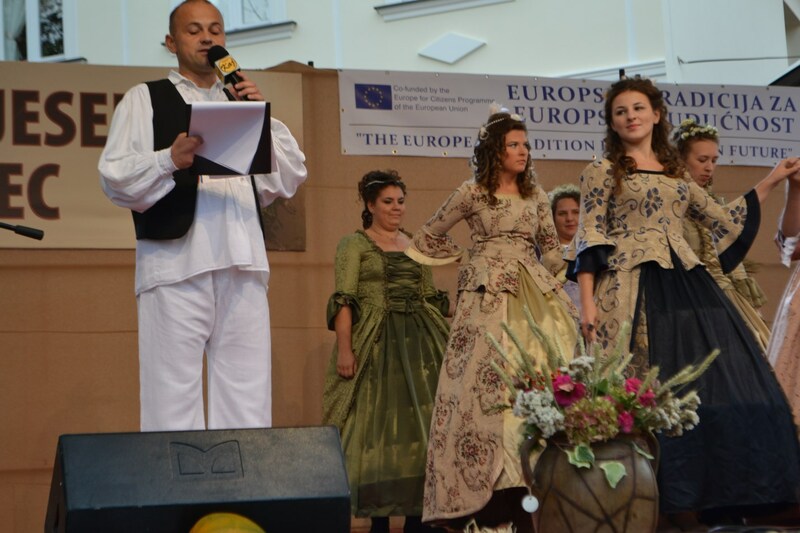 On the first day, participants presented their cultural heritage from places they come to encourage people to learn about cultural diversity of European peoples. 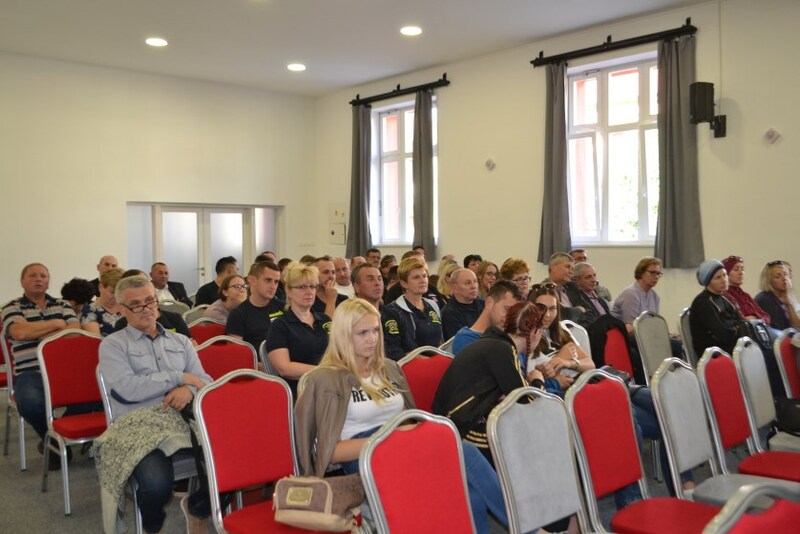 The day of 06/10/2018 was dedicated to workshop „Making the project idea for joint partner programme “Network of towns“. 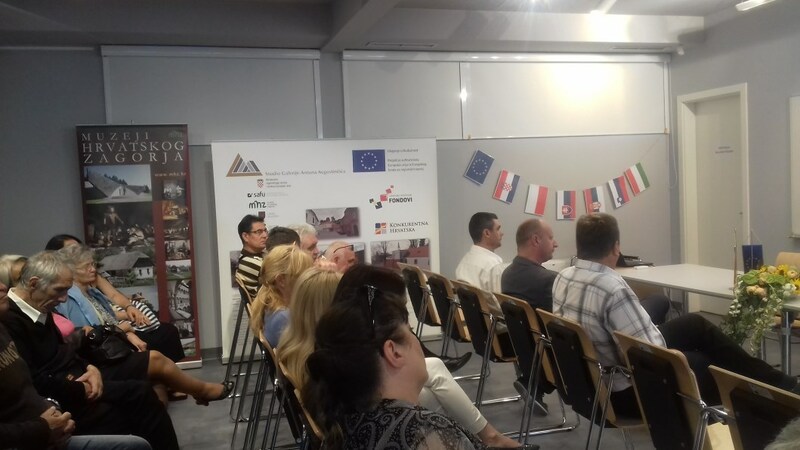 Interested participants from 6 partner towns have been exchanging ideas about joint project idea for possible further upgrade of cooperation within Programme “Network of towns“. 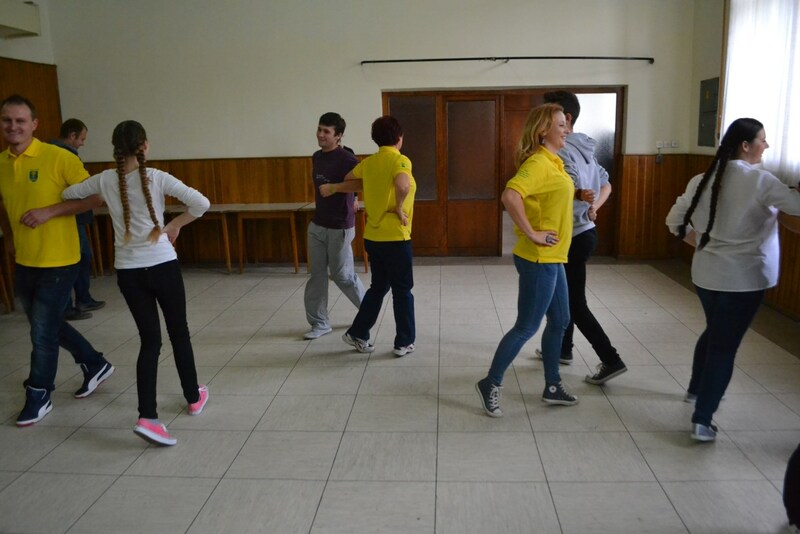 The workshop was continued on the next (last) day of project. 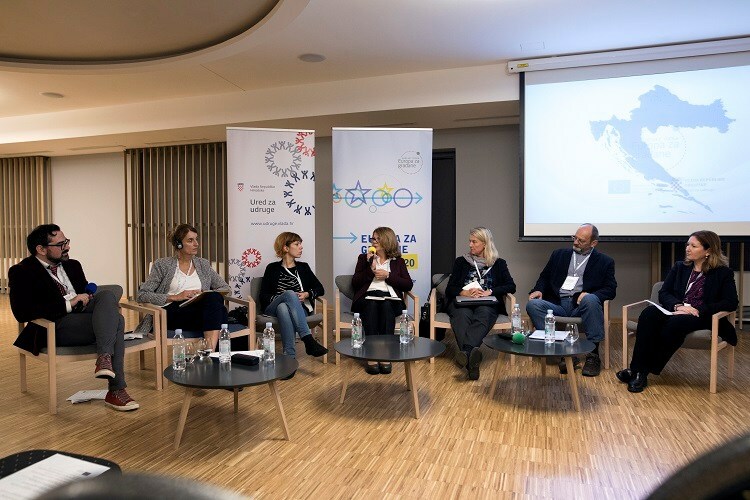 Partners from Bosnia and Herzegovina moderated discussion “I am European” where participants from EU member and non-members states exchanged thoughts on what being European means to them, and if identifying yourself as European decreases your national identity. 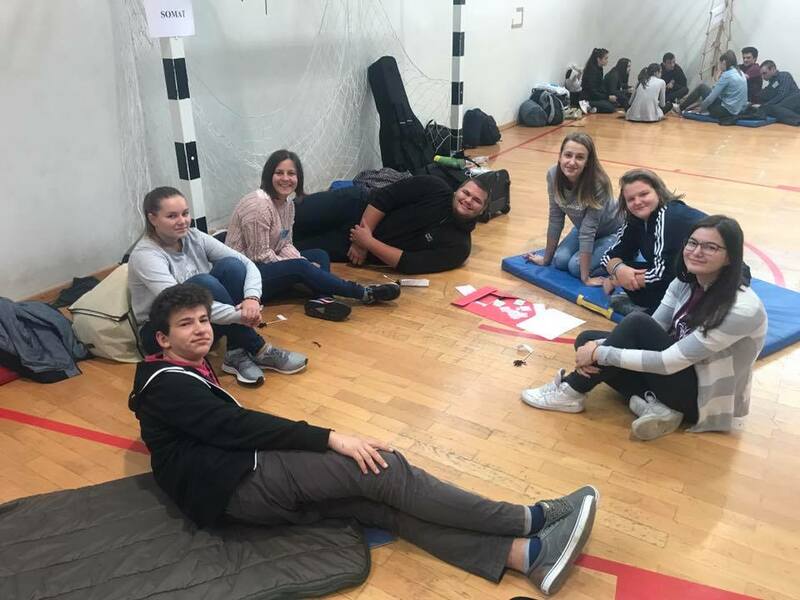 Participants from Poland, Slovakia and Czech think that national identity should have more importance, while participants from Slovenia, Hungary, Serbia and BiH think that living in EU does not mean losing your identity, on contrary it is advantage being citizen of European Union. 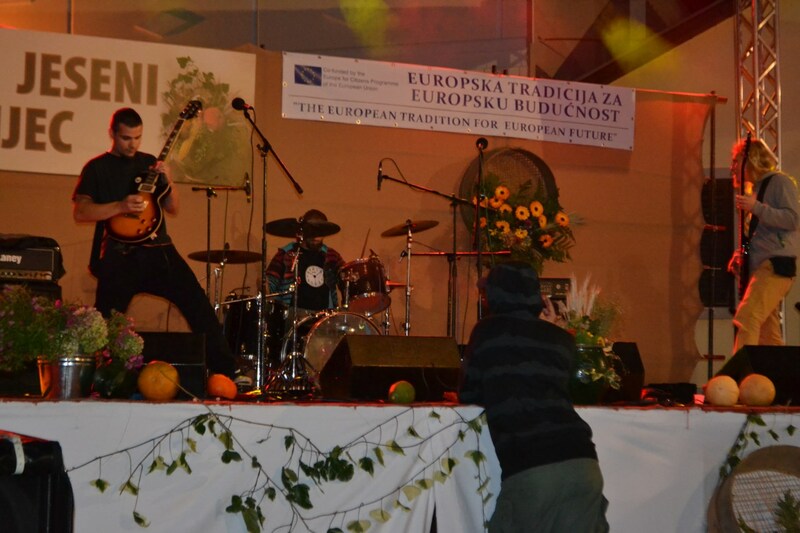 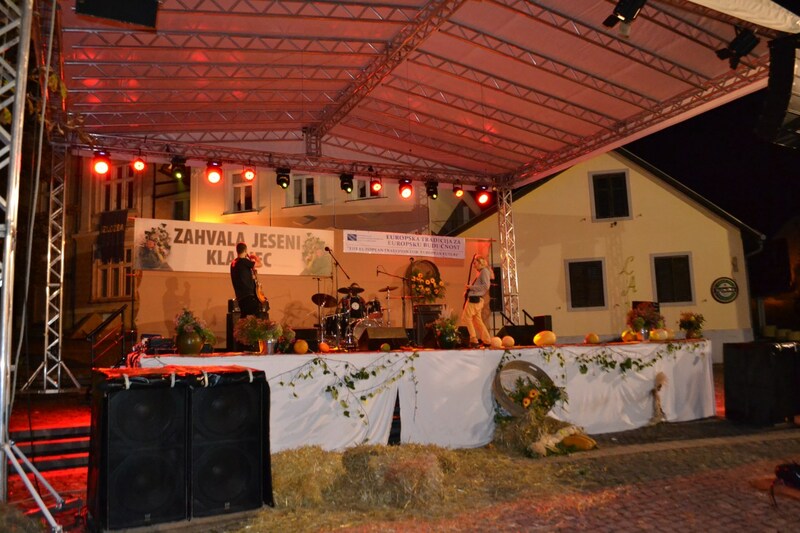 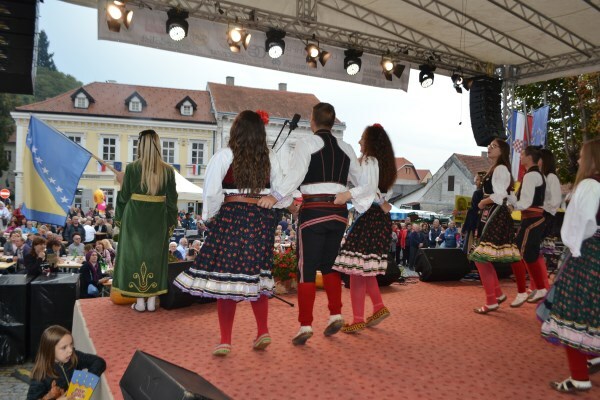 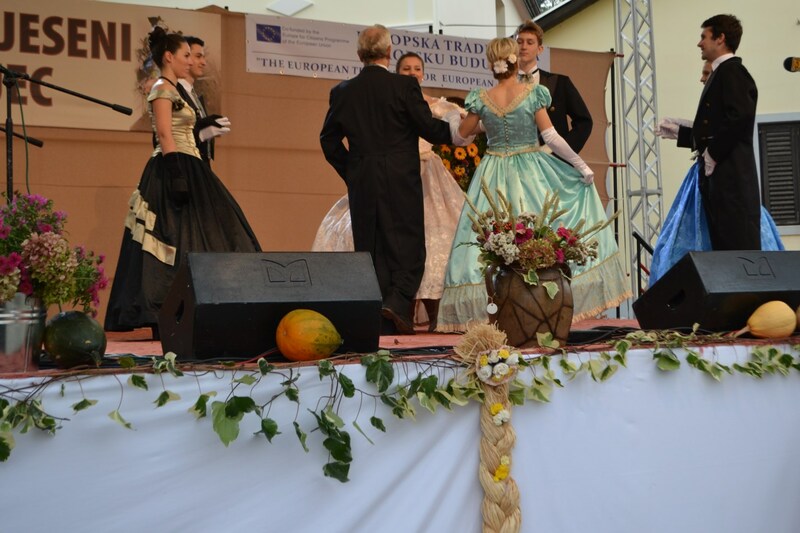 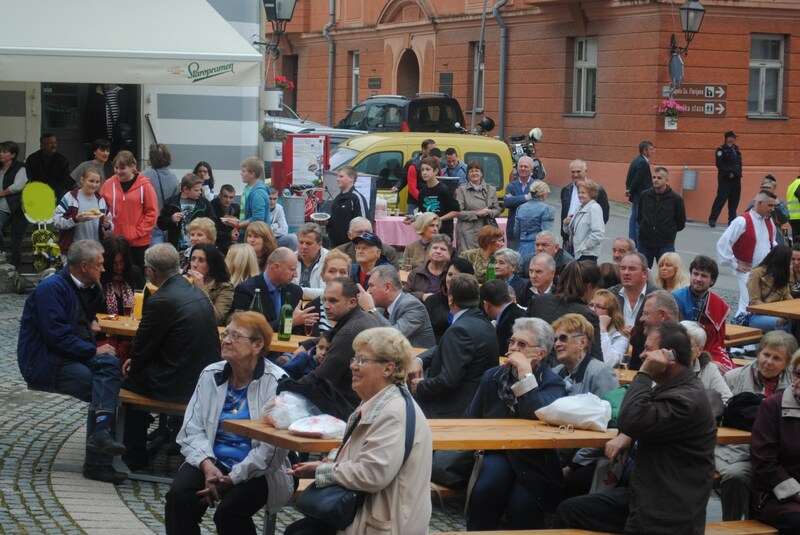 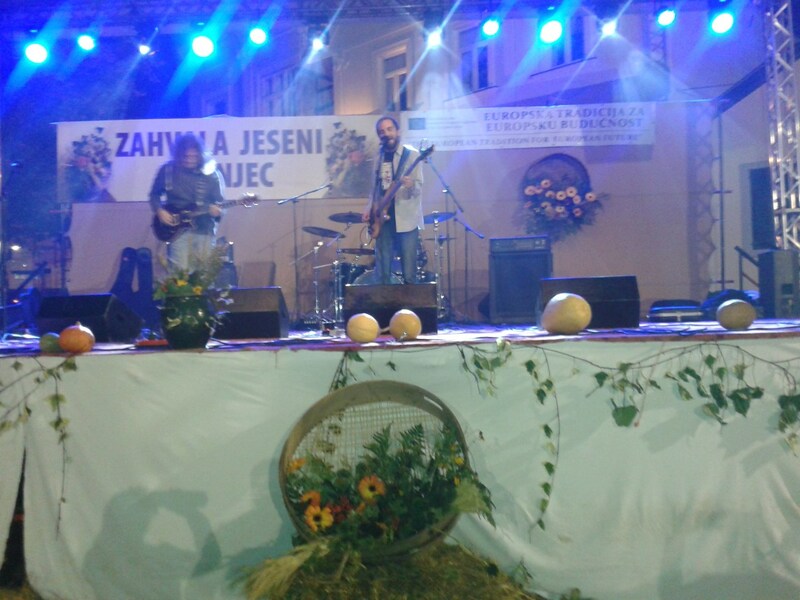 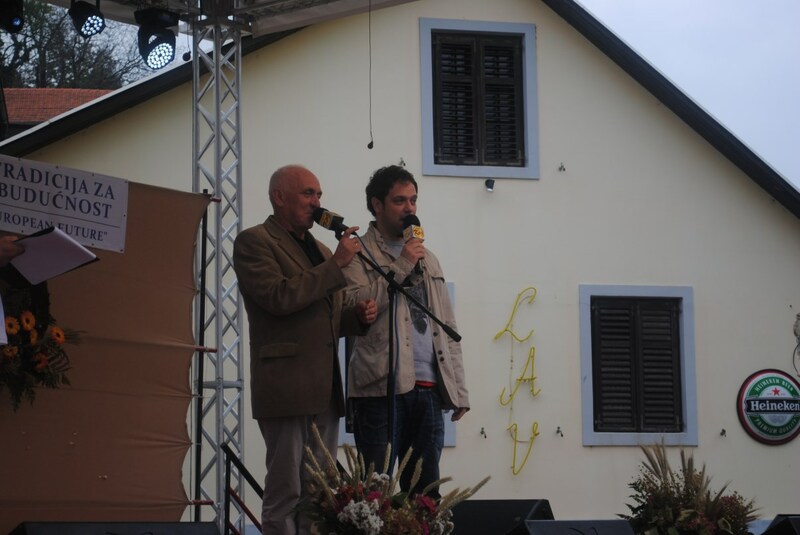 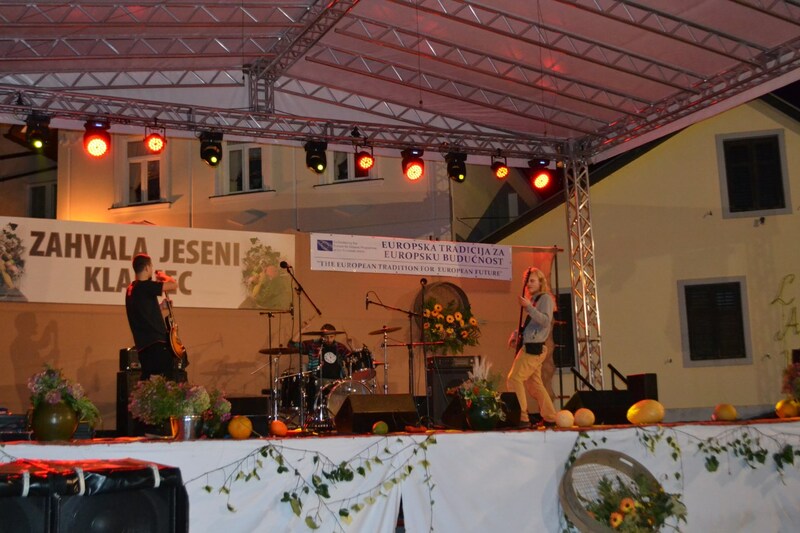 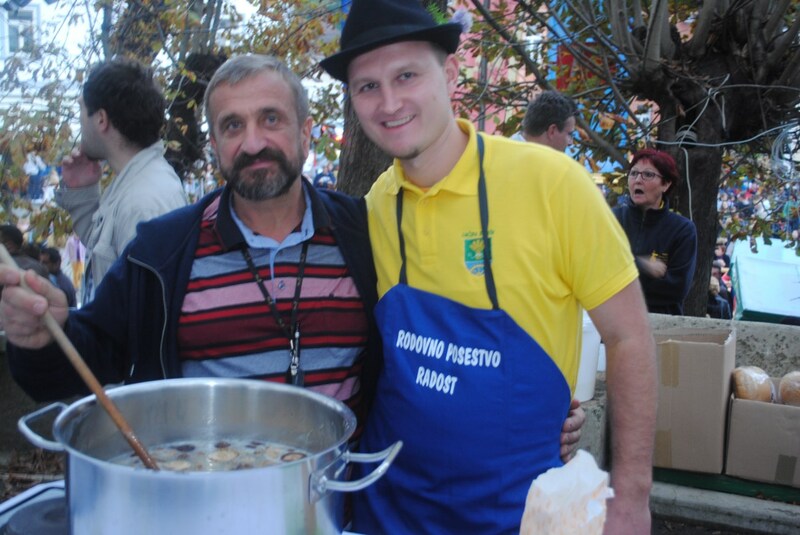 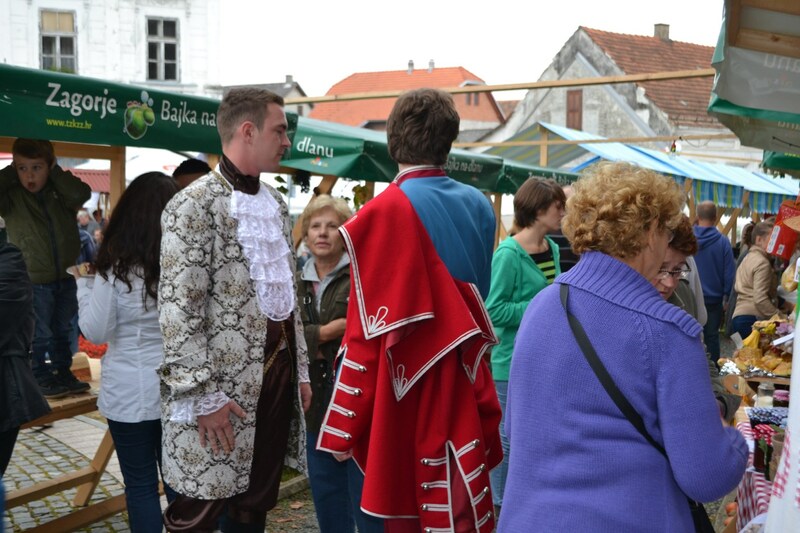 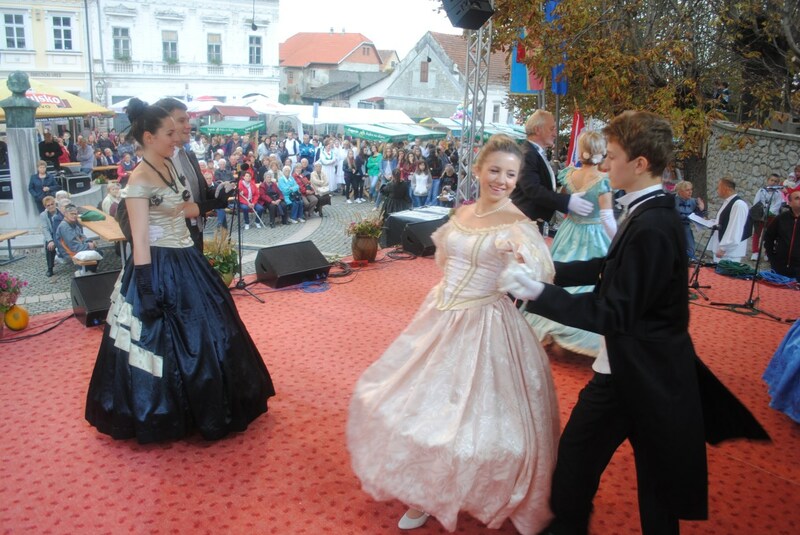 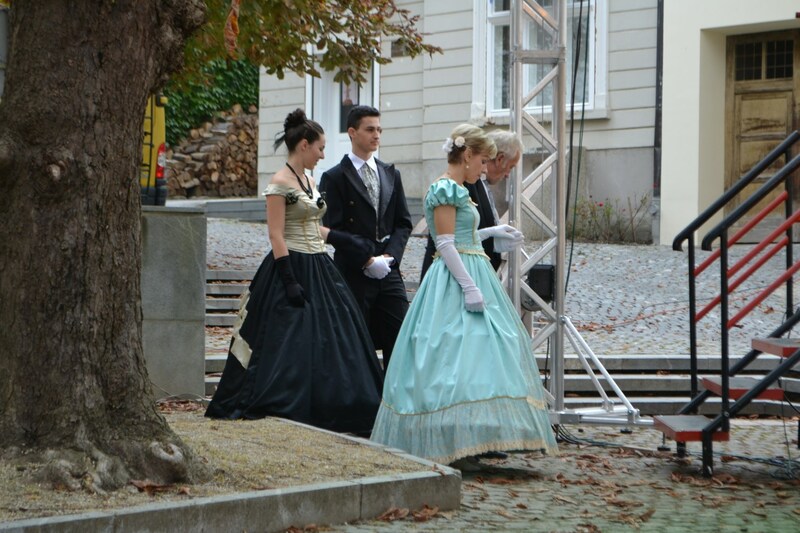 In the afternoon, on the main square, programme „Celebrating European year of cultural heritage – cultural show” was held. 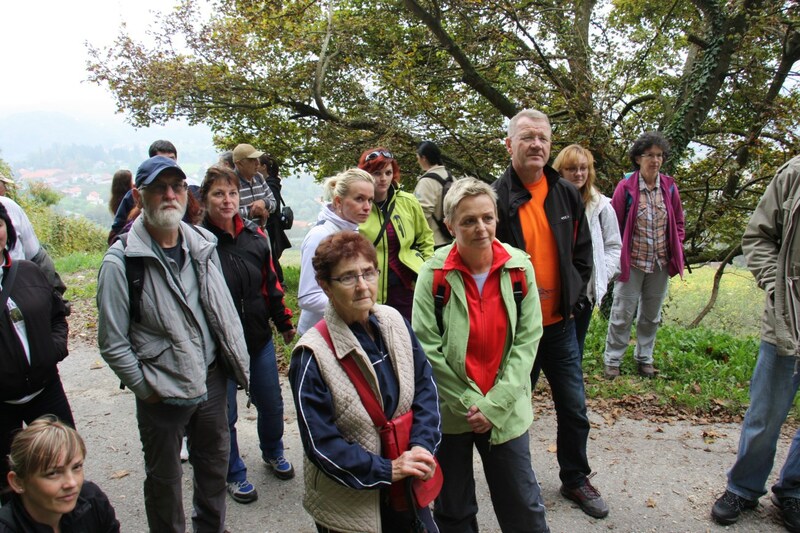 Participants showed part of their cultural heritage to large number of visitors. 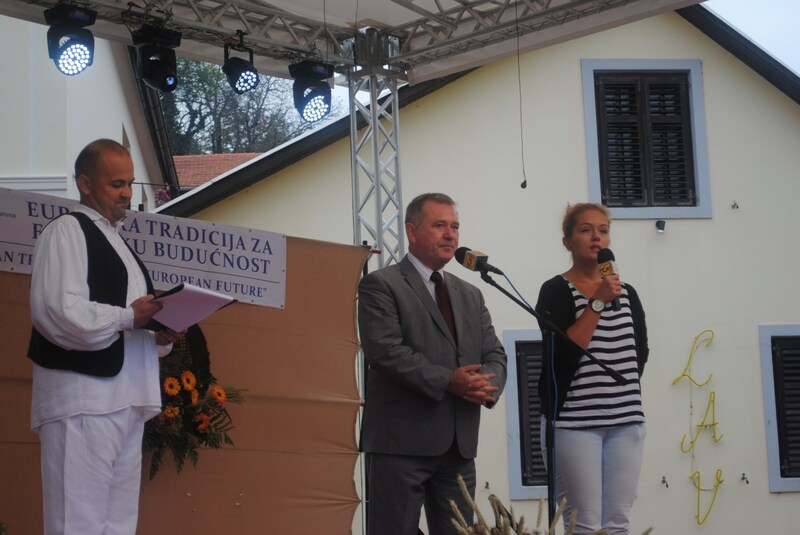 Debate „Doing Much More Together” – citizens role in the future of EU” which was moderated by representatives of senior association from Slovenia, had accent on citizens perception and views about possibilities of making common European policies in different areas of action that in their opinion should contain more balanced shared attitudes, since only united in common policies we can do more. 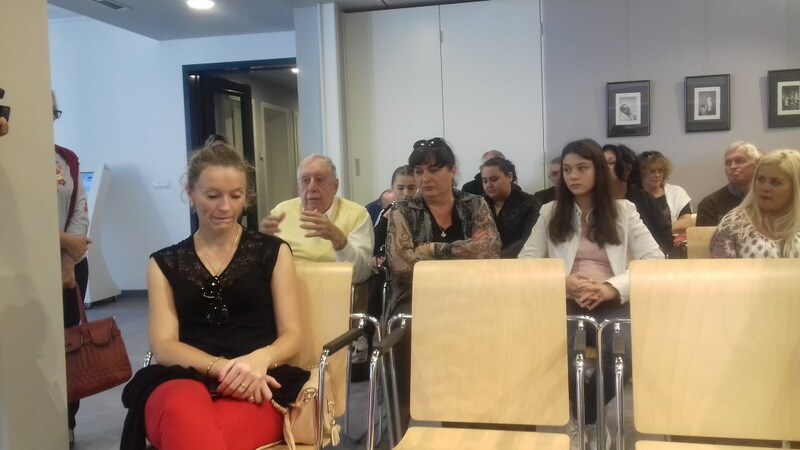 The day of 07/10/2018 was dedicated to „Discussion about accession of west Balkan countries to EU” for which was big interest because the project involved representatives from BiH and Serbia. 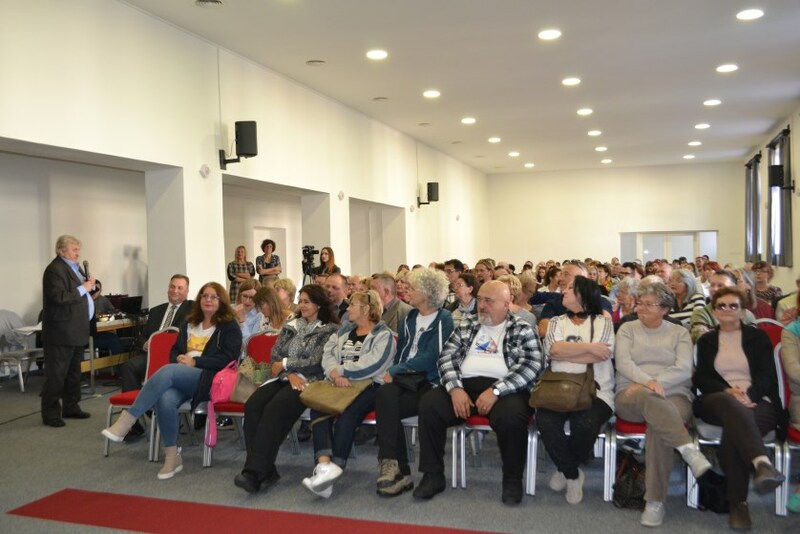 Citizens from other states expressed positive opinions on accession of west Balkan countries, especially because of actual migration problems. 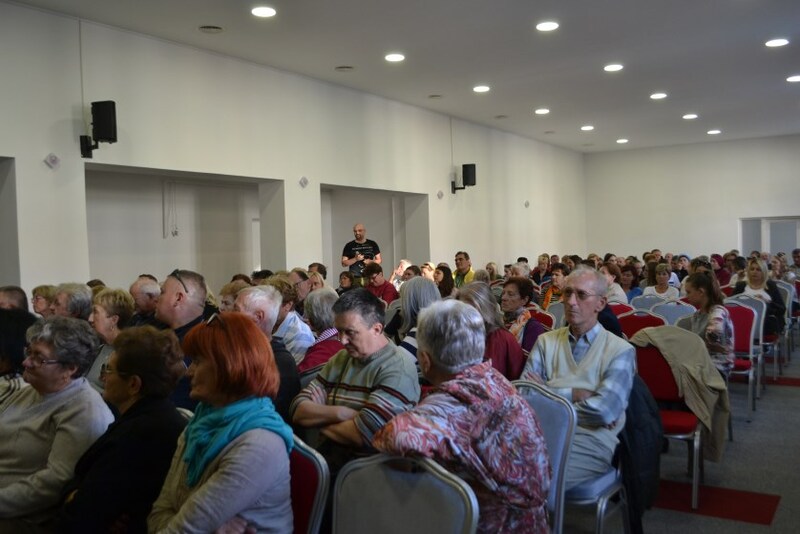 Citizens from Serbia and BiH have expressed dissatisfaction with their government work and their wishes on accession to happen before 2025. 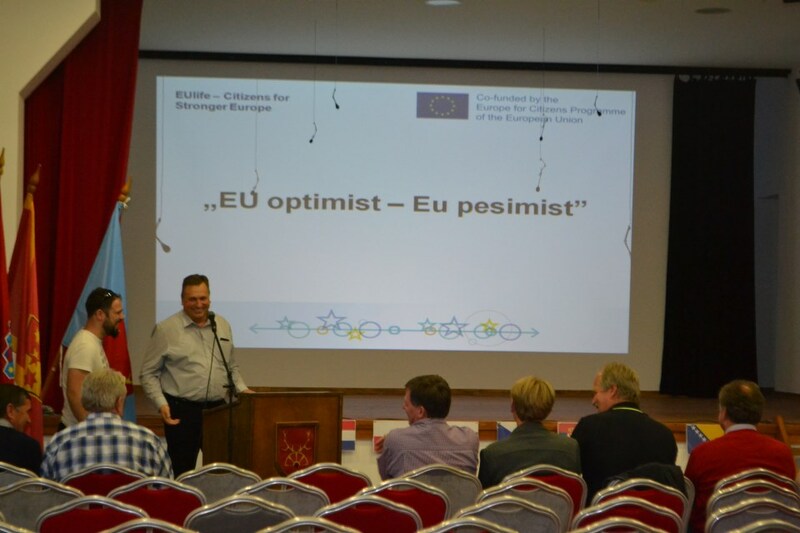 As the answer to the rising euroscepticism amongst EU citizens, they give examples of advantages that EU citizens have opposite to them. 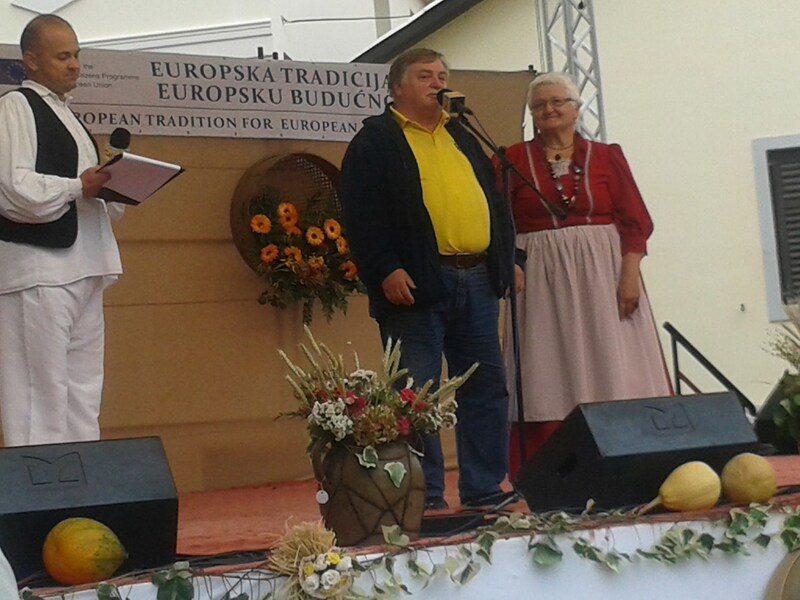 Discussion about the role of culture and art in the future of European Union was moderated by representatives of cultural association from Hungary. 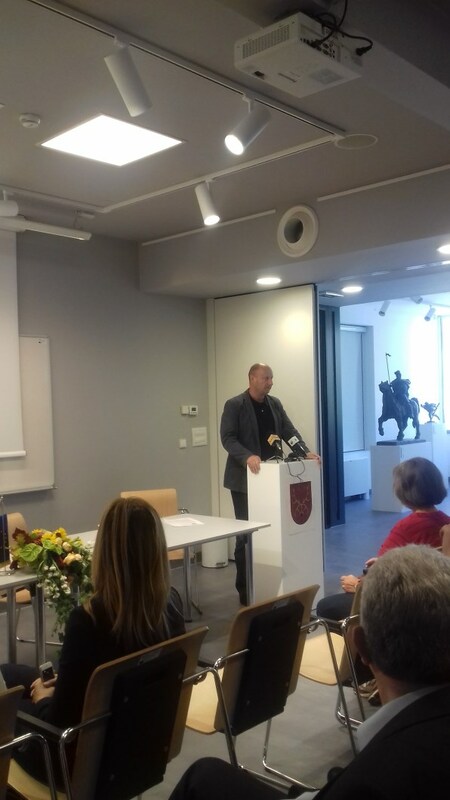 The conclusion of this discussion is that diversity is the true value of the united Europe and that culture and art are always integrating factors and therefore very important for the future of EU. 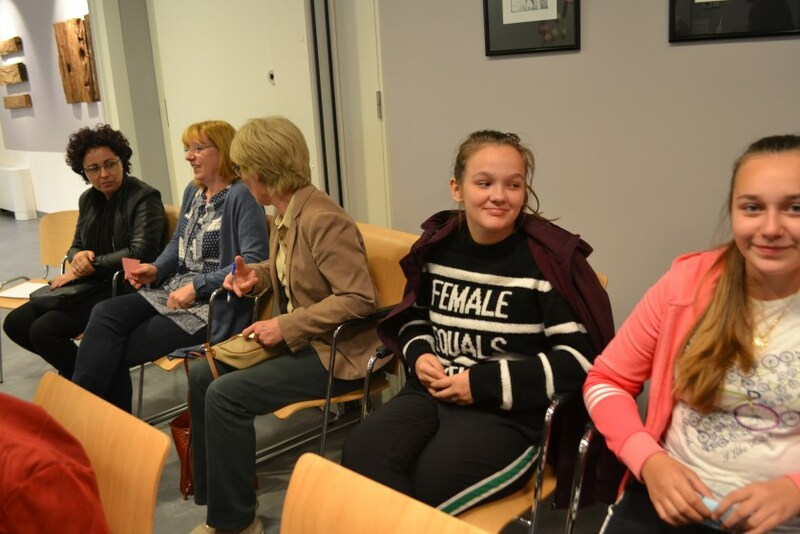 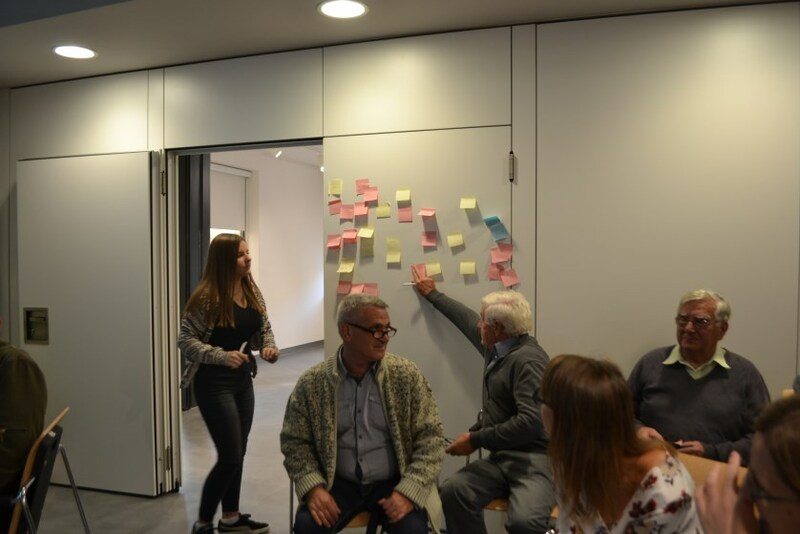 “Final thoughts on the Future of EU – do we need enthusiasm and how can we achieve it” was a debate where participants discussed how much positive EU citizen’s attitudes and enthusiasm can contribute to a stable EU future. 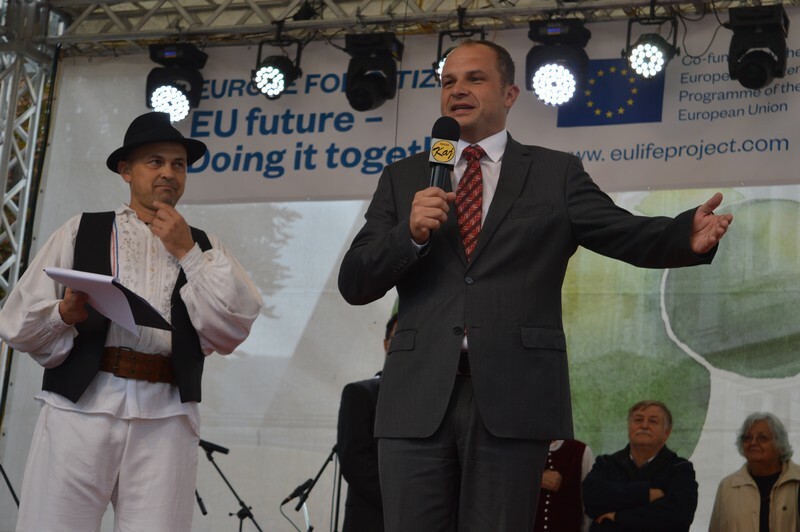 There is a desire that in the future EU becomes more Union of Citizens, and less affected by the national divisions between member states, and to achieve this, we have to insist on the achievement of fundamental values EU was founded. 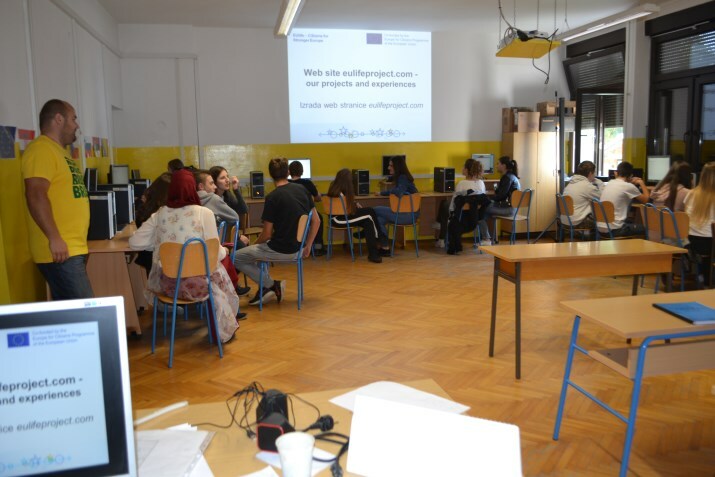 At the end of last day, final workshop of making the website was held, in the late afternoon participants have left. 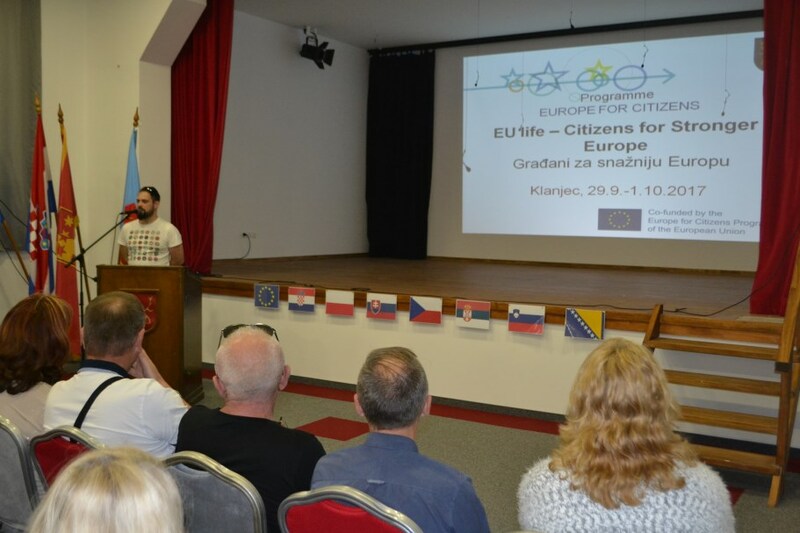 Info template Europe for citizens Grad Klanjec 2018. 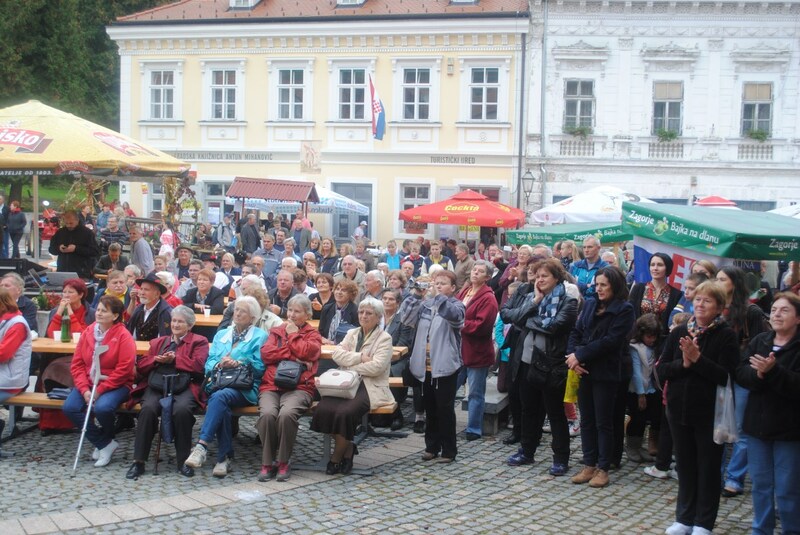 Vrijeme održavanja: 05. 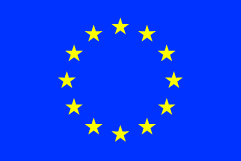 – 07. 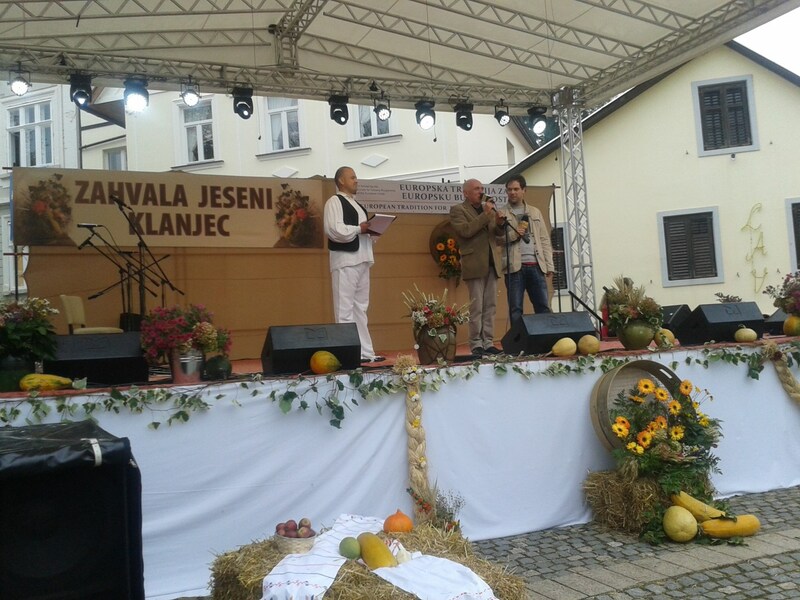 10.2018. 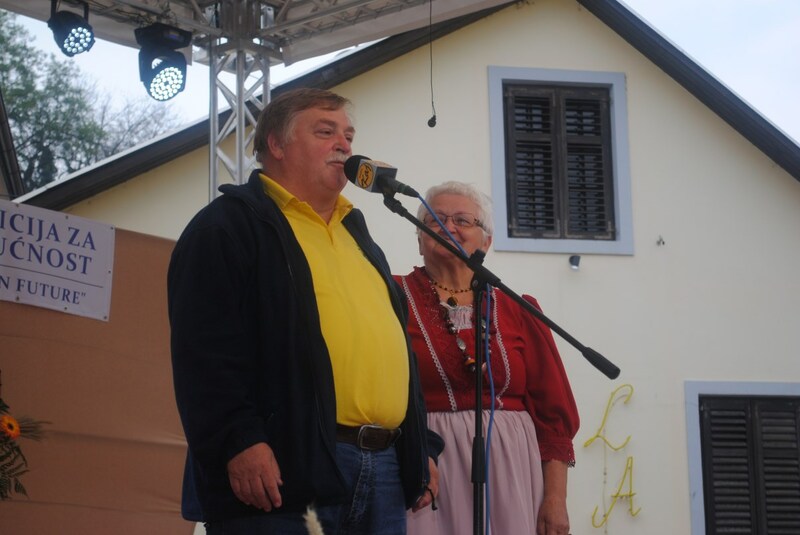 Partneri: pobratimljeni grad Wilamowice iz Poljske, Općina Rajecké Teplice iz Slovačke, Grad Dolní Benešov iz Češke, Hrvatsko kulturno-prosvetno društvo “Jelačić” Petrovaradin iz Srbije, Općina Starše iz Slovenije, Društvo upokojencev Bistrica ob Sotli iz Slovenije, Musica Antuqua Ensemble Heviz iz Mađarske, KUD Hasan beg Biščević iz Bosne i Hercegovine. 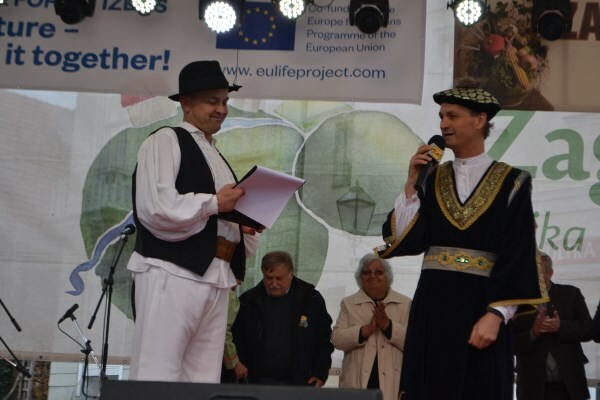 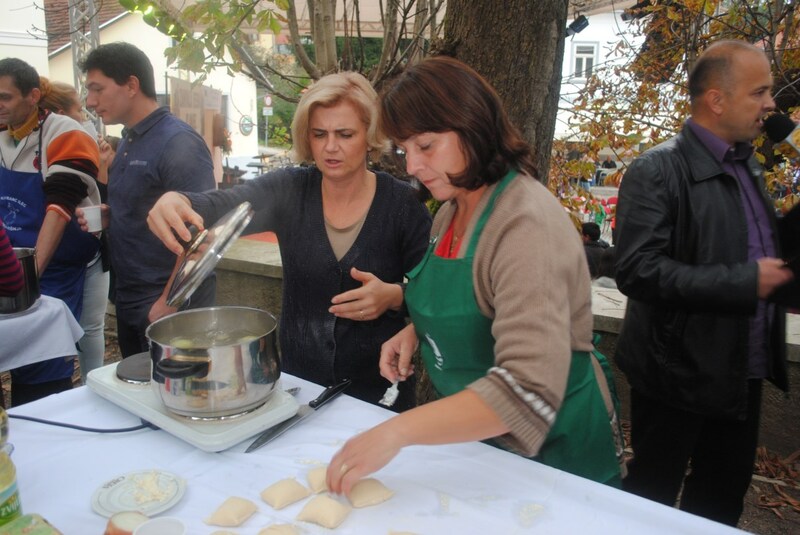 Nakon uspješno provedenih programa Europska tradicija za europsku budućnost/European tradition for European future i Čvrsta EU – solidarna EU/ SolidEU – ABOUT SOLIDARITY IN EU“/ Građani za snažniju Europu / EUlife – Citizens for Stronger Europe/ koje je u okviru programa Europa za građane sa svojim partnerima Grad Klanjec realizirao 2014., 2016. i 2017. godine, Izvršna agencija za obrazovanje, audiovizualnu politiku i kulturu (EACEA) iz Bruxellesa odabrala je te odlučila iznosom od 25.000 EURA financirati novi program i susret građana koji je prijavljen na ovogodišnji natječaj. 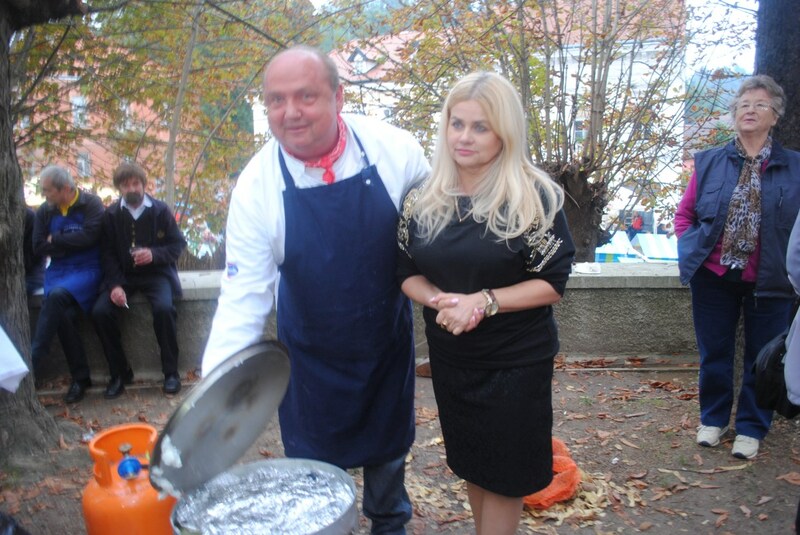 U sklopu Cjeline 2. 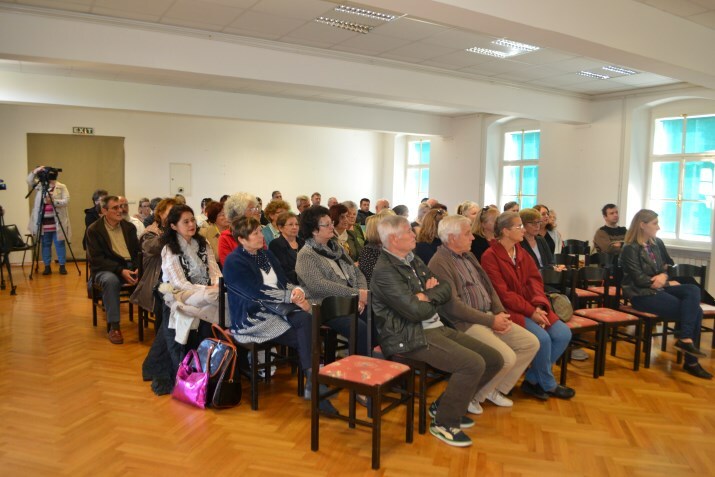 Demokratsko angažiranje i građansko sudjelovanje, a unutar mjere 1.2. 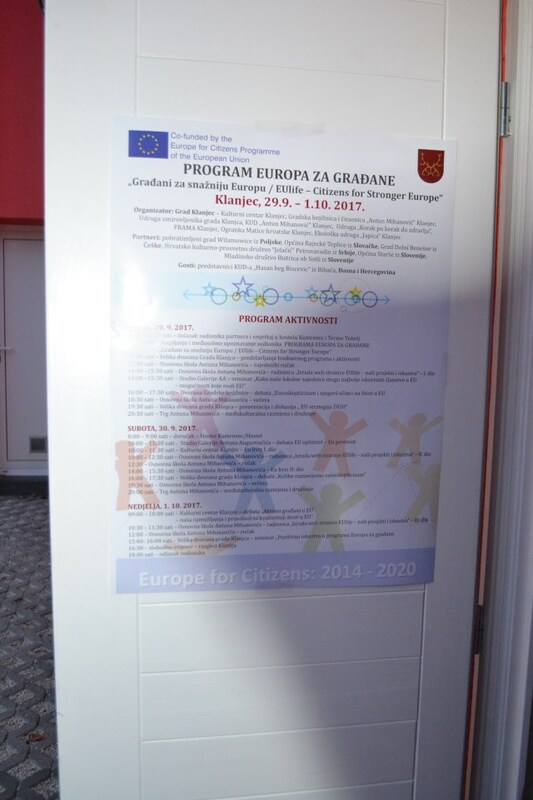 Bratimljenje gradova, Grad Klanjec je prijavio projekt pod nazivom: EU future – Doing it together! 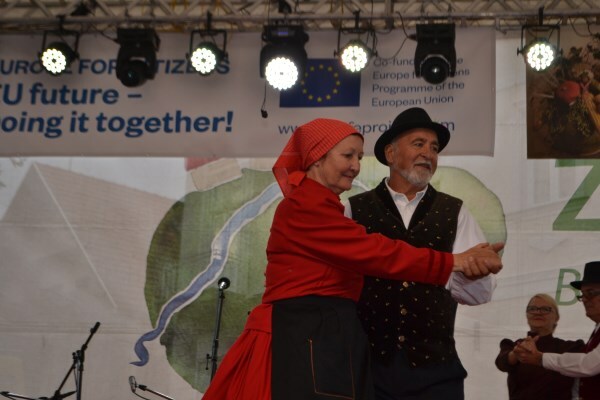 U ovogodišnjem projektu sudjeluje devet partnerskih organizacija, od kojih njih sedam dolazi iz država članica EU, a dvije su iz zemalja koje to tek trebaju postati. 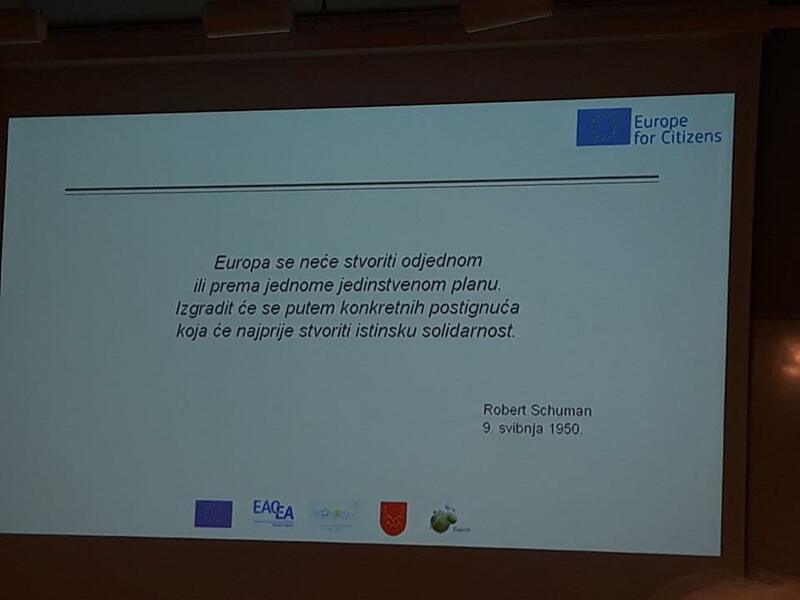 Glavna tema susreta ove je godine vezana uz razmjenu mišljenja građana iz osam različitih država, od koji su neke članice EU, a neke ne, o budućnosti Europske unije, a tijekom trodnevnog programa na tu temu će biti organiziran cijeli niz tribina, radionica, debata, prezentacija, ali i neformalnih druženja građana. 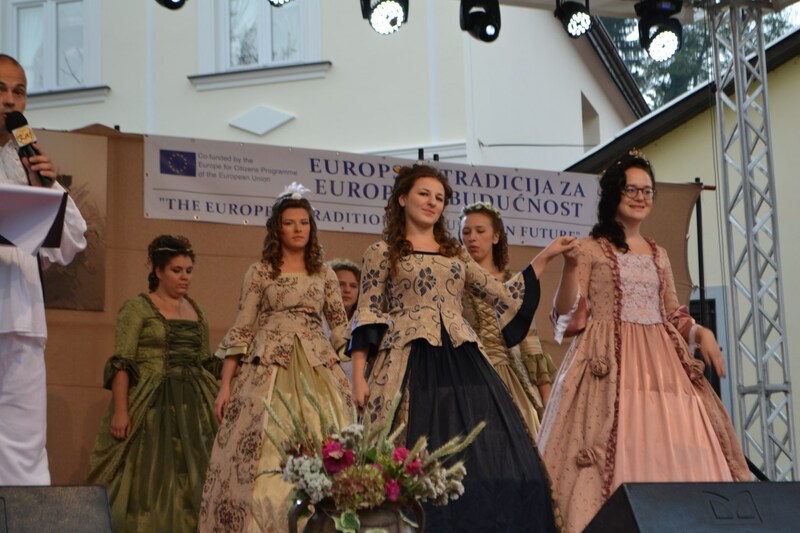 GRAD KLANJEC – PARTNER U PROGRAMU “Razem chrońmy dziedzictwo kulturowe Europy-tożsamość regionalna i pamięć wielokulturowa poprzez pryzmat historii prześladowań etnicznych tematem przewodnim 200-lecia nadania praw miejskich Wilamowicom”. 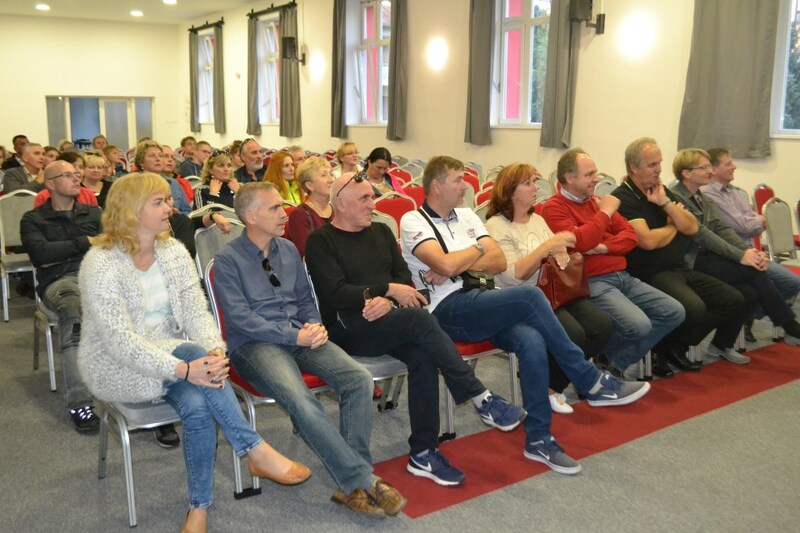 Po raz kolejny gmina Wilamowice otrzymała dofinansowanie z programu “Europa dla Obywateli”. 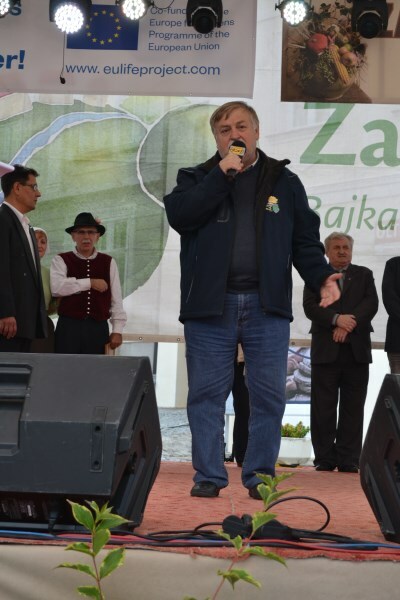 Gmina Wilamowice pozyskała po raz kolejny środki finansowe na zadanie pt. 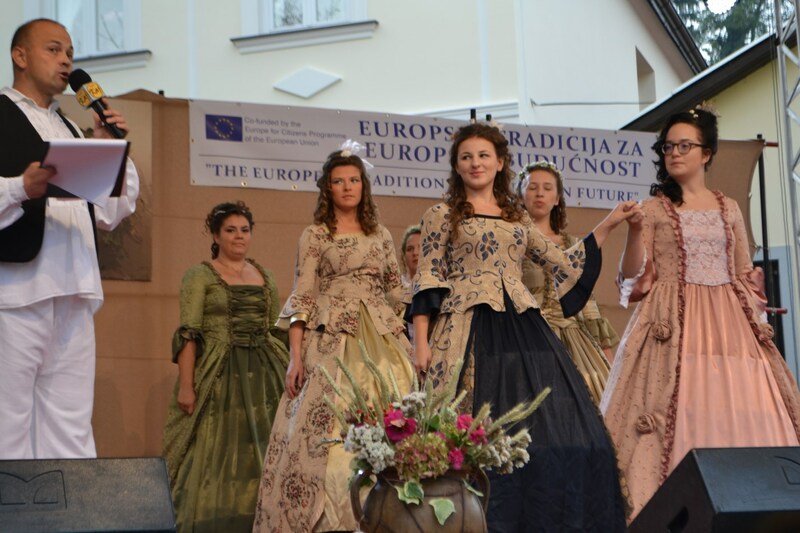 „Razem chrońmy dziedzictwo kulturowe Europy-tożsamość regionalna i pamięć wielokulturowa poprzez pryzmat historii prześladowań etnicznych tematem przewodnim 200-lecia nadania praw miejskich Wilamowicom”. 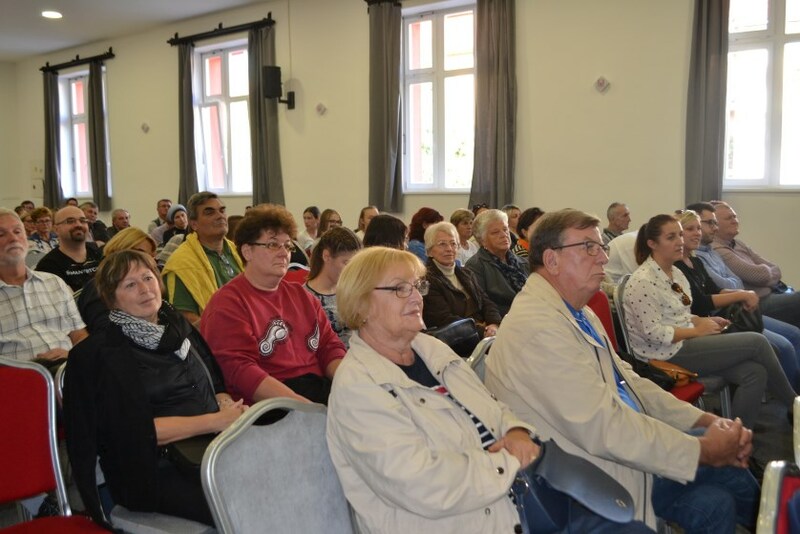 Projekt z programu „EUROPE FOR CITIZENS” zostanie zrealizowany w dniach 28.08.2018 – 02.09.2018 r.
The Wilamowice commune has once again obtained financial resources for the task titled „Razem chrońmy dziedzictwo kulturowe Europy-tożsamość regionalna i pamięć wielokulturowa poprzez pryzmat historii prześladowań etnicznych tematem przewodnim 200-lecia nadania praw miejskich Wilamowicom”. 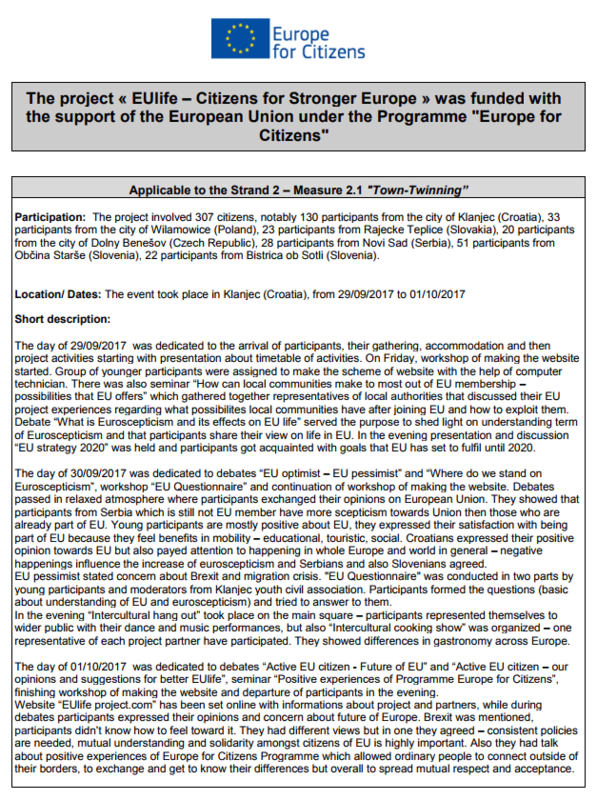 The project from the “EUROPE FOR CITIZENS” program will be implemented on 28/08/2018 – 02/09/2018. 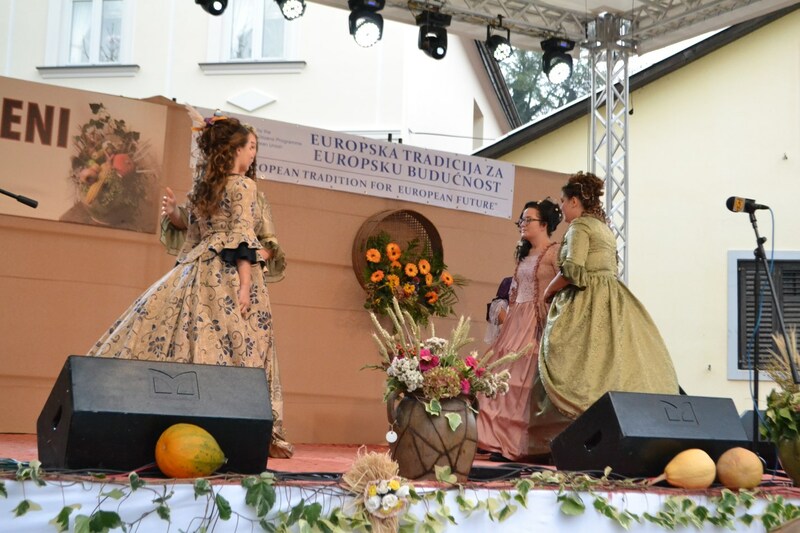 The main objective of our project will be to show the European cultural heritage of our region and partner municipalities presented during the 200 year anniversary of the Wilamowice commune. 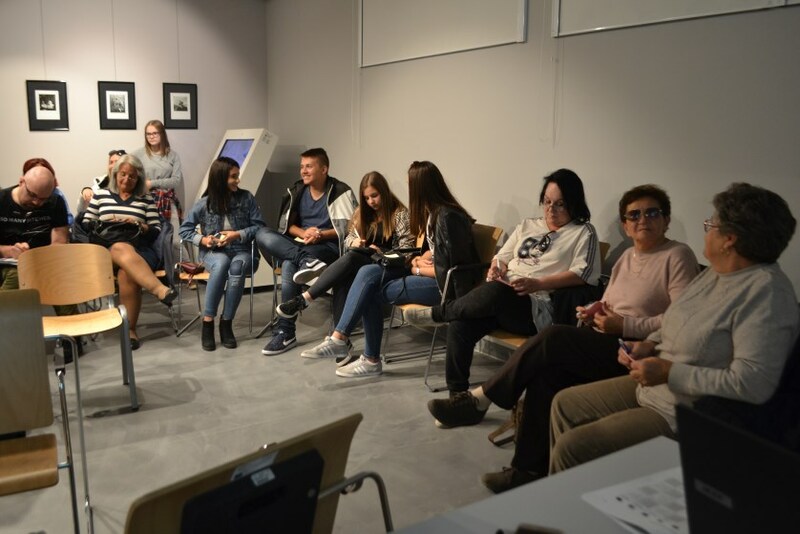 The project will be based on an intergenerational transfer of knowledge and experience due to the involvement of seniors and young people in it. 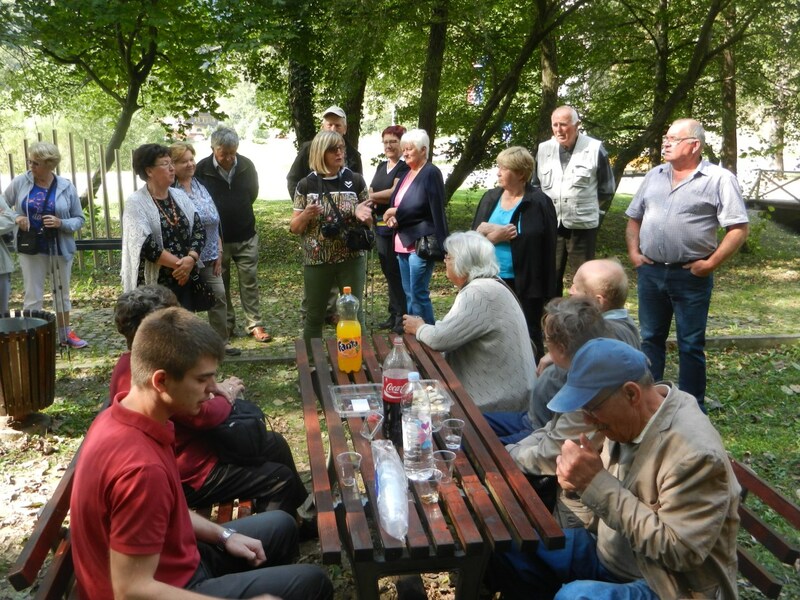 Project participants and the local community will have the opportunity to meet folk artists. 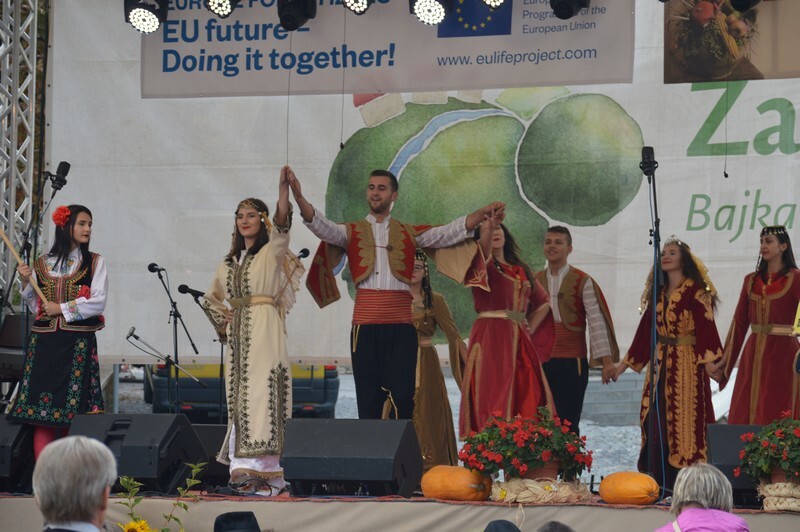 Project will facilitate the search for cultural identity and the discovery of cultural roots, and will be conducive to identifying with the EU and EU values. 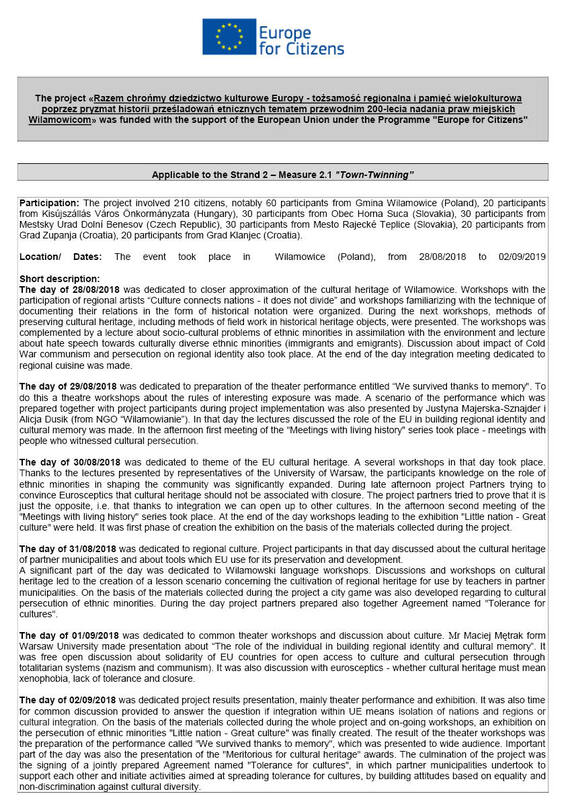 The project will teach how to understand the EU’s multicultural heritage by letting it open without creating hermetic cultural barriers. 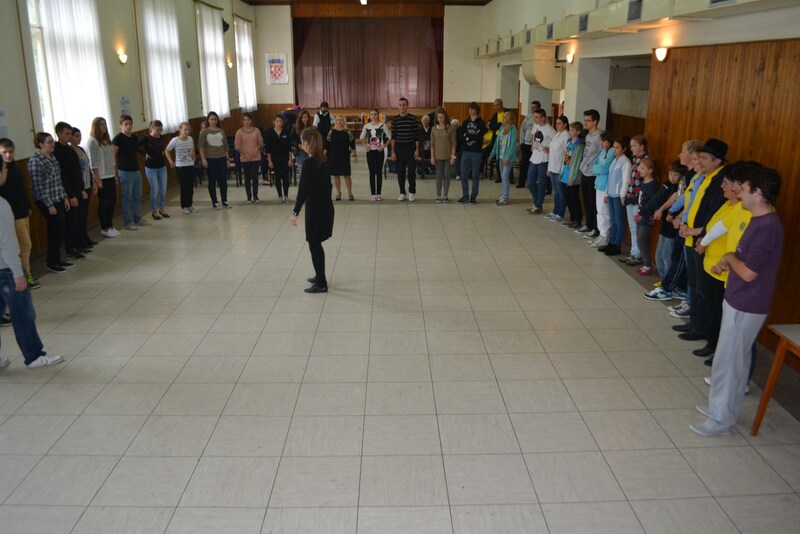 During the project, workshops with regional artists will take place. 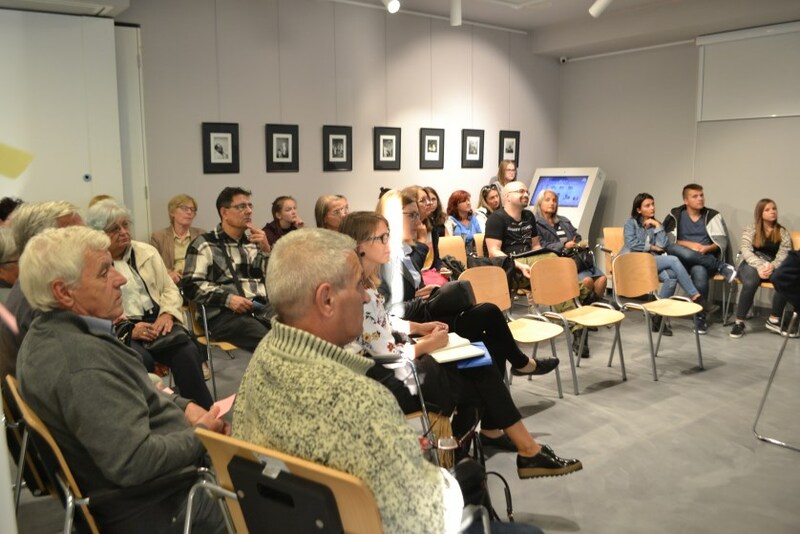 We will discuss contemporary problems of discrimination against ethnic minorities and the fight for cultural identity in the context of persecution. 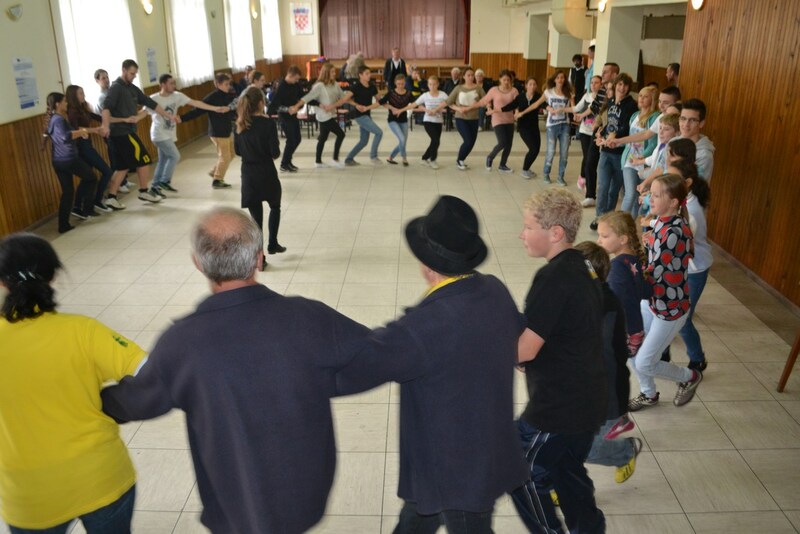 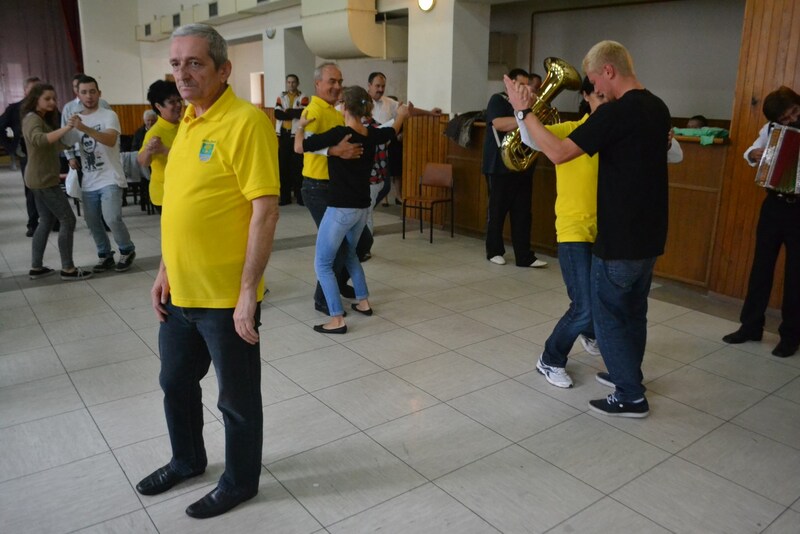 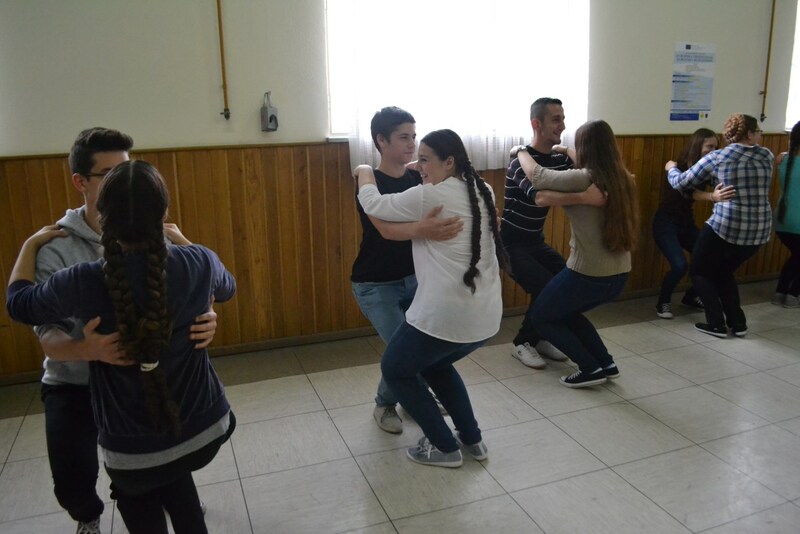 Intercultural cooperation will be established in particular during theatrical workshops preparing for the performance of a performance on cultural and ethnic persecution. 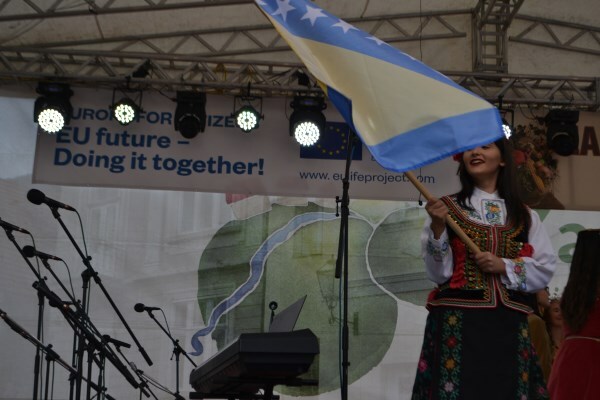 We will conduct a series of lectures on the role of the EU in building regional identity and cultural memory (EU support for projects in this area). 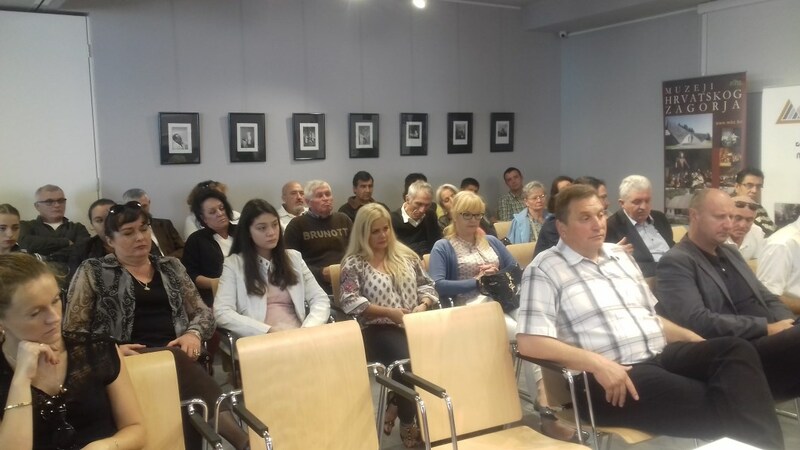 During the discussion, we will discuss the subject of repression and cultural persecution of ethnic minorities, including emigrants and immigrants, and the role of EU assistance to them. 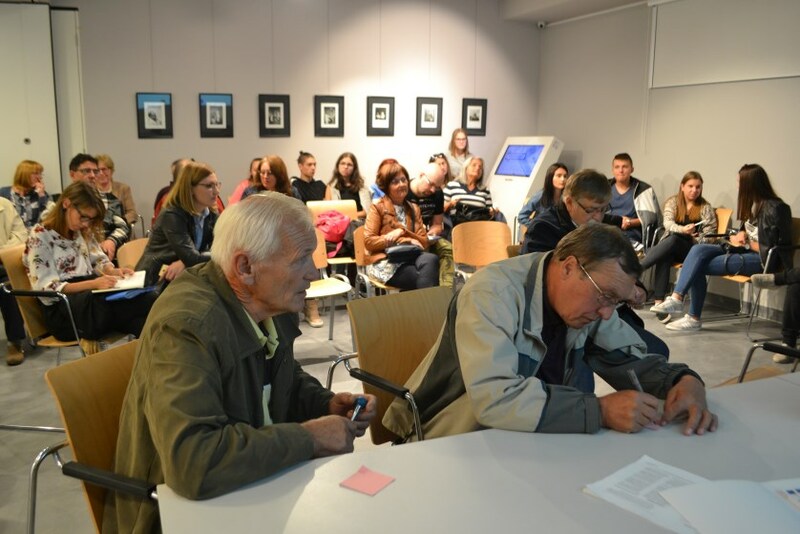 We will develop an exhibition on the cultural persecution of ethnic minorities. 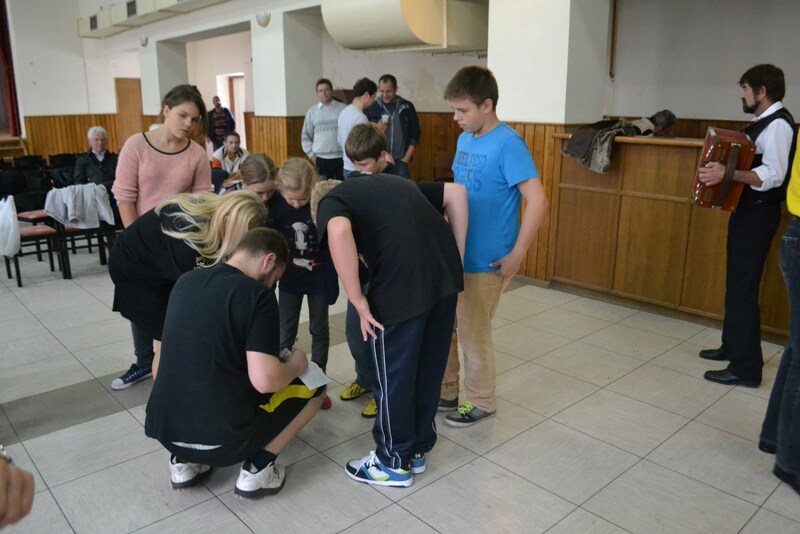 Together, we will also prepare a city game on cultural persecution of ethnic minorities. 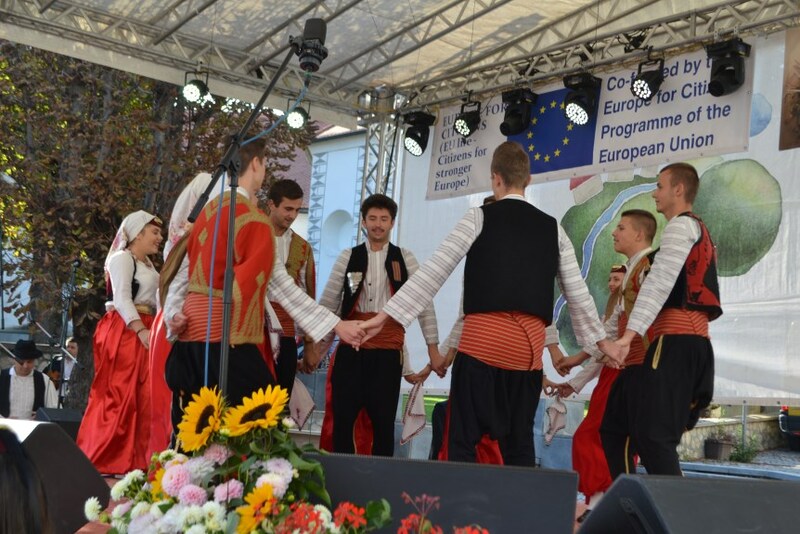 Together we will deal with the development of the “Tolerance for cultures” agreement. 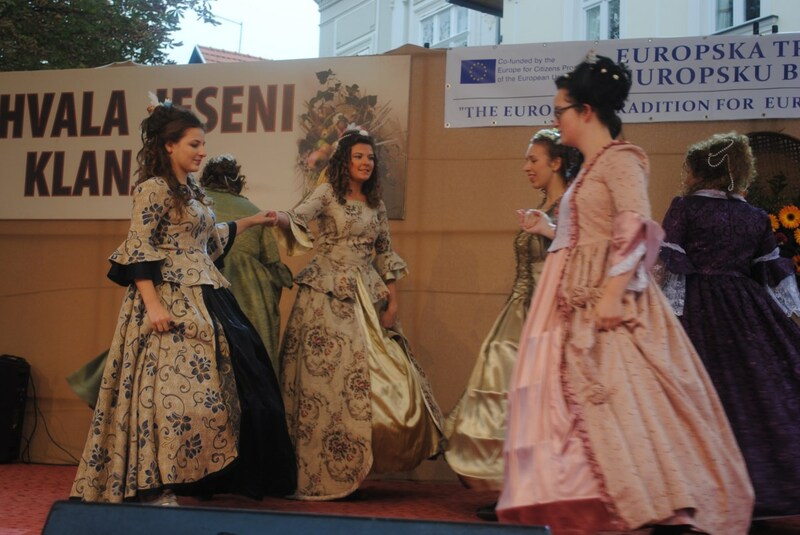 We will conduct a conference on the film document as a source of promotion of cultural heritage. 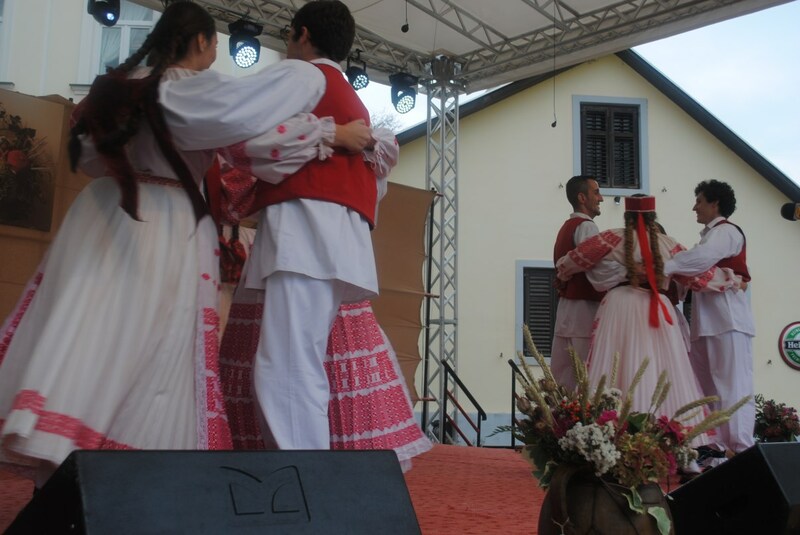 During the project, we will establish and award the “Meritorious for cultural heritage” prizes. 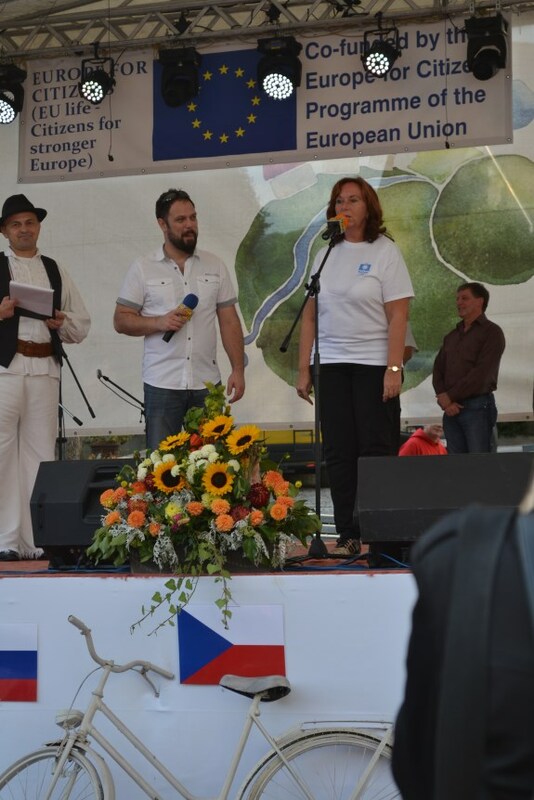 „Popularyzacja polityki pomocy imigrantom przez UE – partnerska kampania antyrasistowska i antyksenofobiczna”. 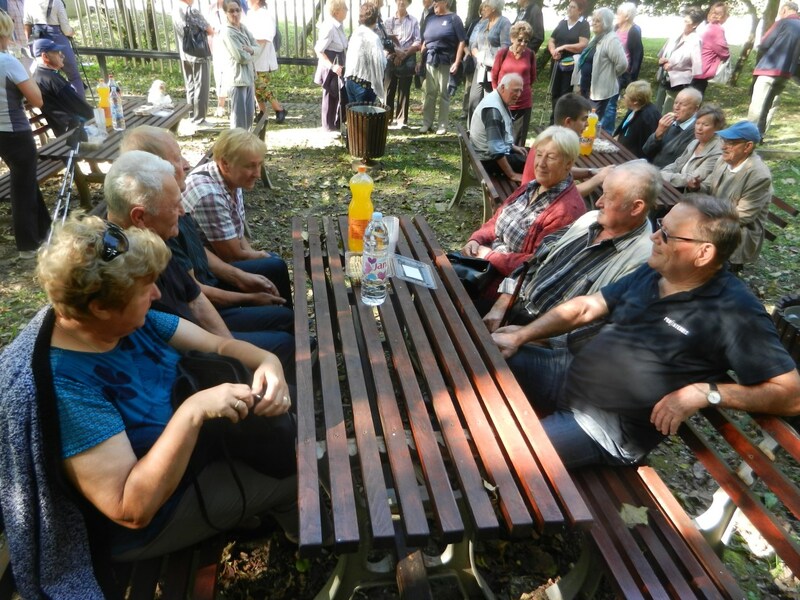 Gmina Wilamowice pozyskała środki na zadanie pn. 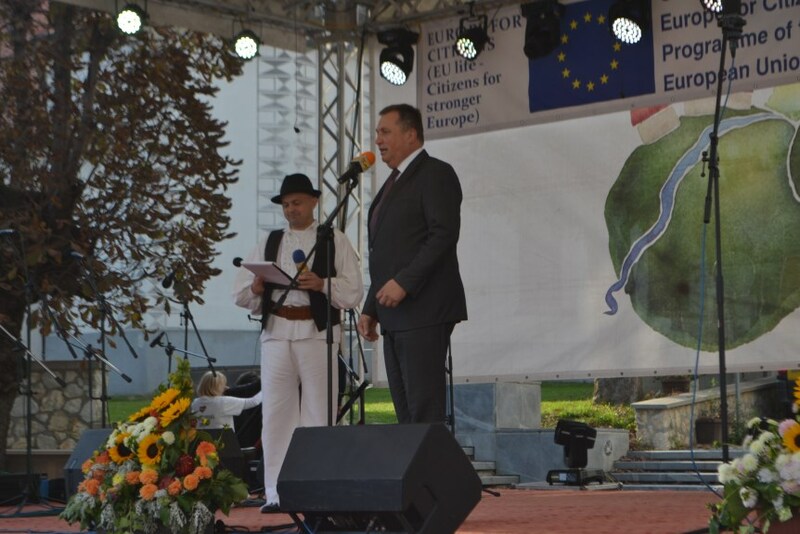 „Popularyzacja polityki pomocy imigrantom przez UE – partnerska kampania antyrasistowska i antyksenofobiczna”. 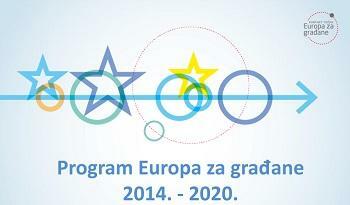 Kolejny już projekt z programu „Europa dla Obywateli” został zrealizowany w dniach 1-4 czerwca 2017. 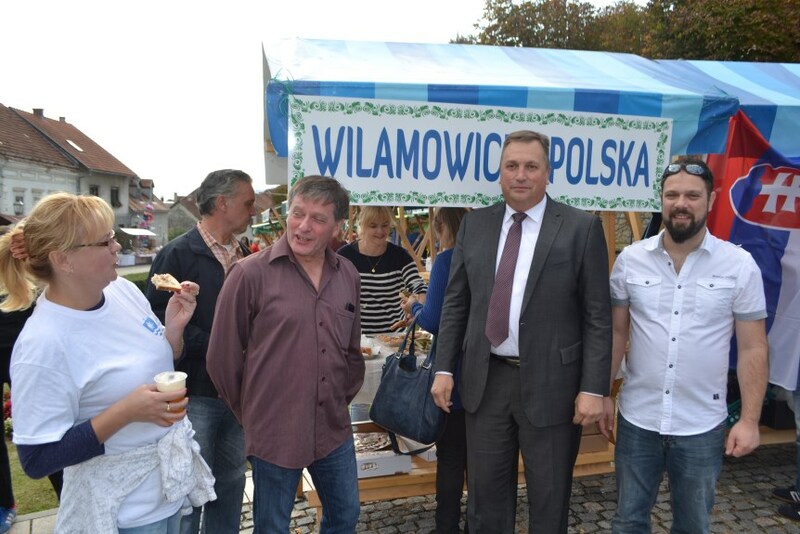 Głównym celem projektu była wymiana doświadczeń pomiędzy gminami partnerskimi w dziedzinie kultury, walka ze stereotypami i uprzedzeniami rasowymi, kryzysem migracyjnym oraz korzyści płynące z członkostwa w UE. 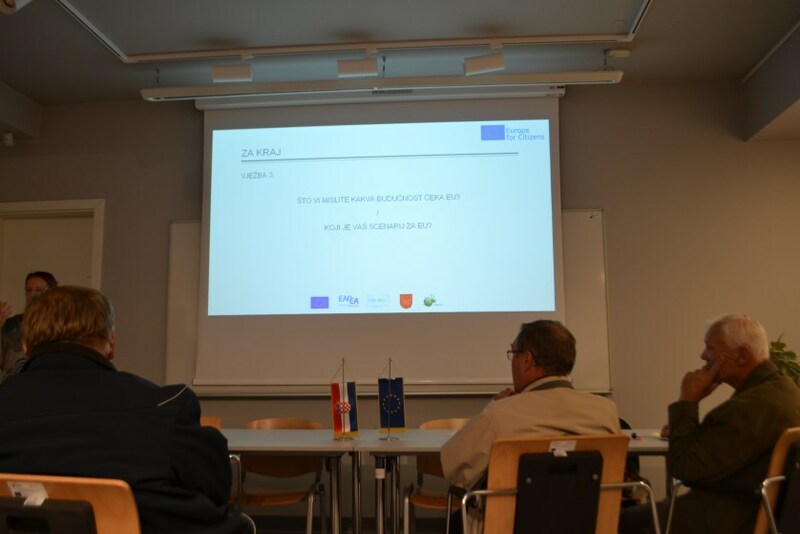 Jednym z istotnych aspektów projektu była dyskusja dotycząca przyszłości UE, zarówno tych popierających UE jak i jej przeciwników. 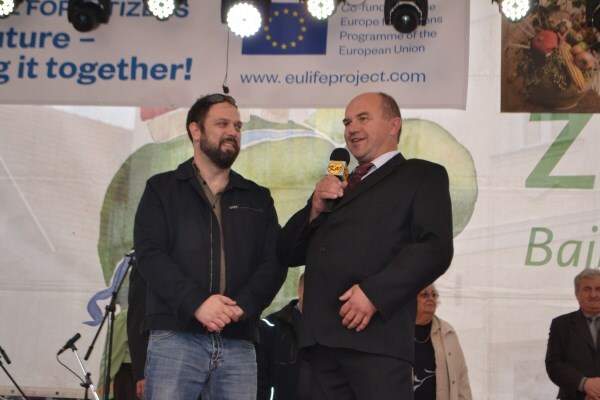 Projekt promował społeczne poparcie dla polityki integracji społecznej w ramach UE, podkreślając zbiorową i indywidualną odpowiedzialność za walkę ze stereotypami i napiętnowaniem społecznym. 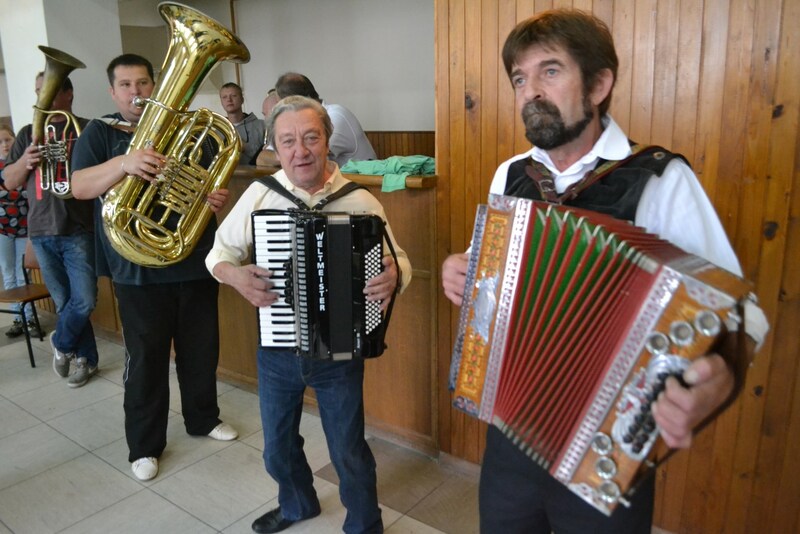 Idee te były podkreślane podczas działań w ramach imprezy kulturalnej “Śmiergusty 2017”. 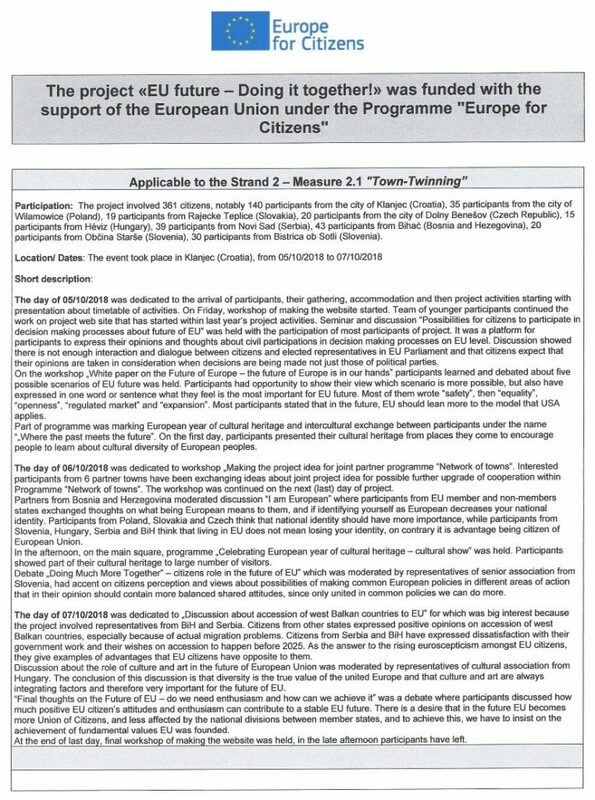 Działania podczas projektu promowały wspólne wartości europejskie – wolność, demokrację i poszanowanie praw człowieka, różnorodność kulturową, tolerancję oraz solidarność. 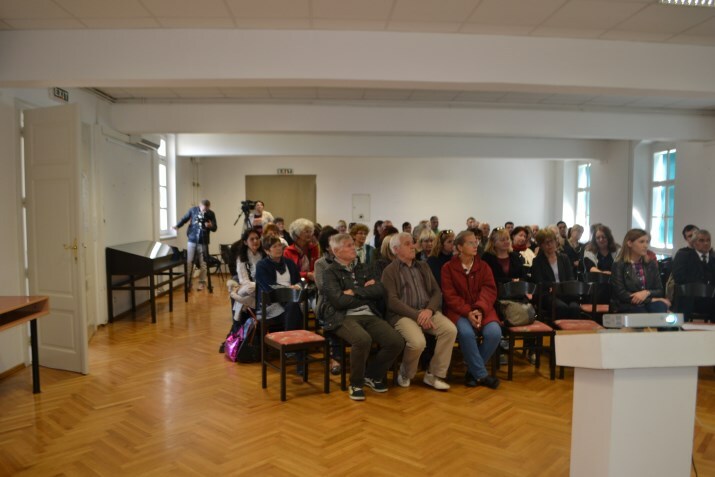 Szczególną uwagę poświęcono imigrantom oraz osobom dyskryminowanym ze względu na płeć, pochodzenie, orientację seksualną oraz poglądy. 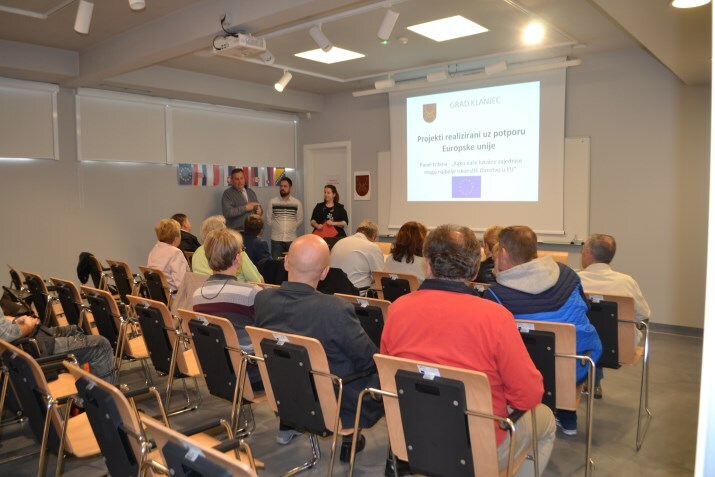 Projekt przyczyni się do upowszechnienia kampanii informacyjnych związanych z metodami pomocy imigrantom oraz przeciwdziałaniu stereotypom i uprzedzeniom. 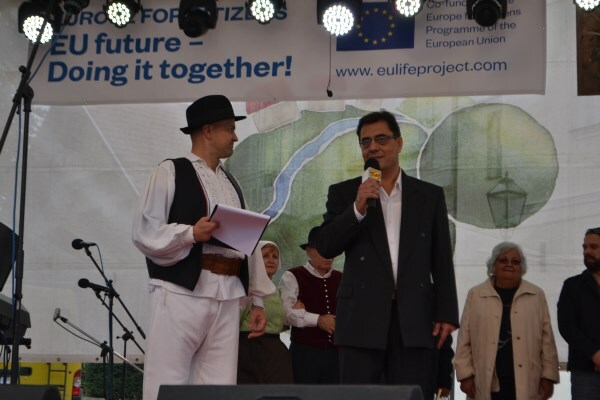 The project aims will be promotion of equal opportunities for all, intercultural dialogue and future of the UE. 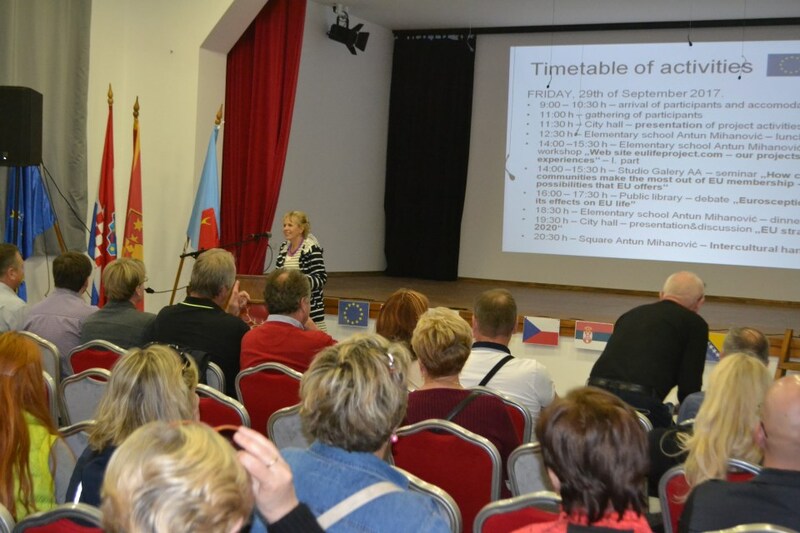 Occasion to the meeting will be participating in regional fest “Śmiergusty 2017”. 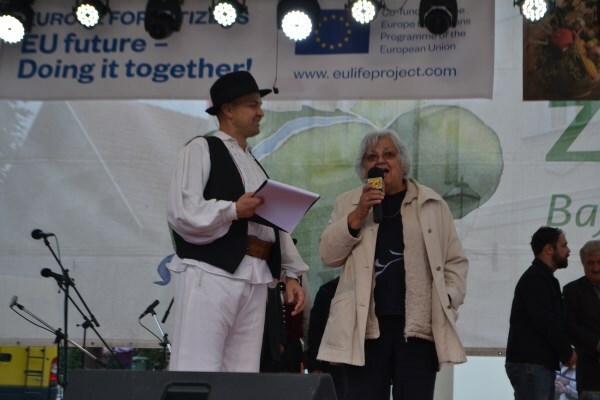 The project focus on fighting against xenophobia and racism, culture, the rights of EU citizens, citizens’ participation in the democratic life of the EU. 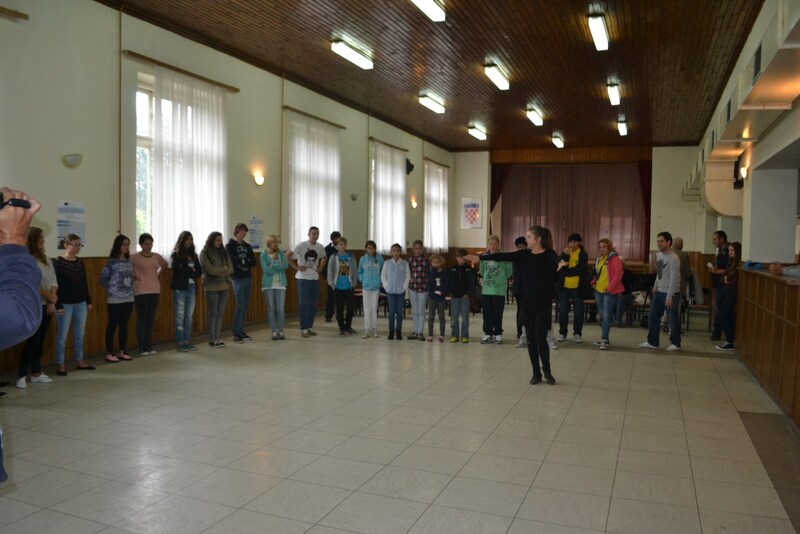 Education in our project is undoubtedly one of the priority areas for the campaign to promote tolerance. 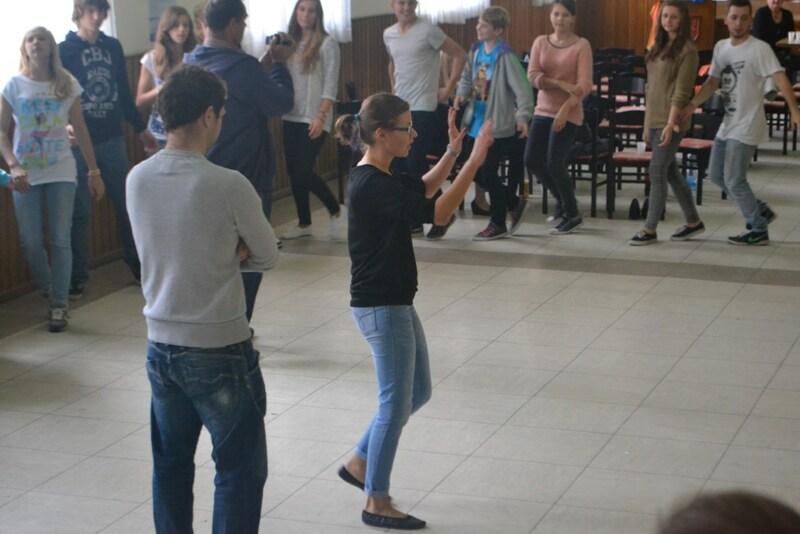 Education in our project will be intercultural. 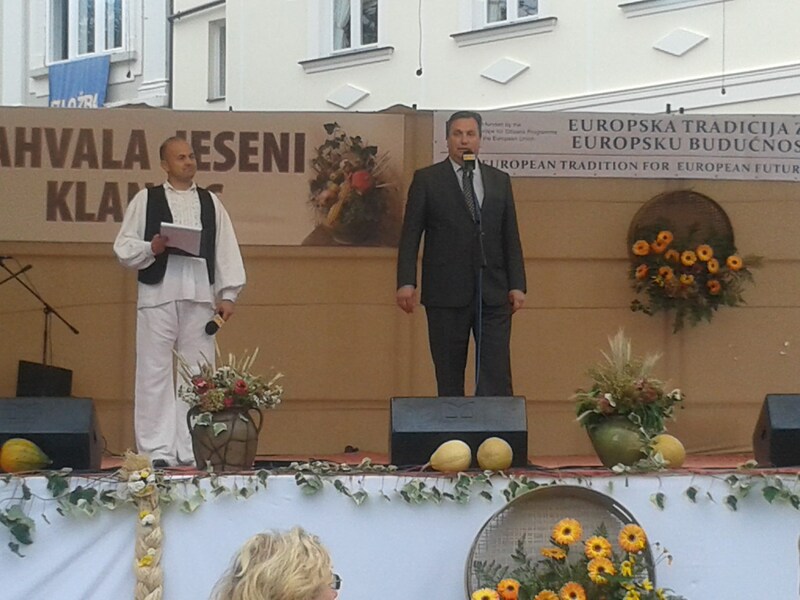 We will pay more attention to the history, geography and culture of immigrants’ countries of origin. 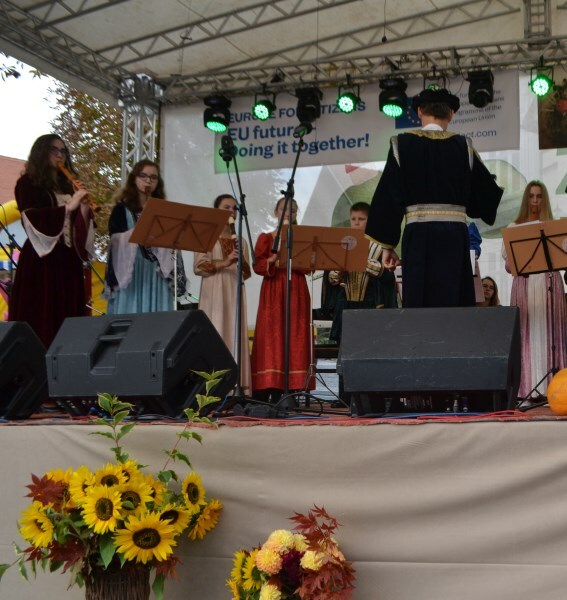 We would like to promote combating discrimination and equal opportunity for all the inhabitants of a country, irrespective of race, nationality, ethnic origin, religion or language. 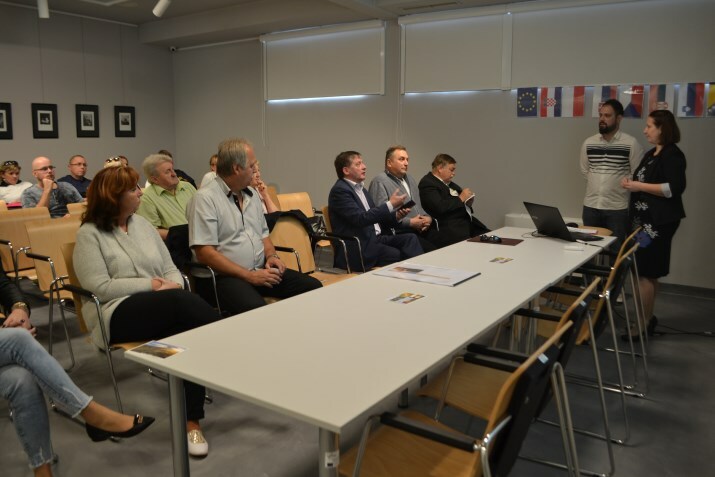 The result of the project will be anti-racist, xenophobic campaign, popularizing policy for immigrants conducted by the EU. 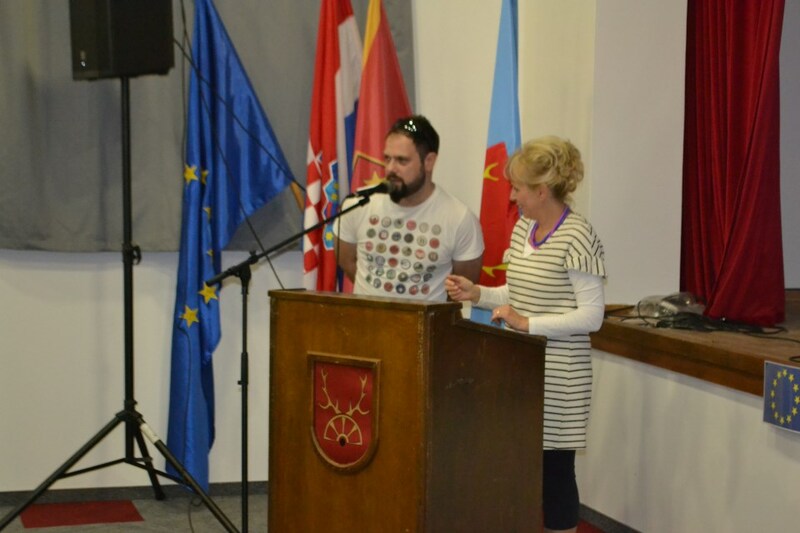 At the end of the project we will sign the Agreement “Together against racism and xenophobia”. 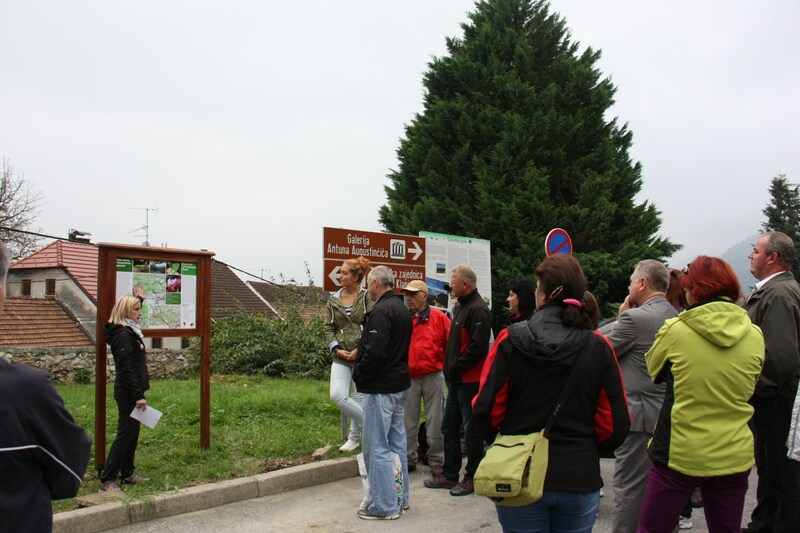 The project involves extensive cooperation between all parties or groups that are interested and form a community in twin municipalities. 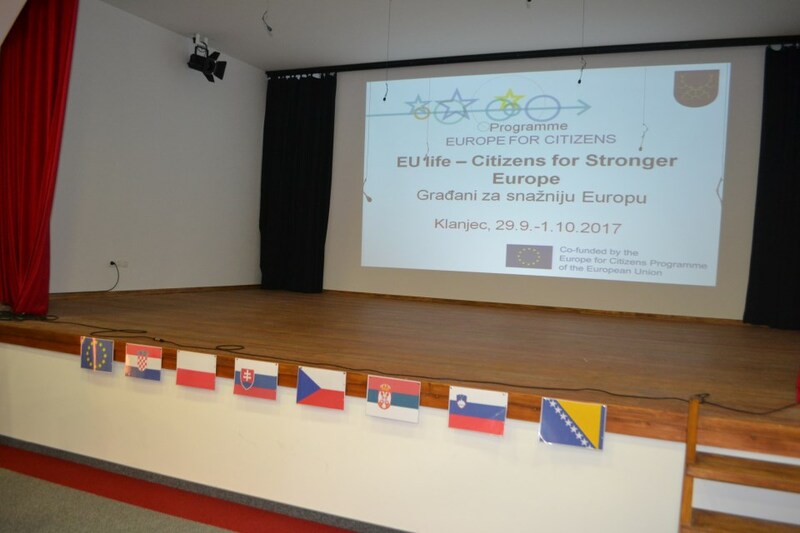 Objectives of the project will be related to the debate on the future of Europe – learn about the rights and opportunities EU citizenship. 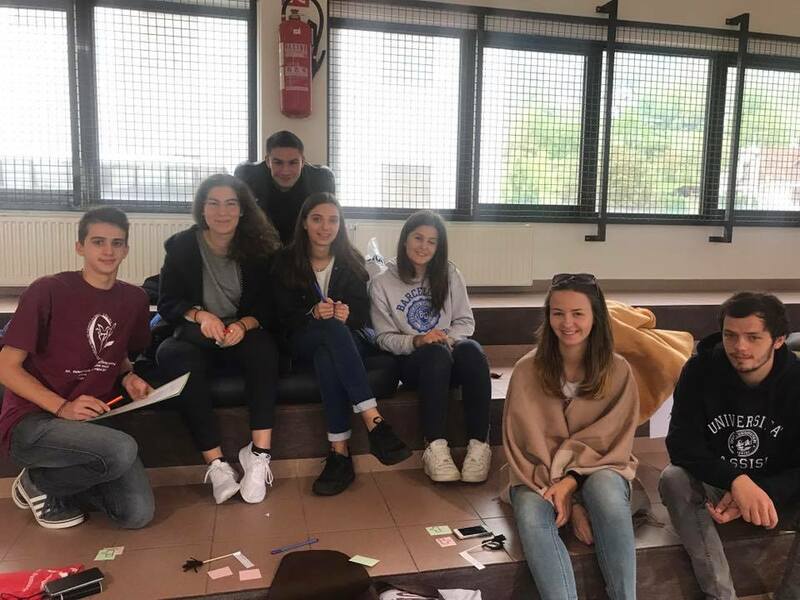 We would like to talk about Brexit and consequences for us. 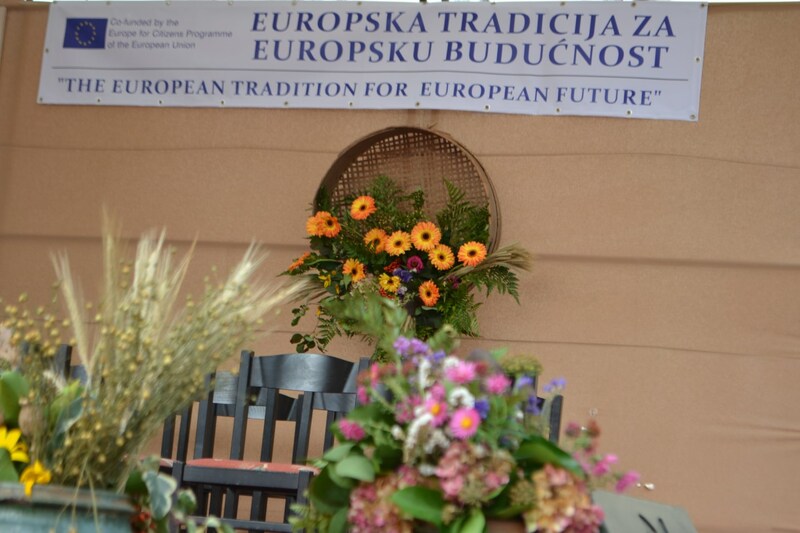 We will meet also with the eurosceptics which we will try to convince to the idea of the EU. 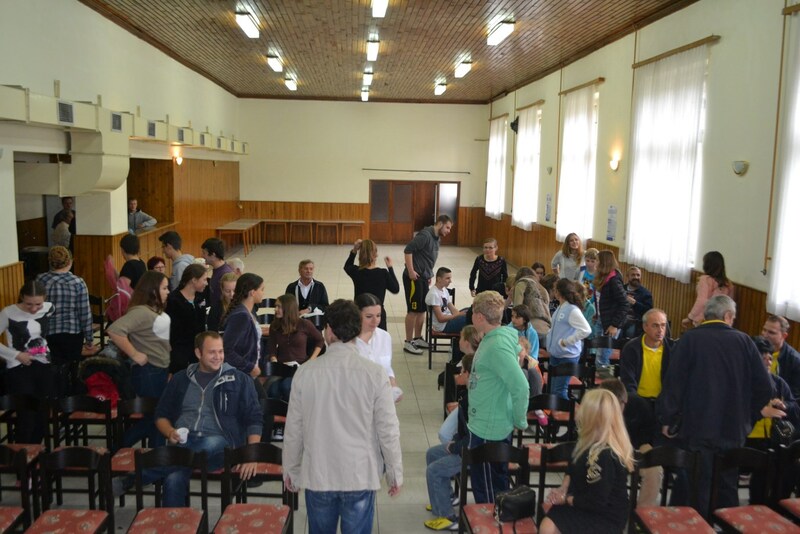 During the meeting there will be workshops, discussions, seminaries etc. 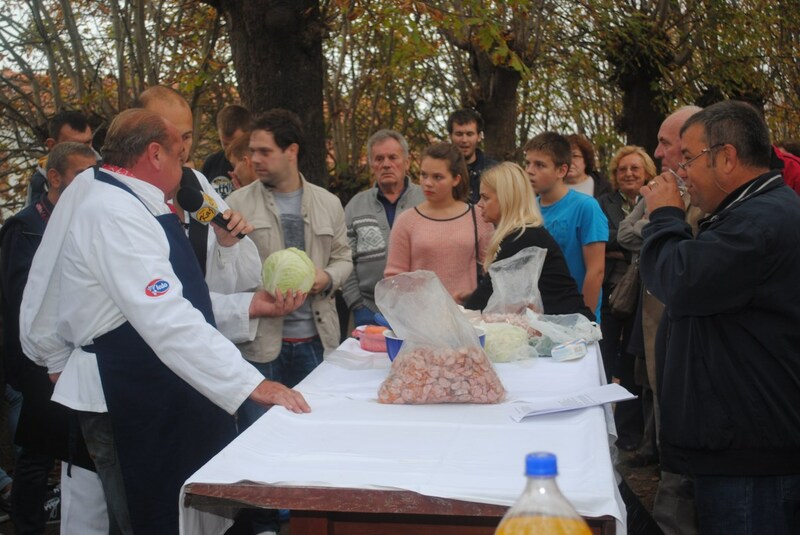 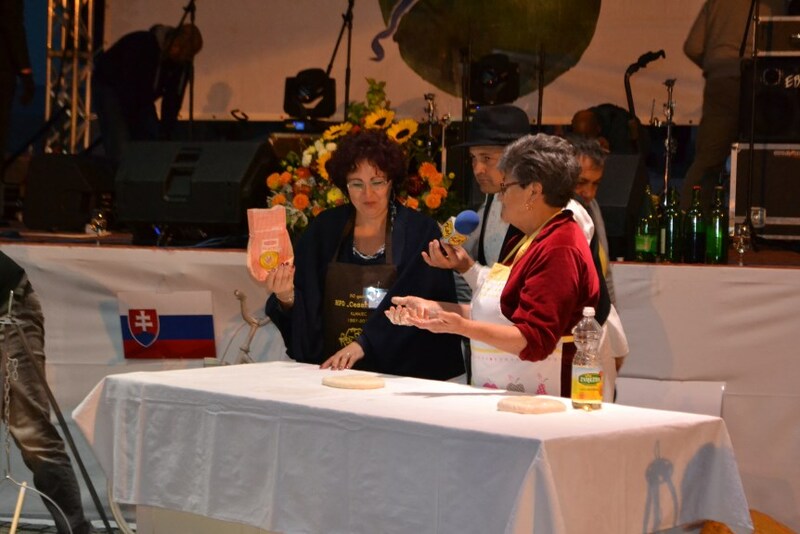 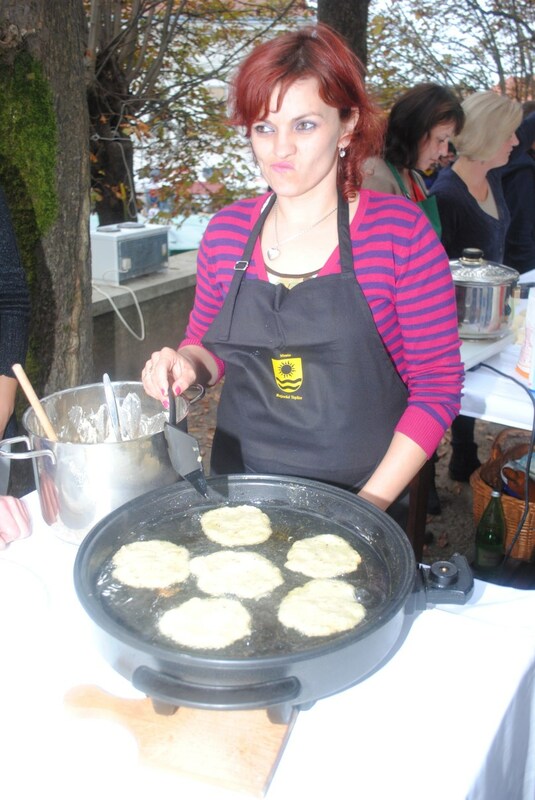 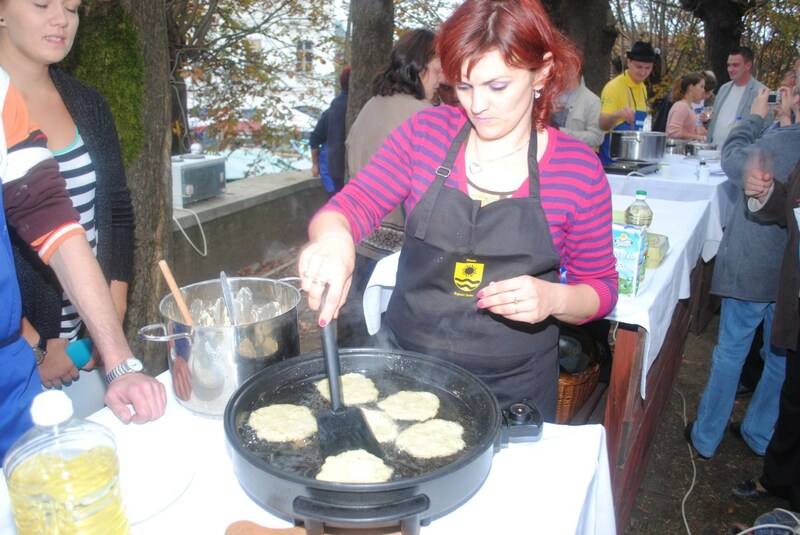 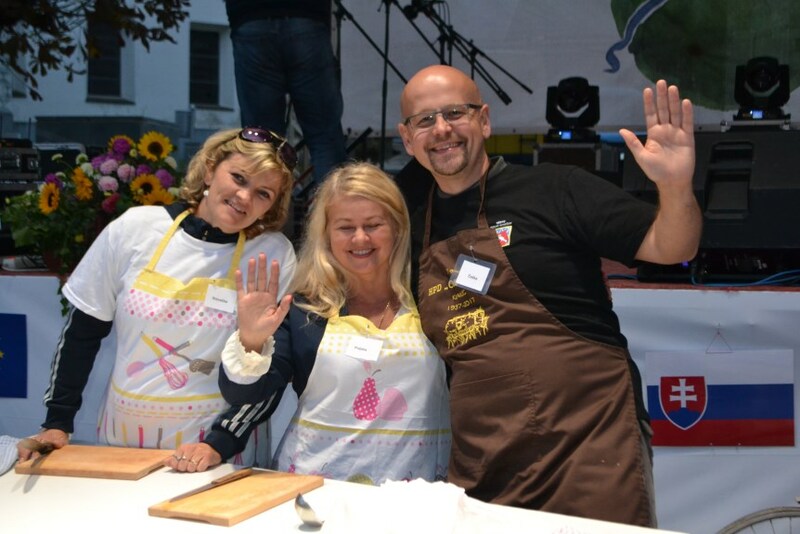 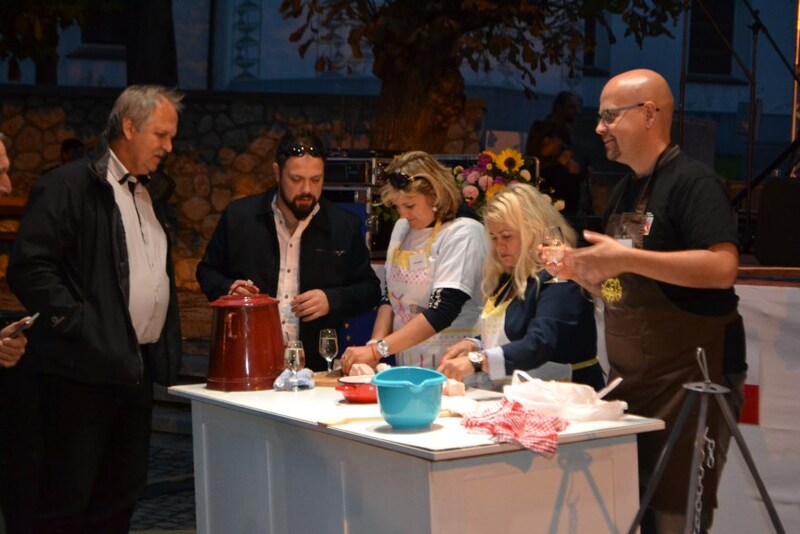 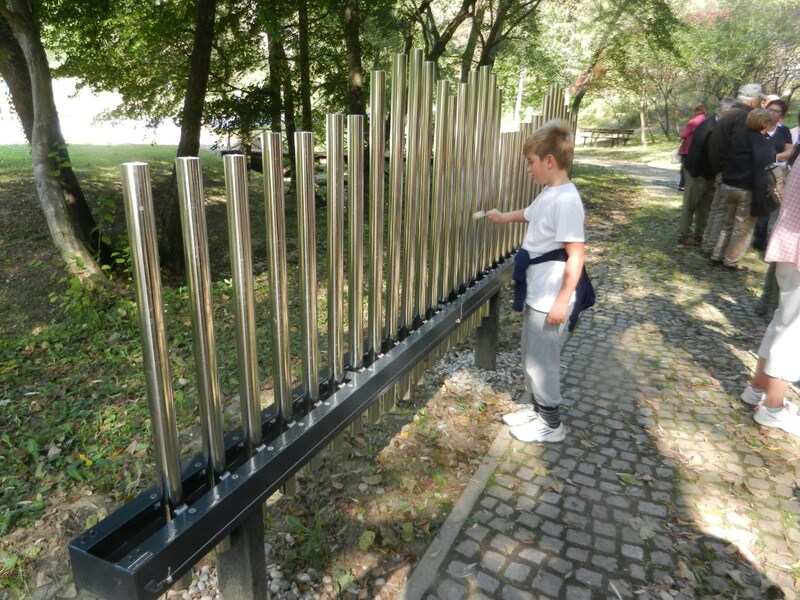 Guests from abroad will get to know Polish culture and customs. 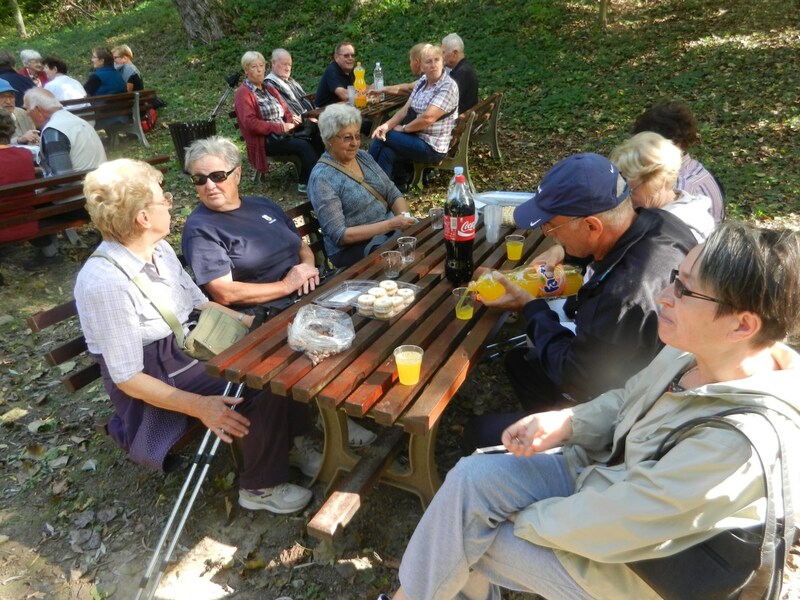 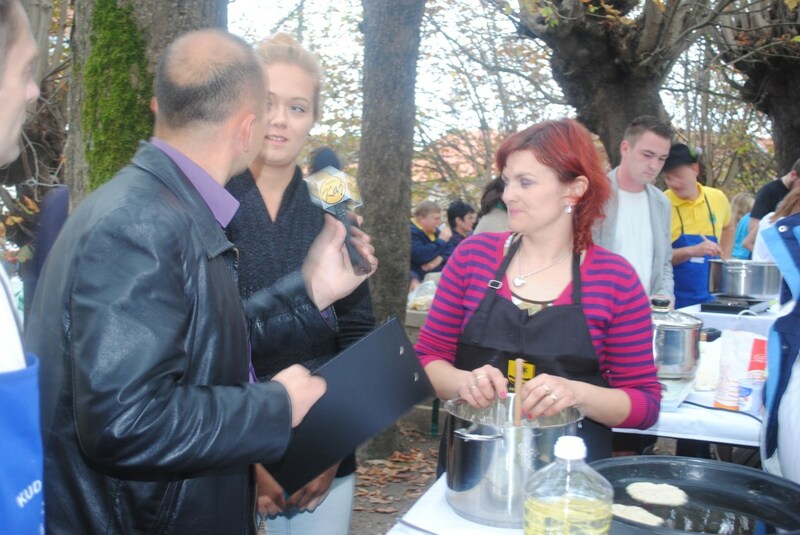 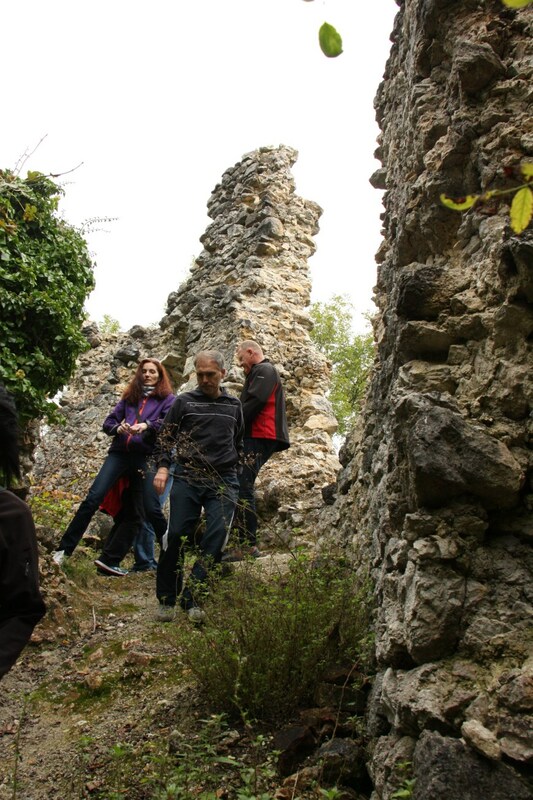 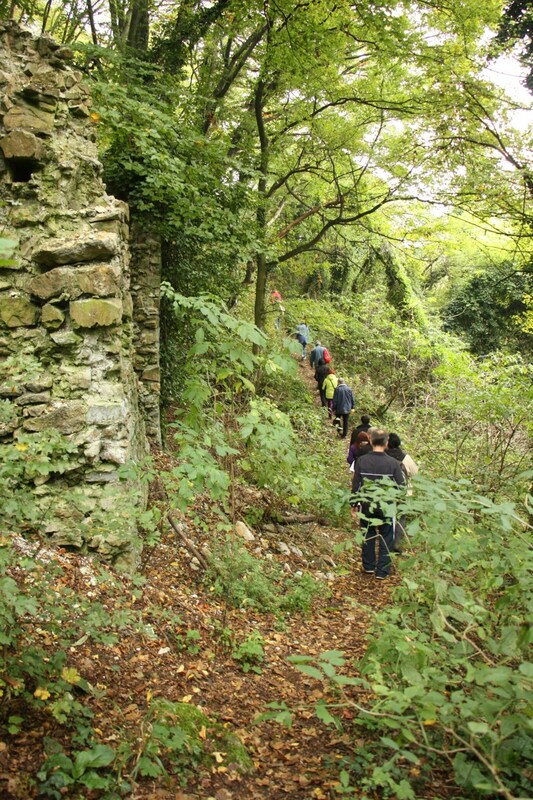 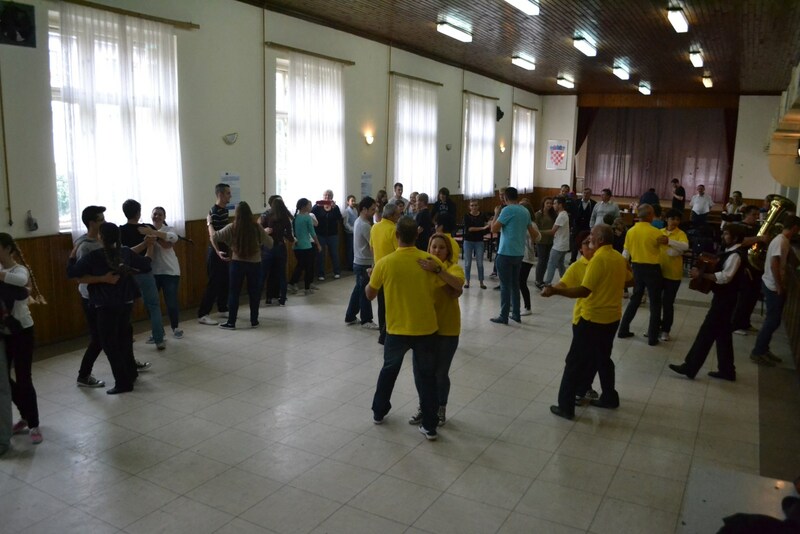 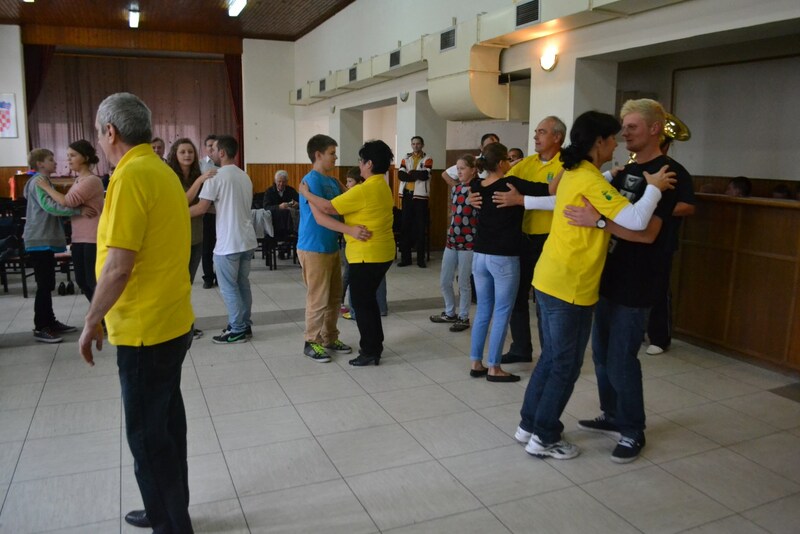 One of the tasks of the project will be to encourage participation in social life, in particular to volunteer. 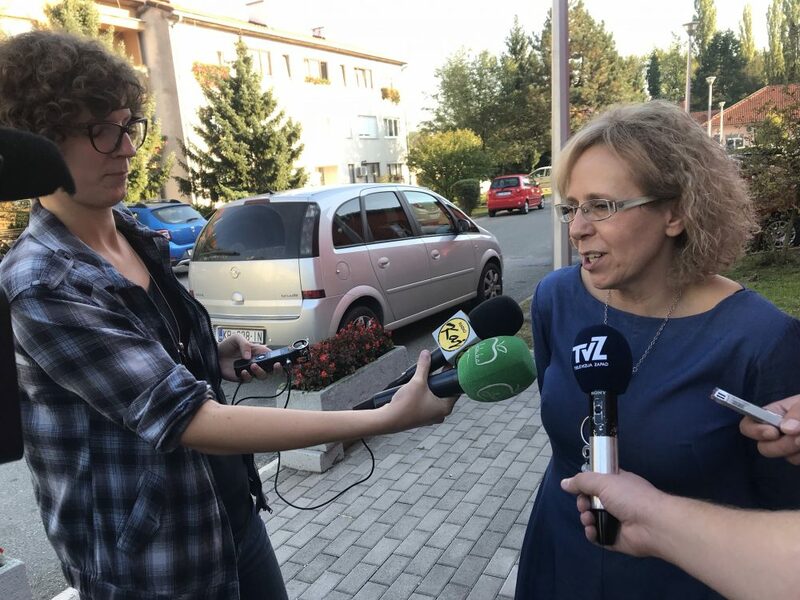 – wzrost zrozumienia i poparcia polityki UE wobec imigrantów. 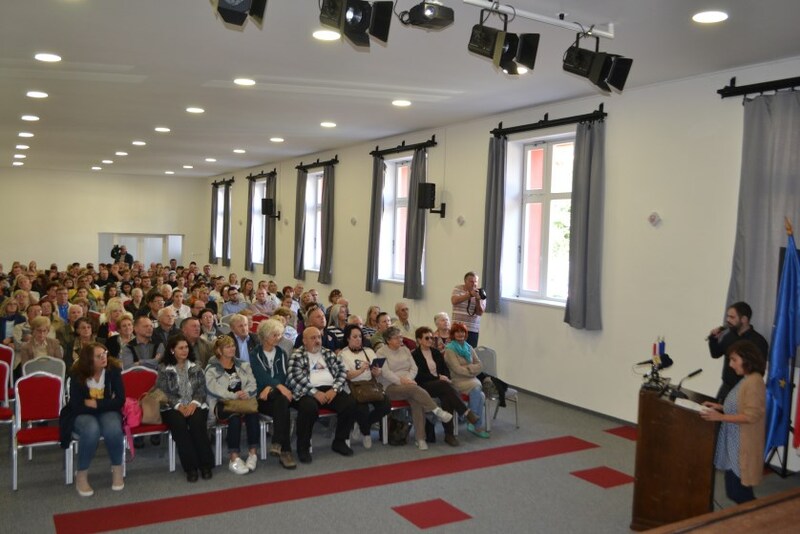 Trodnevni program kojeg je za Grad Klanjec osmislila gradska ustanova Kulturni centar Klanjec, jedini je odobreni projekt koji će se u ovom roku realizirati u Hrvatskoj. 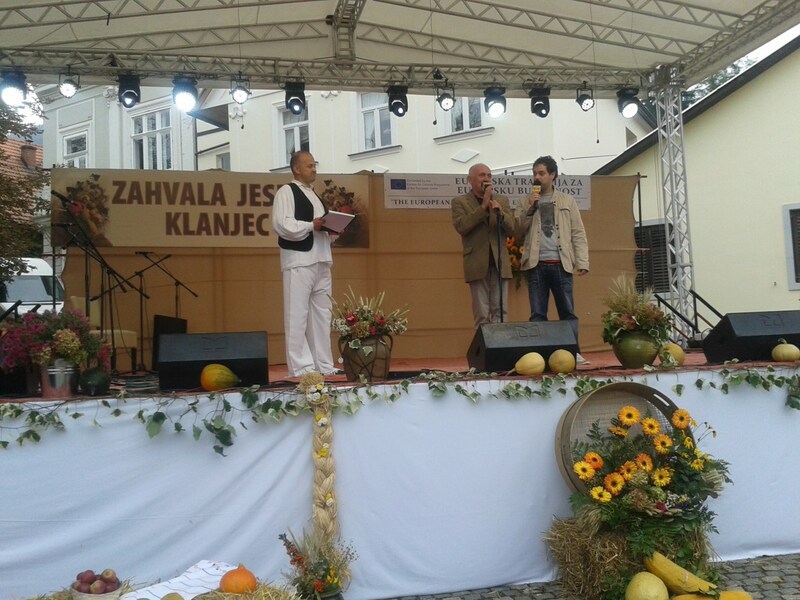 Glavna tema projekta vezana je uz pitanja migracija te solidarnosti unutar članica EU. 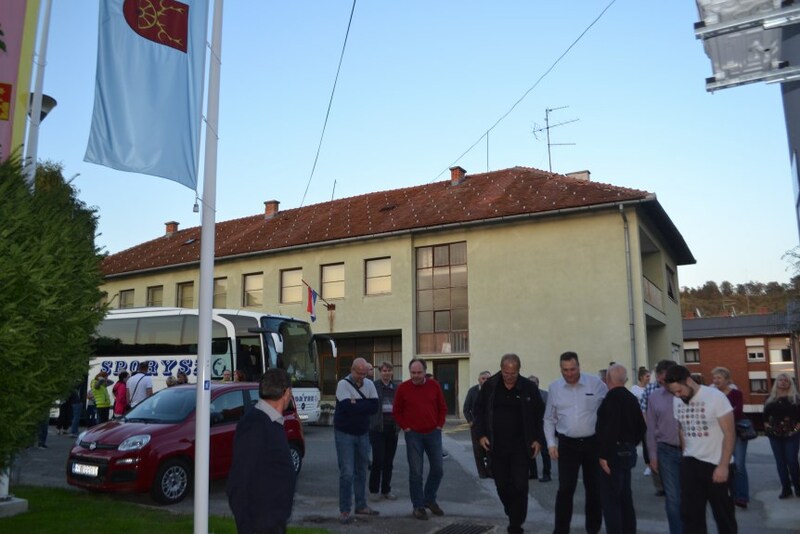 S obzirom na položaj Grada Klanjca uz samu slovensko-hrvatsku granicu naglasak će biti stavljen i na razmišljanja građana o postavljenoj žilet žici. 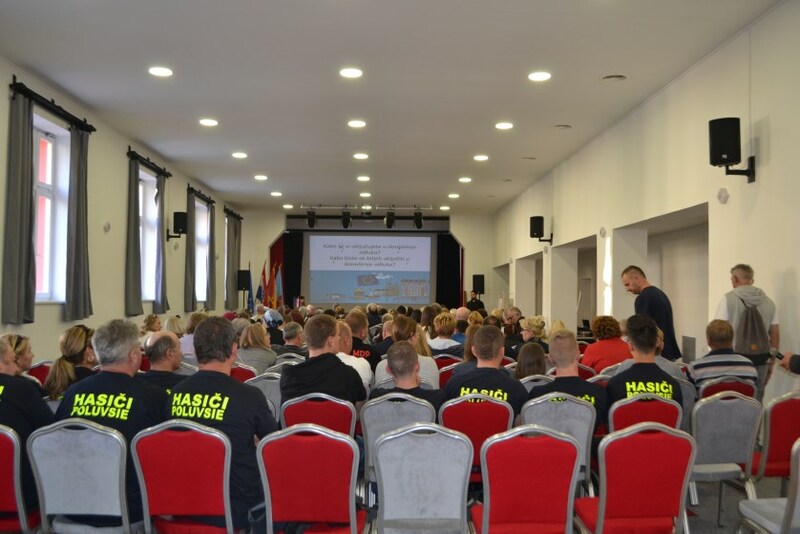 O spomenutim temama razgovarat će se tijekom nekoliko debata te radionica na kojima će sudjelovati osobe s iskustvom prihvata migranata (Hrvatski crveni križ), a nastojat ćemo uključiti i tražitelje azila u Hrvatskoj. 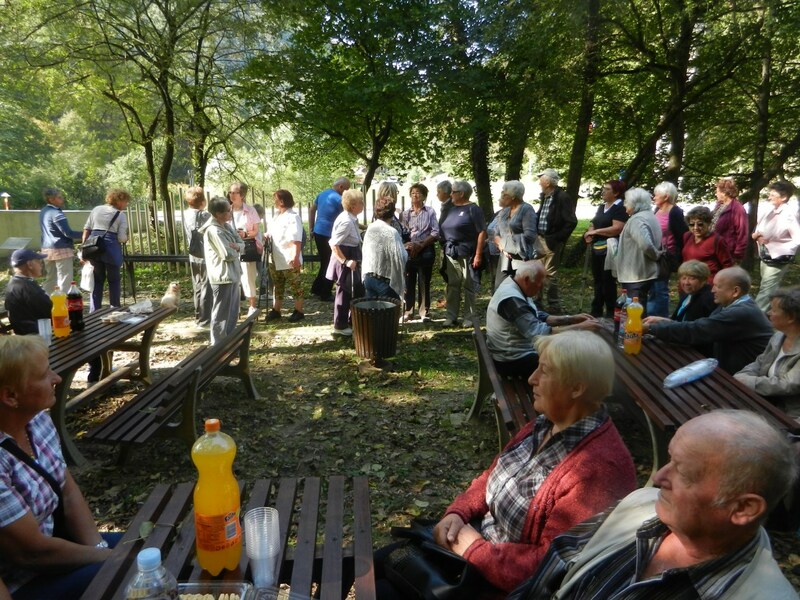 The day of 30/09/2016 was dedicated to arrival of participants, their gathering and dinner, movie presentation about immigration crisis in eastern Europe followed by discussion, and accommodation of participants. 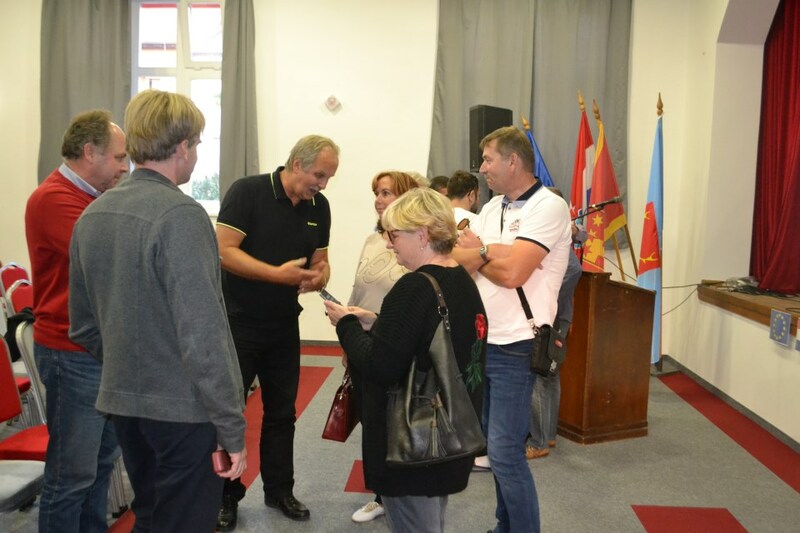 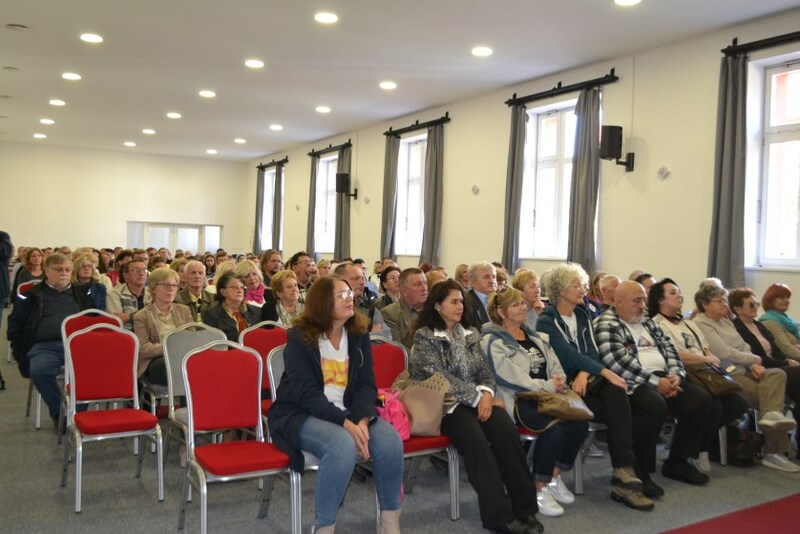 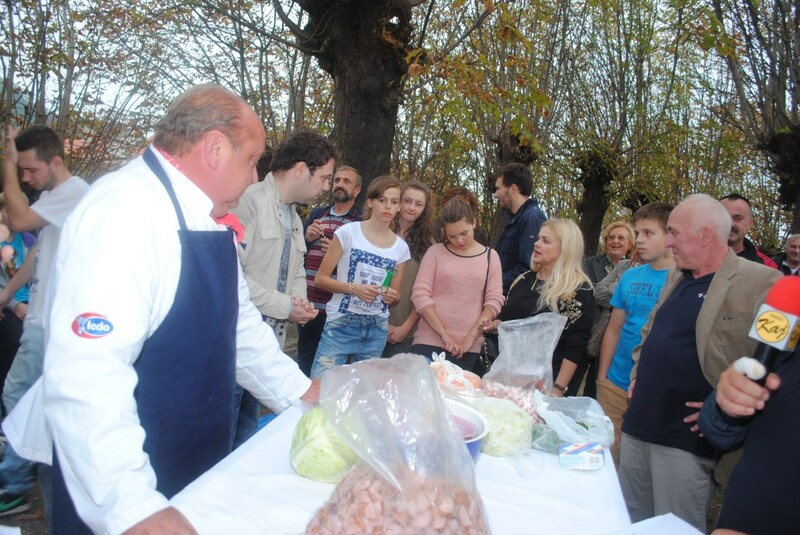 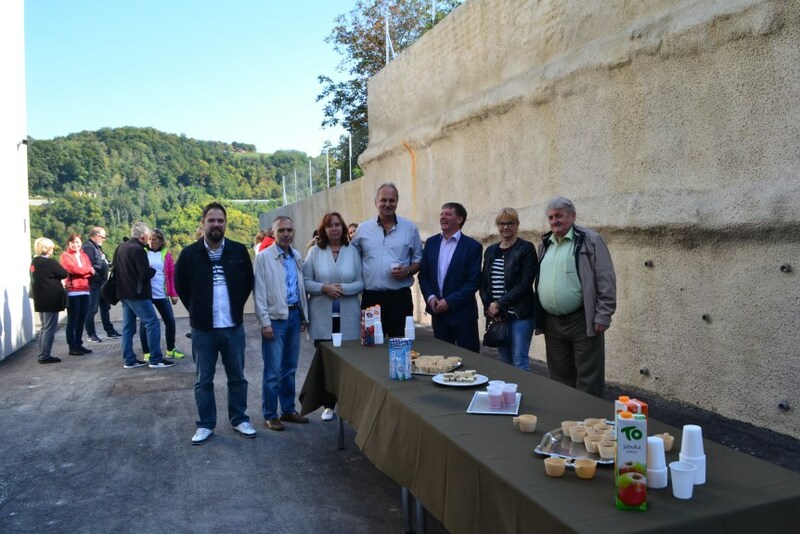 MOVIE PRESENTATION was made and held by groupe of people which consisted of one representative of each association of citizens of Klanjec and representative of Center for culture. 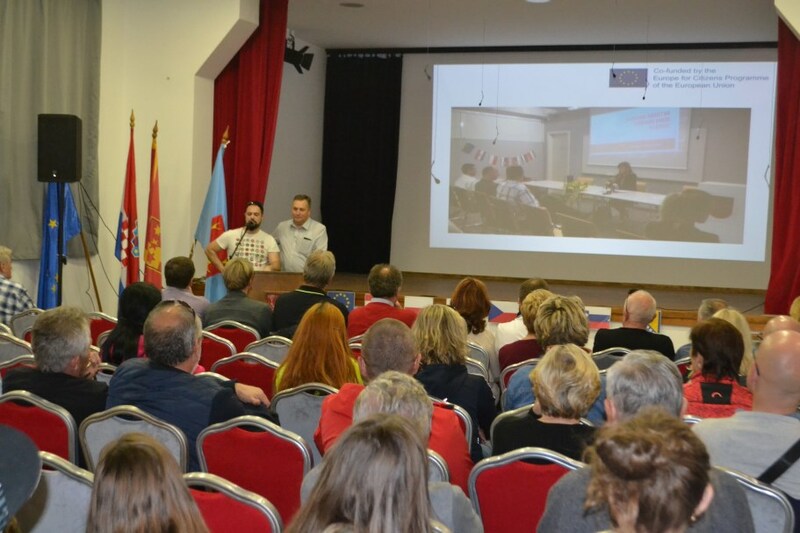 They presented key points of this project, diffrent aspects of immigration crisis – from economical, political, cultural to medical. 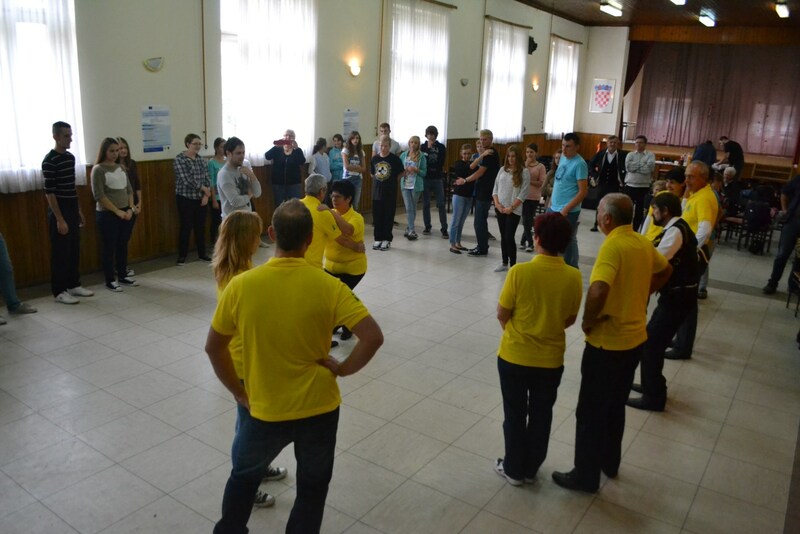 Inspirational stories of volounteers were shared and discussed. 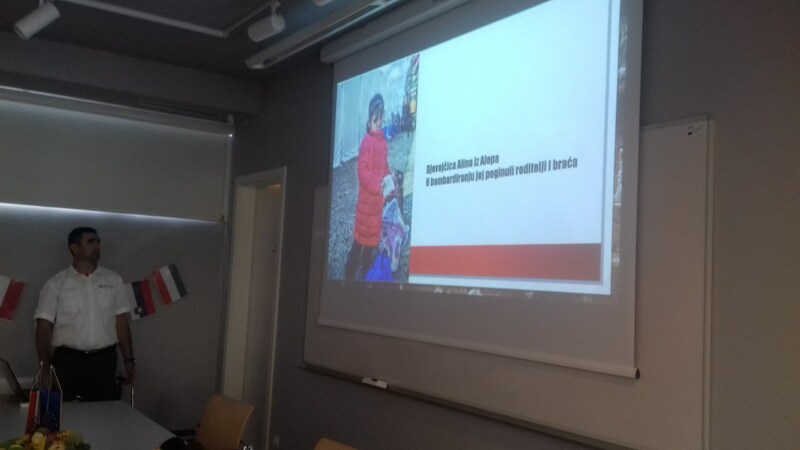 The aim of this presentation was to introduce participants with themes of project, to expand knowledge about immigrants and problems that concern them. 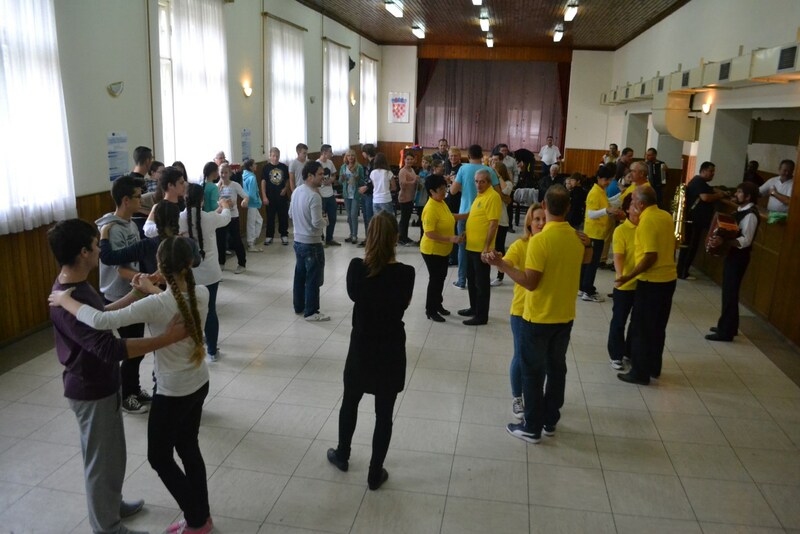 The day of 01/10/2016 was dedicated to debates, workshops and international cultural show. 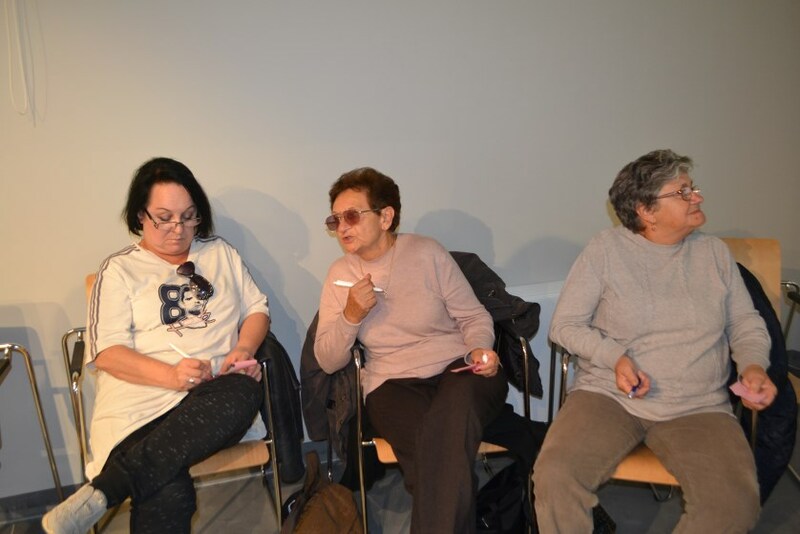 DEBATE “BORDERLESS”, part 1 was held in Studio Galery Antun Augustinčić where participants actively discussed immigration politics. 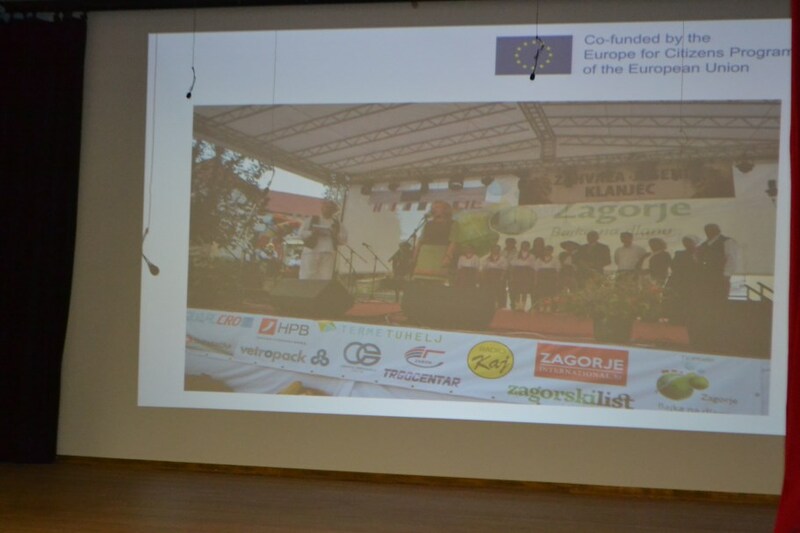 Member of European Parliament Biljana Borzan opened the debate and talked about different attitudes of EU Member States towards migration crisis and various solutions that they propose. 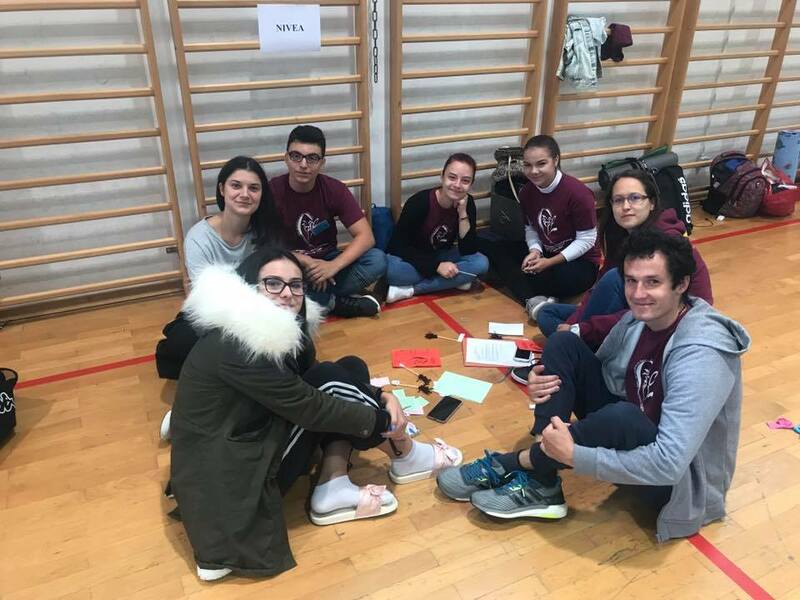 Participants had firm opinions about immigration crisis, emphasis was put on solidarity towards immigrants but also on finding solution to crisis in its focus. 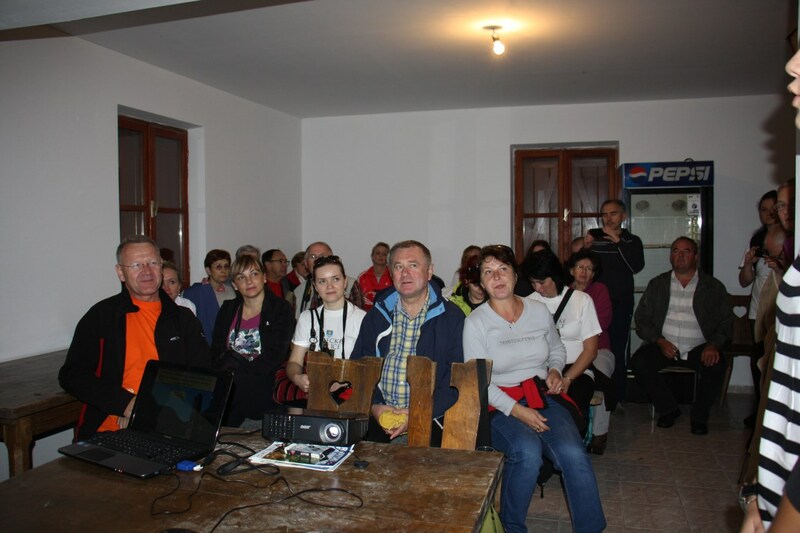 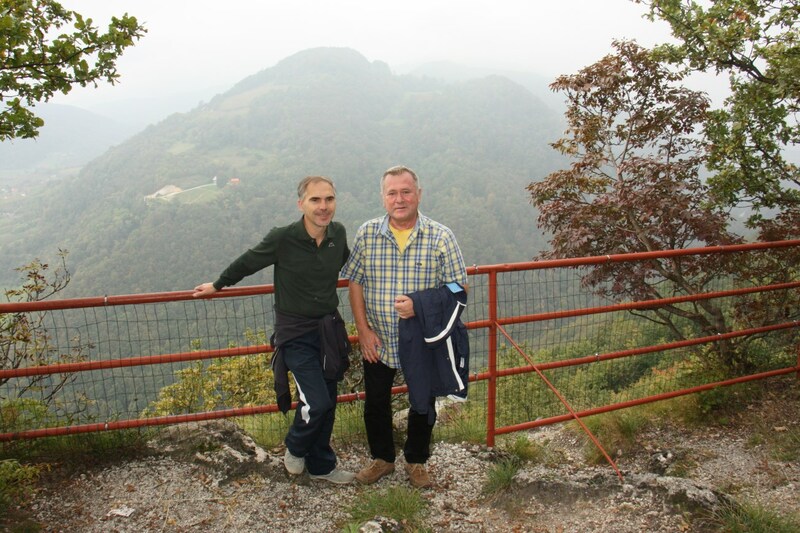 WORKSHOP “WIRELESS”, part 2 of “Borderless” debate, took place in Zelenjak, along Croatian-Slovenian border where razor wire was put. 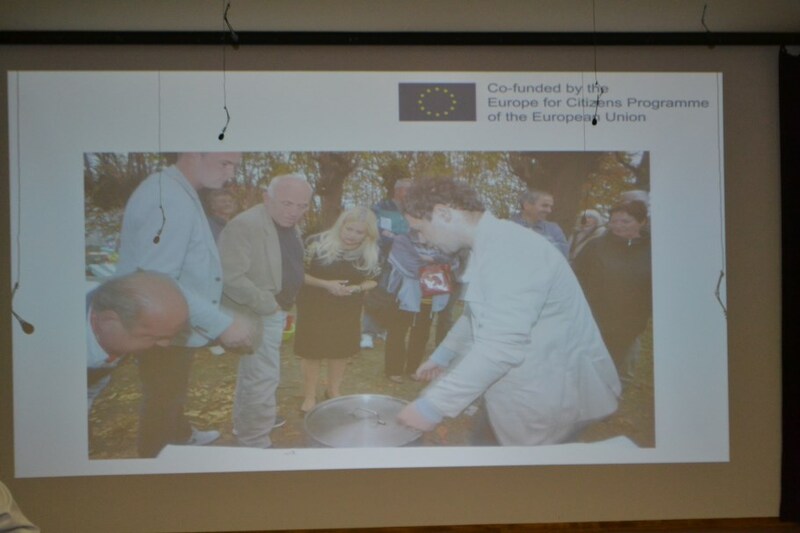 Most of participants expressed their regret that wire is separating two EU Member States. 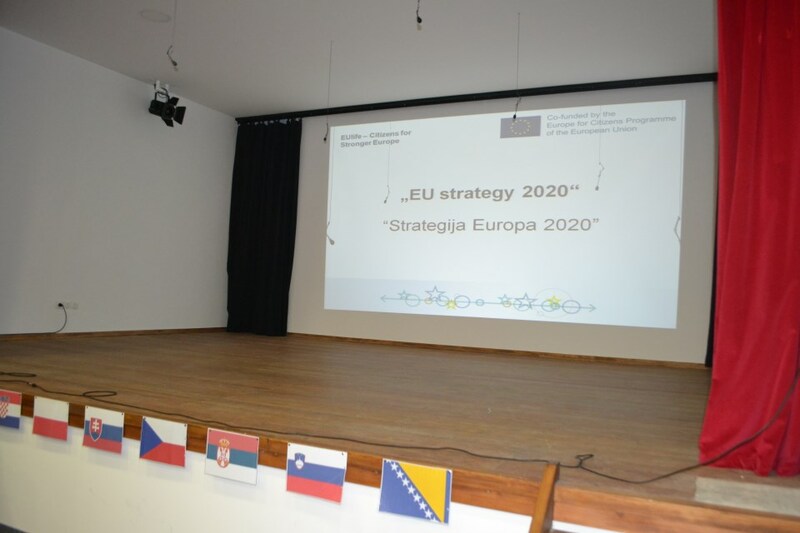 The aim of this workshop was to bring citizens of EU States closer. 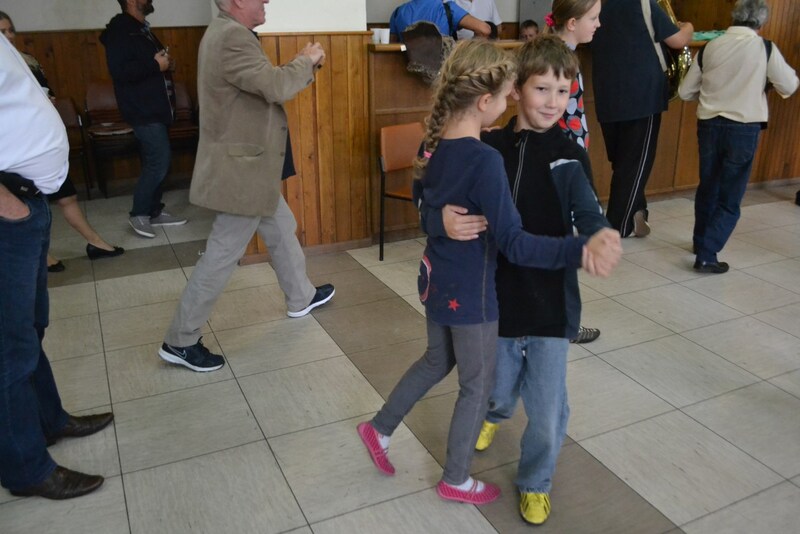 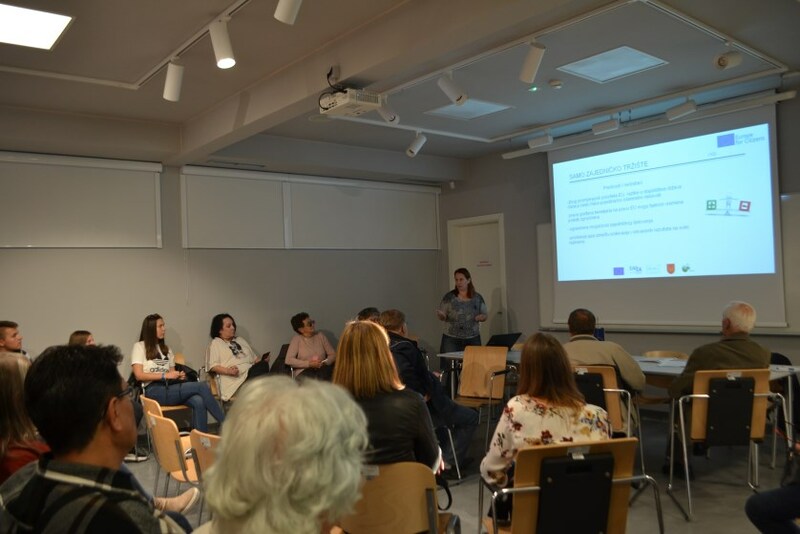 WORKSHOP “WITHOUT BULLYING AMONGST CHILDREN” – Family center of County Zagorje had an interesting presentation followed by discussion about solidarity between children and youngsters. 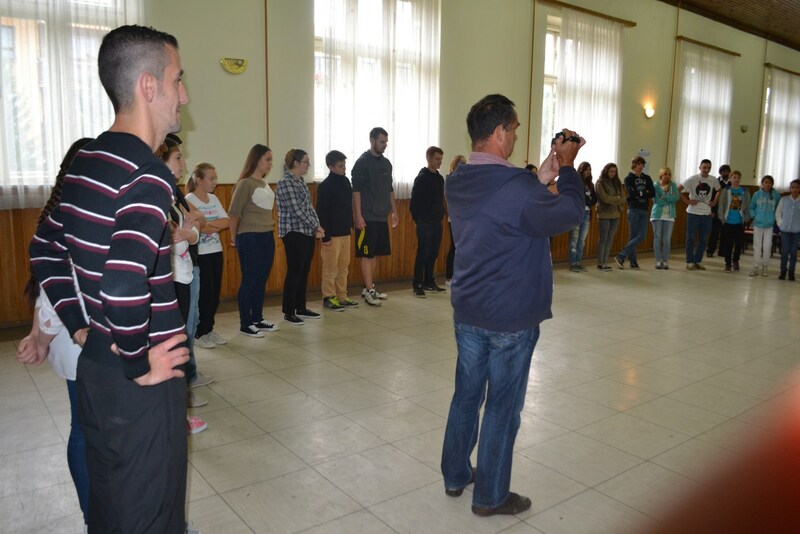 Participants talked about importance of nondiscrimination based on disabilities, gender, race or economic standard. 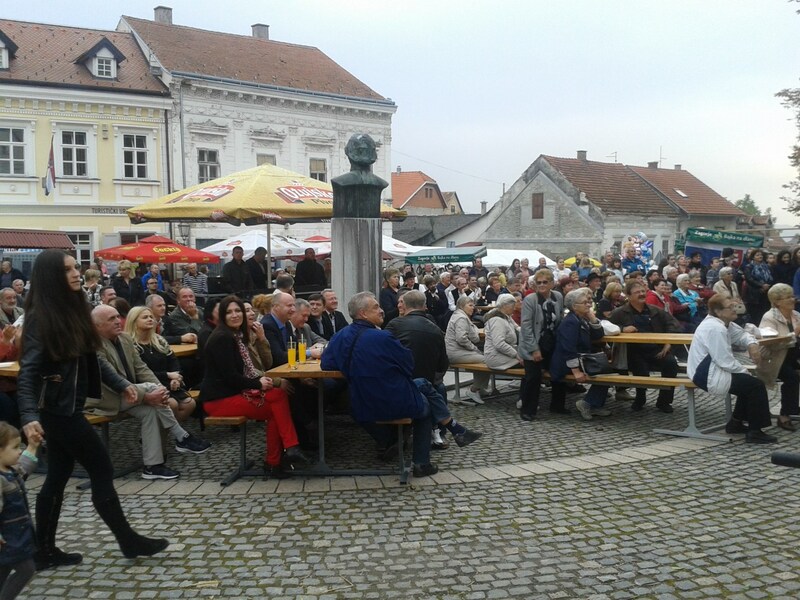 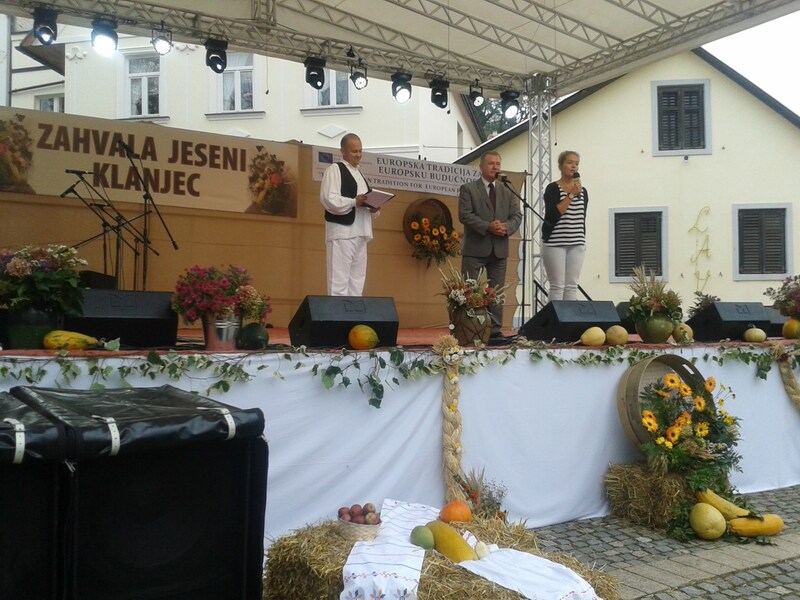 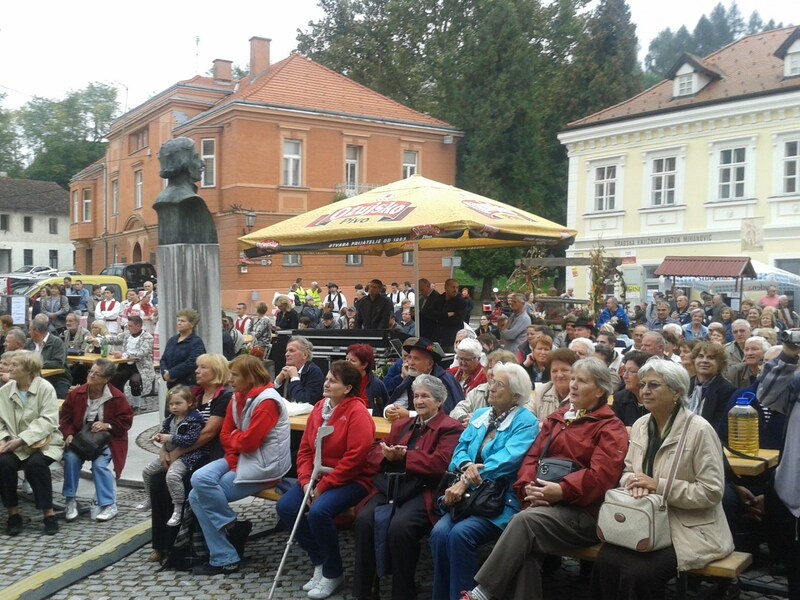 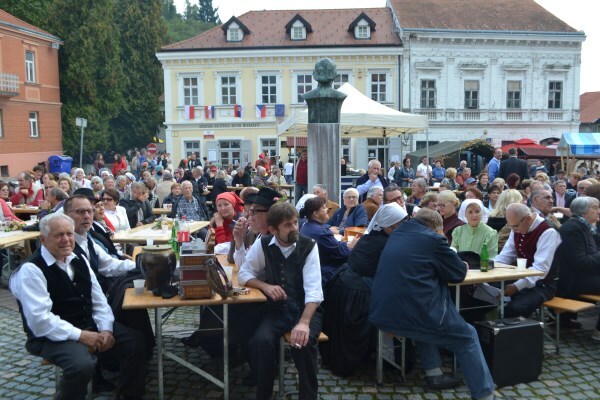 INTERNATIONAL CHARITY CULTURAL SHOW on main square gathered citiziens of Klanjec and surrounding area who watched participants present ther cultural heritage. 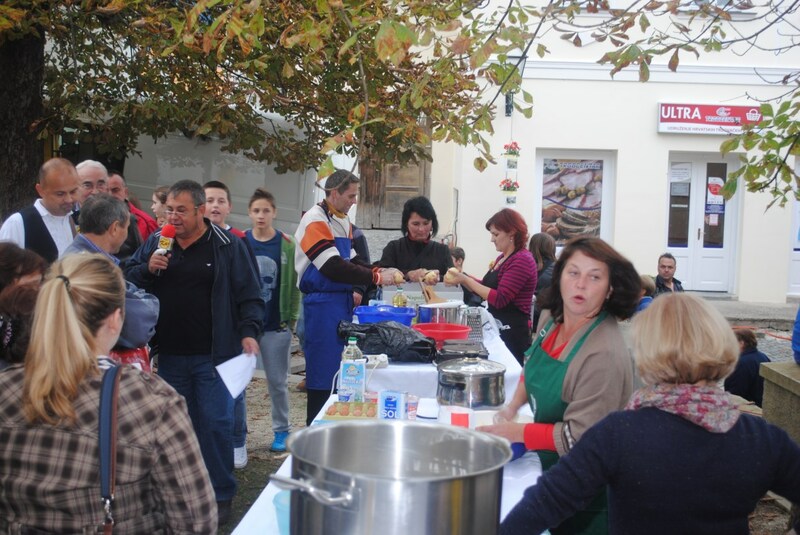 Donations were collected for immigrants by city red cross branch of Klanjec. 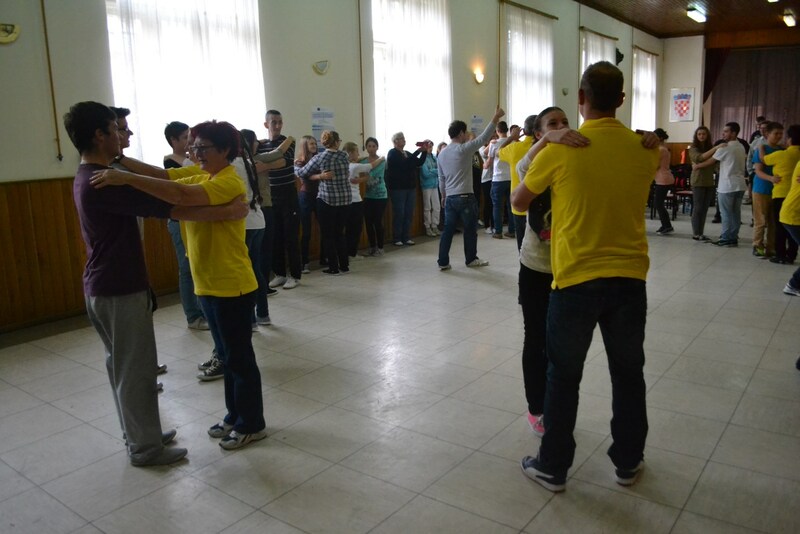 The day of 02/10/2016 was dedicated to workshop EU charter of fundamental rihts, excursion, cultural show and departure of participants. 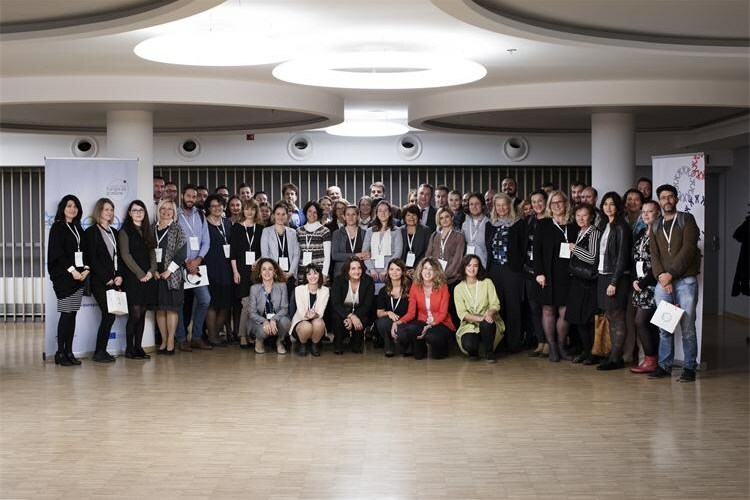 WORKSHOP EU CHARTER OF FUNDAMENTAL RIGHTS – participants shared their opinions about human rights and Asylum laws in participant countries. 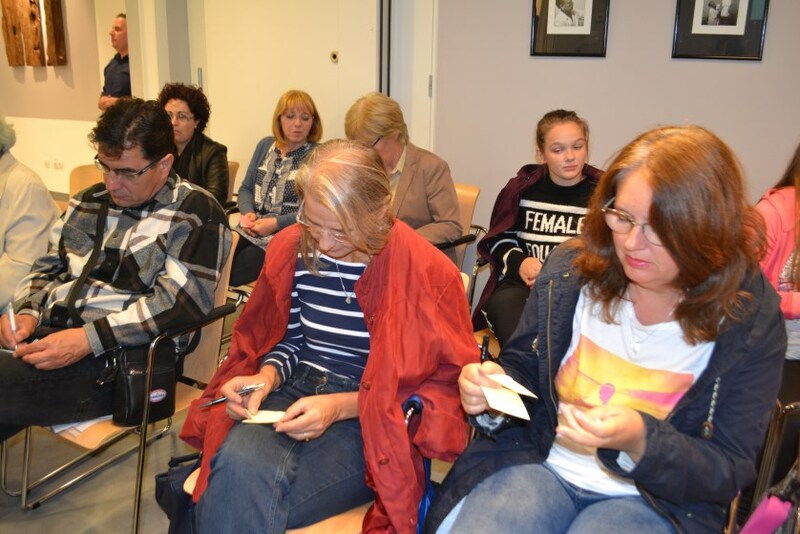 They discussed problems that refugees experience when applying for asylum. 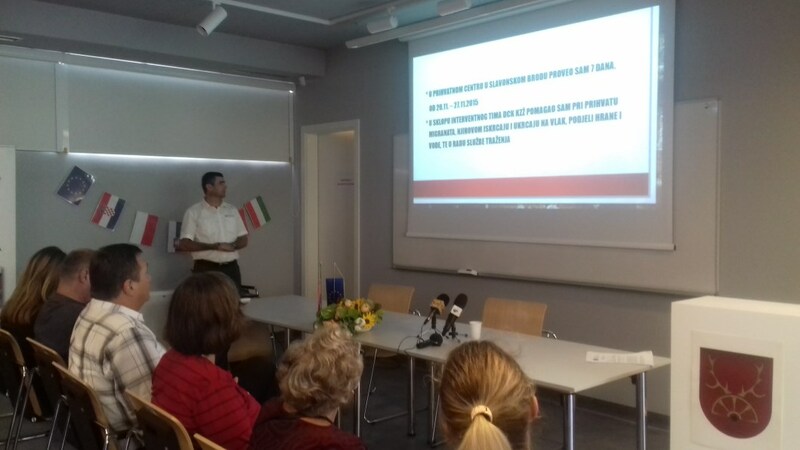 The main aim of this workshop was reached and that is spreading the awarness of human rights in everyday life of citizens of Europe. U okviru realizacije programa Europa za građane koji je Grad Klanjec pod nazivom SolidEU – About solidarity in EU realizirao od 30. rujna do 2. listopada i to u suradnji s s partnerskim organizacijama: pobratimljenim gradom Wilamowice iz Poljske, Općinom Rajecké Teplice iz Slovačke, Hrvatsko kulturno-prosvjetnim društvom “Jelačić” Petrovaradin iz Srbije, Općinom Starše iz Slovenije te slovenskim Društvom umirovljenika Bistrica ob Sotli održana je i tribina pod nazivom Bez granica (“Bordless”, debate, part 1.). 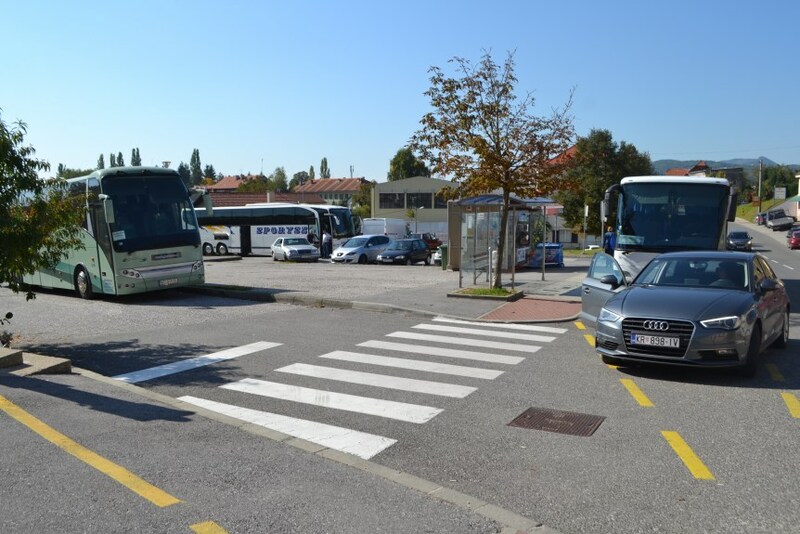 U subotu, 1. listopada 2016. s početkom u 10, 00 sati u dvorani Studija Galerije Antuna Augustinčića na tribini su sudjelovali građani iz Petrovaradina u Srbiji, Grada Wilamowice iz Poljske, Općine Rajecké Teplice i Grada Klanjca. Zanimljivo da je ova tribina kao jedna od niza aktivnosti u okviru trodnevnog programa Europa za građane održana kao prvi program u novootvorenom prostoru Studija Galerije AA koji je izgrađen i opremljen sredstvima Europske unije u okviru Operativnog programa Regionalna konkurentnost 2007. 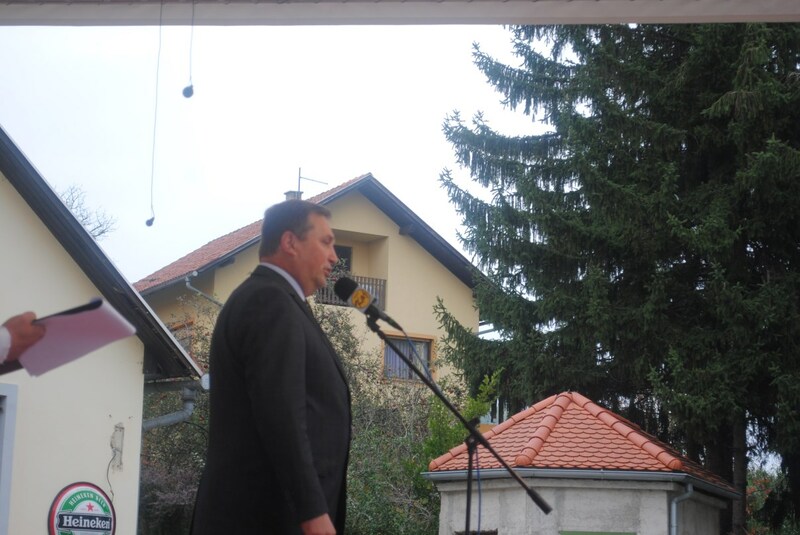 – 2013. za Shemu dodjele bespovratnih sredstava za poslovnu infrastrukturu. 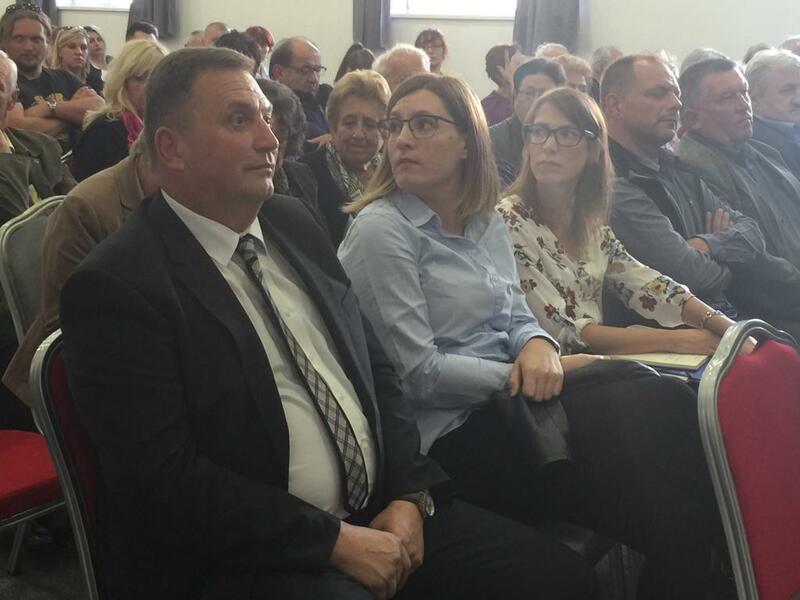 Uvodno izlaganje o migracijskoj krizi koja se dogodila Europskoj uniji održala je hrvatska zastupnica u Europskom parlamentu Biljana Borzan, a na tribini i župan Krapinsko-zagorske županije Željko Kolar, gradonačelnik Grada Klanjca Zlatko Brlek, te gradonačelnik Wilamowica Marjan Trela su imali priliku čuti i razmijeniti razmišljanja s građanima. 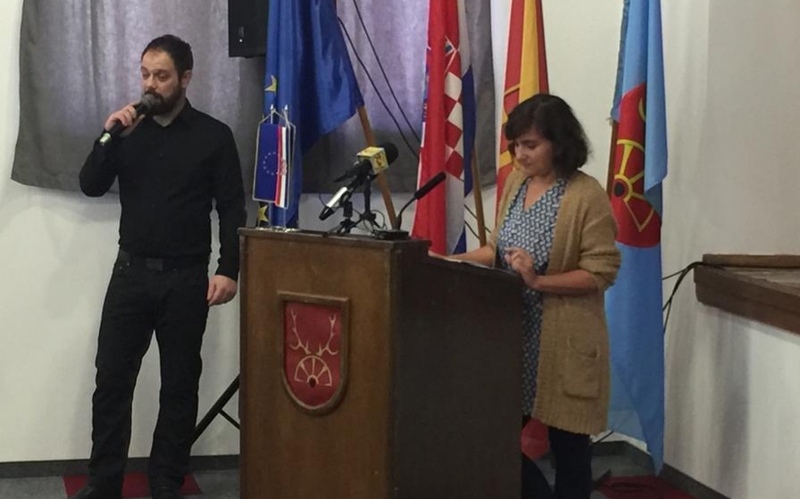 U svom uvodnom izlaganju europarlamentarka Biljana Borzan osvrnula se na različite stavove vezane uz politike rješavanja migracijske krize koje u Europskoj uniji zauzimaju pojedine njene članice, a jednako tako i o različitim rješenjima koje predlažu europska krajnja ljevica i krajnja desnica. 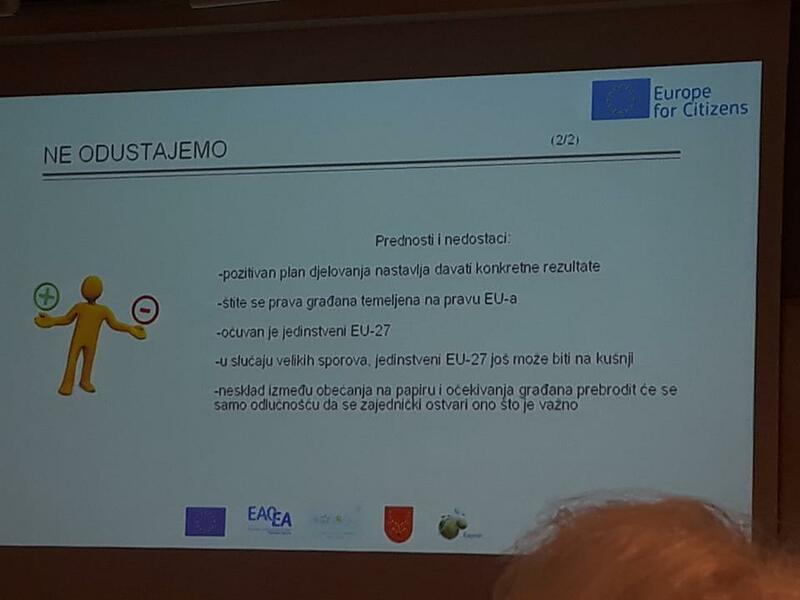 Iznijela je i neke konkretne planove koje planira Europska komisija, prvenstveno vezane uz jačanje Frontexa, ali i činjenicu da EU ovog trenutka teško dolazi do jasno definirane i utvrđene zajedničke politike prema migrantima. 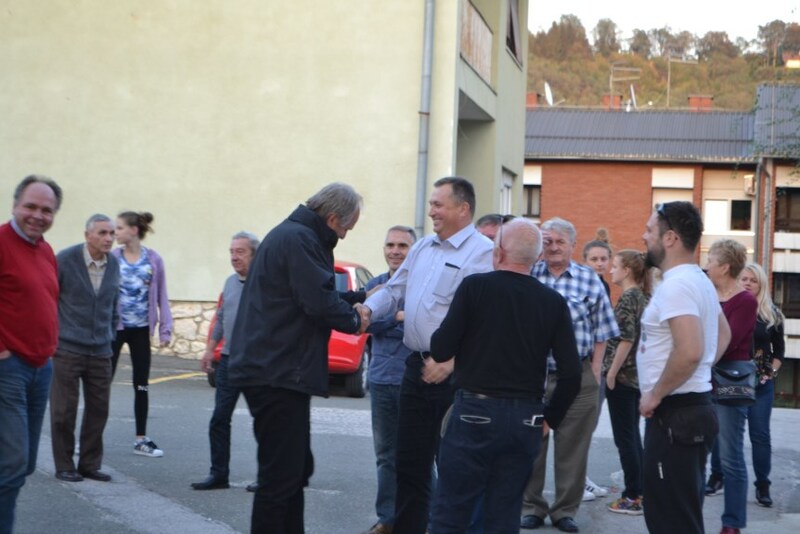 U živoj raspravi na debati građani su iznijeli razmišljanja o potrebi pokazivanja empatije, solidarnosti s ljudima koji bježe zbog životne ugroze, koji su pravi izbjeglice zbog ratnih prilika, azilanti, ali i kritiku vezanu uz nerješavanje žarišta krize na ratnim područjima, prvenstveno u Siriji. 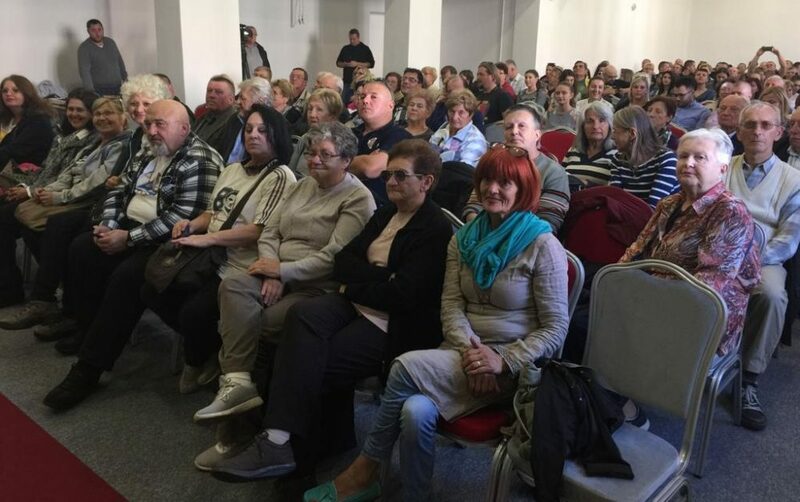 Većina misli da je potrebno razlikovati ratne izbjeglice od ekonomskih migranata, ali jednako tako da migranti moraju prihvatiti civilizacijske tekovine zapadne kršćanske Europe ukoliko su ovdje došli u potrazi za sigurnijim i boljim životom te da je socijalna asimilacija nužna. 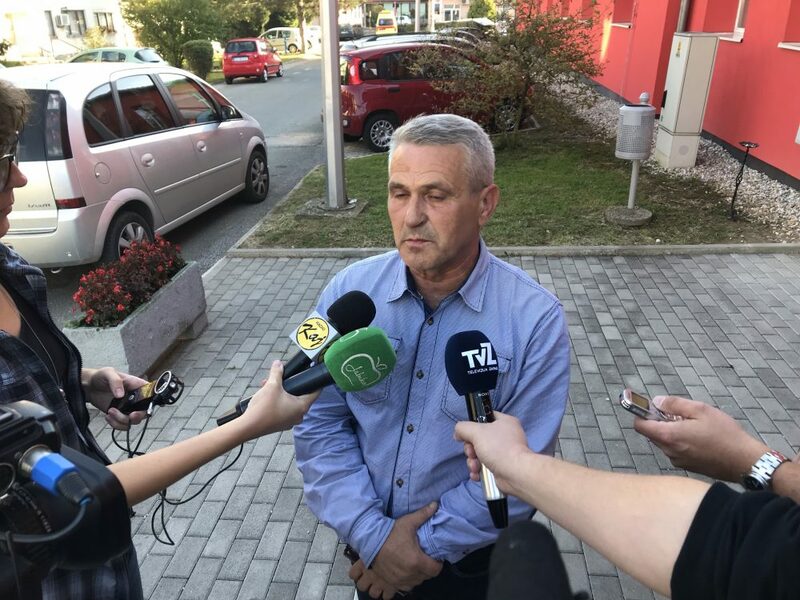 Ravnatelj Gradskog društva Crvenog križa Mario Harapin održao je kraće izlaganje uz video prezentaciju sudjelovanja u prihvatu migranata u prihvatnom centru u Slavonskom Brodu. 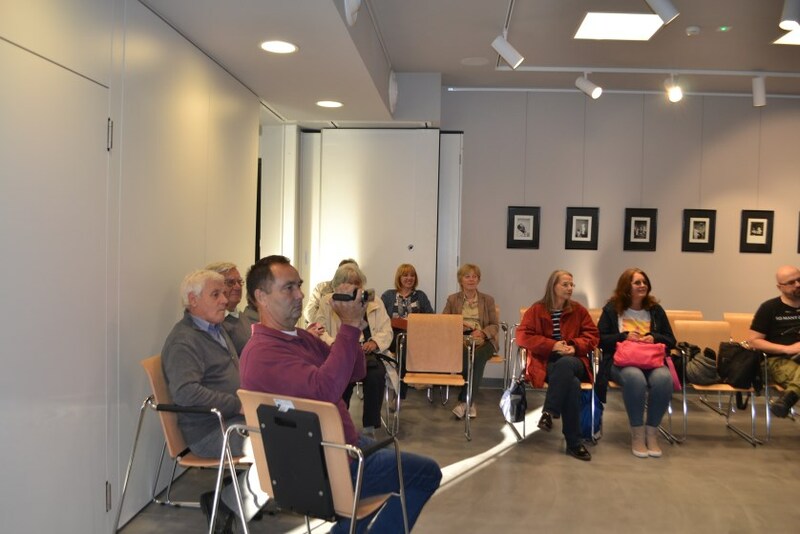 Fotografije iz prihvatnog centra, a osobito djece i starijih osoba koji su prošli 2015. godine kroz centar, izazvale su emotivne reakcije okupljenih građana na tribini. 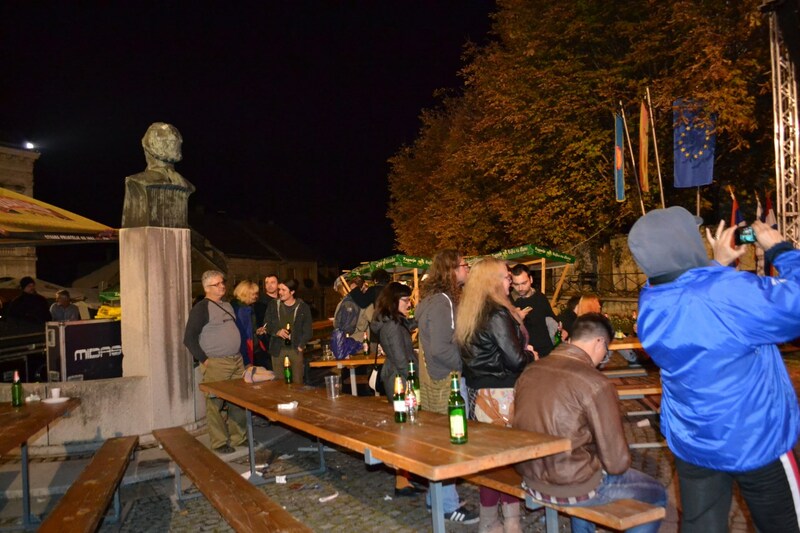 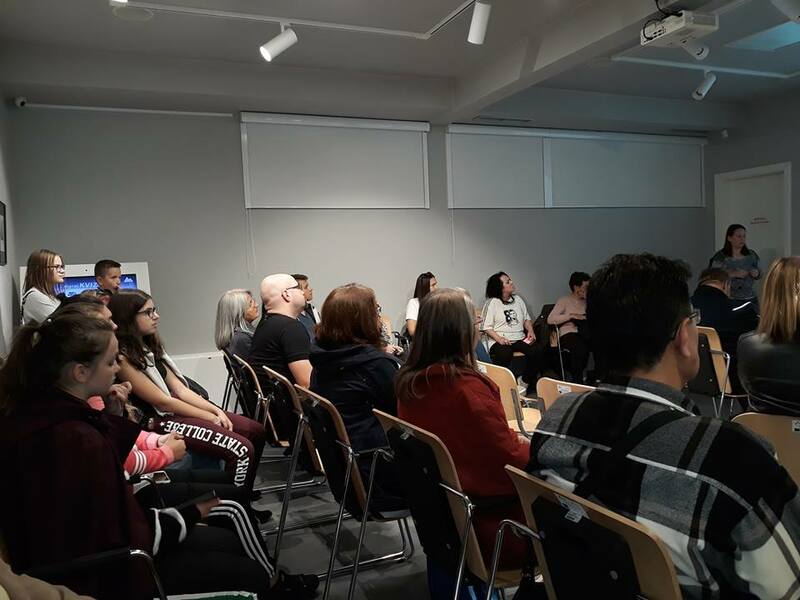 As part of Europe for Citizens programme SolidEU – About solidarity in EU, the debate about immigration crisis under the name “Borderless” was held on Saturday, the 1st of October in Studio Galery Antun Augustinčić in Klanjec. 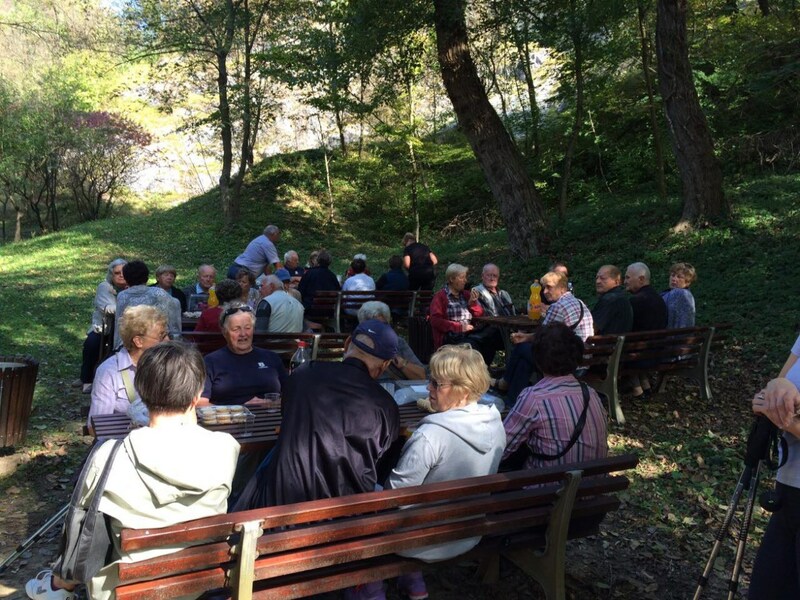 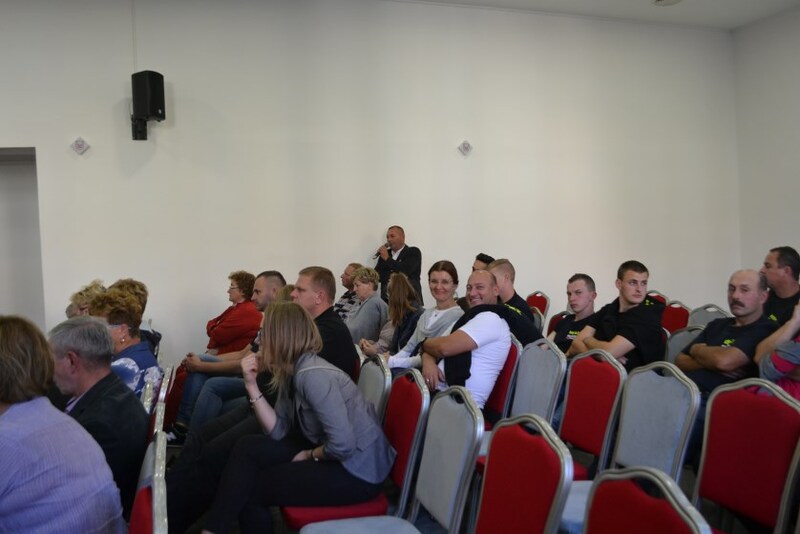 Participants from Klanjec’s twinned town Wilamowice , Petrovaradin, Rajecke Teplice and Klanjec actively discussed immigration politics. 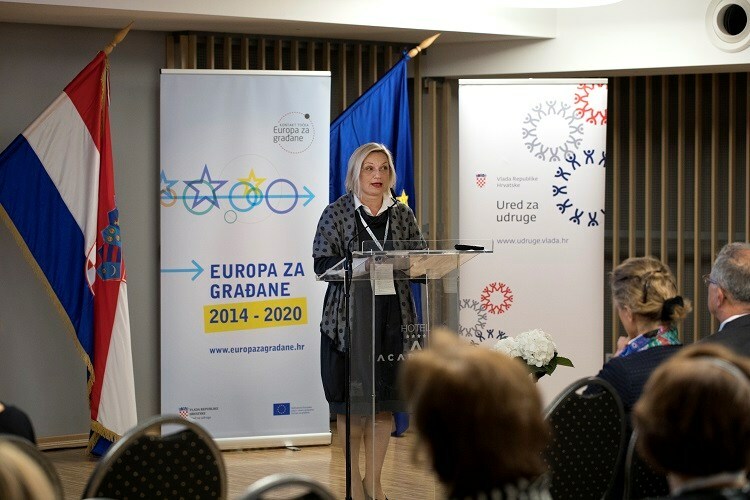 Member of European Parliament Biljana Borzan opened the debate and talked about attitude of EU Member States towards migration crisis and different solutions that they propose. 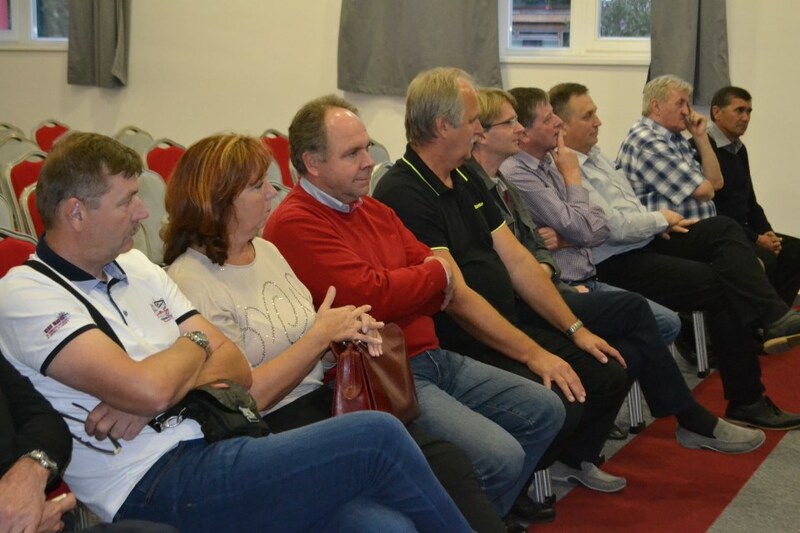 Zlatko Brlek, mayor of town Klanjec, Marjan Trela, mayor of town Wilamowice and county prefect Željko Kolar had the opportunity to listen and exchange thoughts about immigrants with citizens. 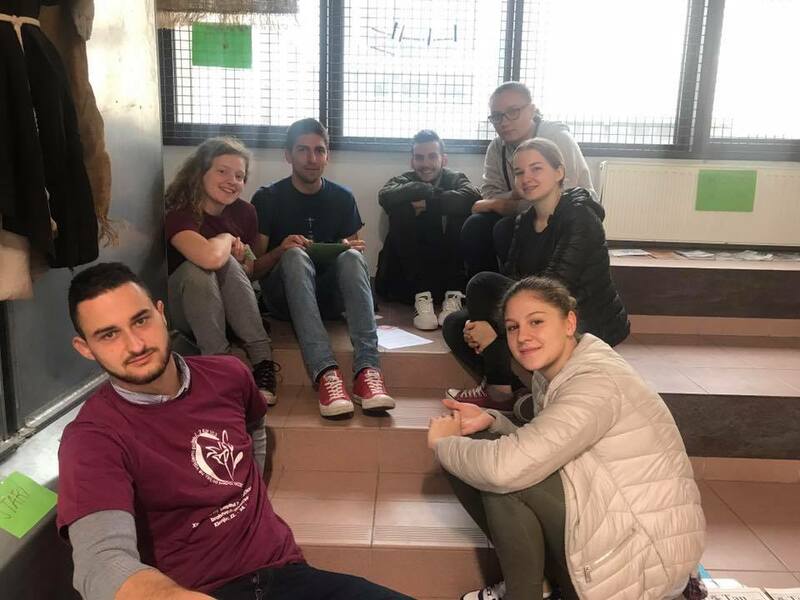 Participants had firm opinions about immigration crisis, emphasis was put on solidarity towards immigrants but also on finding solution to crisis in its focus. 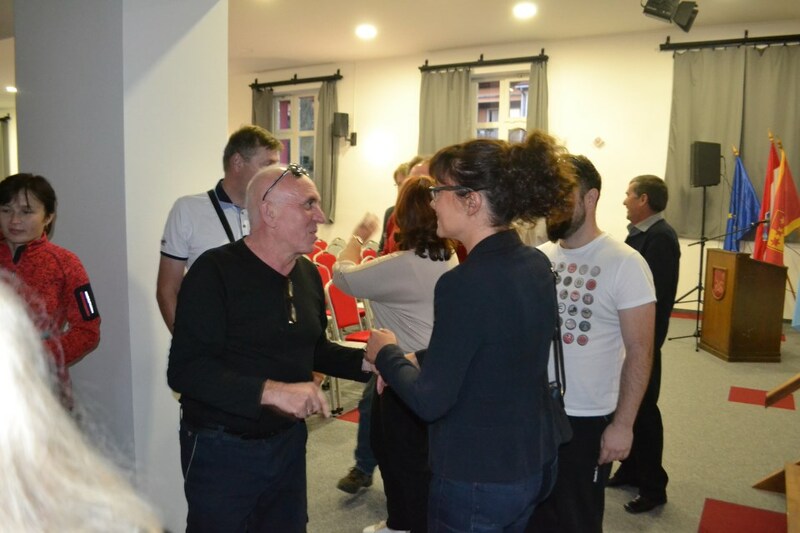 At the end of debate, Mario Harapin, director of City Red Cross branch of Klanjec, held a presentation about Transit camp for migrants and refugees in Slavonski Brod. 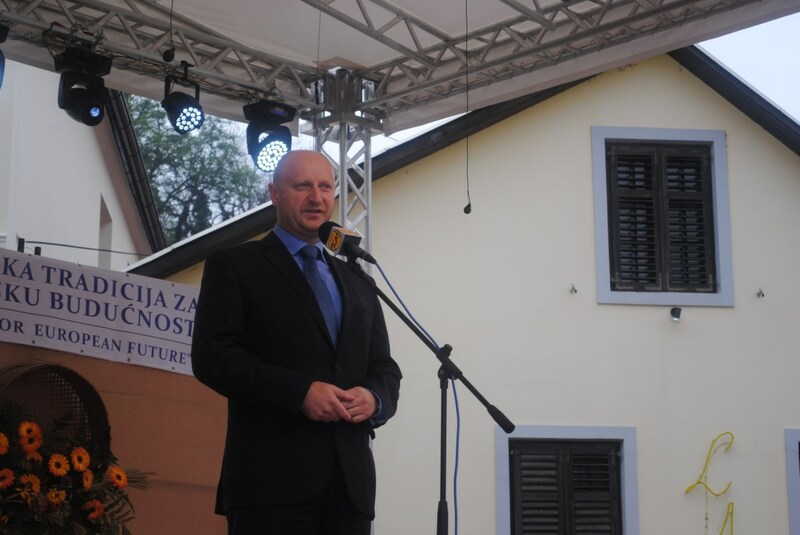 Nakon prvog dijela debate koja je u subotu, 1. listopada 2016. s početkom u 10,00 sati održana u prostoru Studija Galerije AA, na otvorenom prostoru zaštićenog krajolika Zelenjak održan je drugi dio debate s naglaskom na postavljanje žilet žice kao jednog od političkih rješenja za sprječavanje ulaska migranata kojem su pribjegle neke od članica EU. 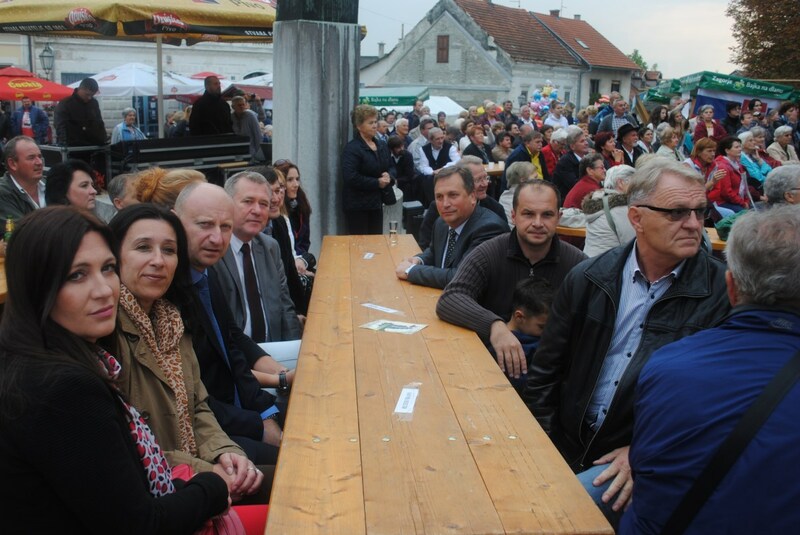 Kako se žilet žica koju je duž granice s Hrvatskom postavila Slovenija nalazi upravo u Zelenjaku željelo se o tom problemu razgovarati upravo na licu mjesta, s pogledom na tako razdvojenu granicu između dviju članica EU. 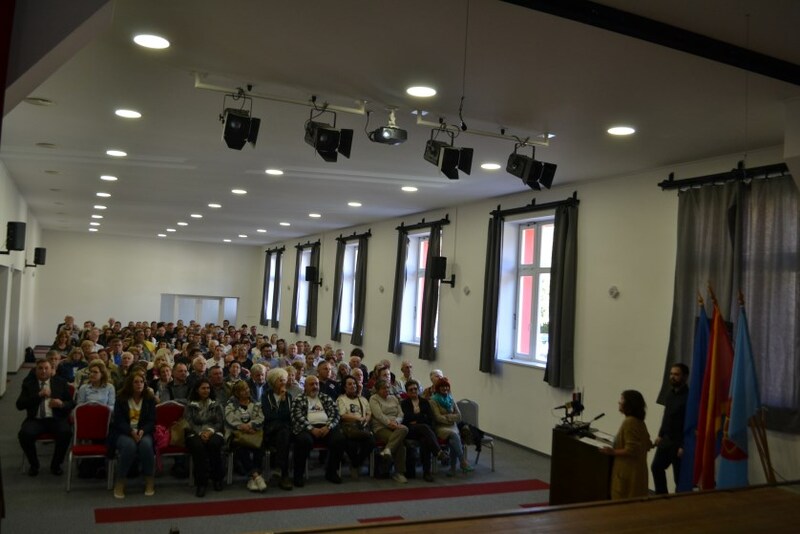 U debati su sudjelovali građani iz Bistrice ob Sotli okupljeni u Društvo upokojencev, Udruga umirovljenika Grada Klanjca, članovi udruge “Korak po korak do zdravlja” te građani iz Rajeckih Teplica u Slovačkoj. 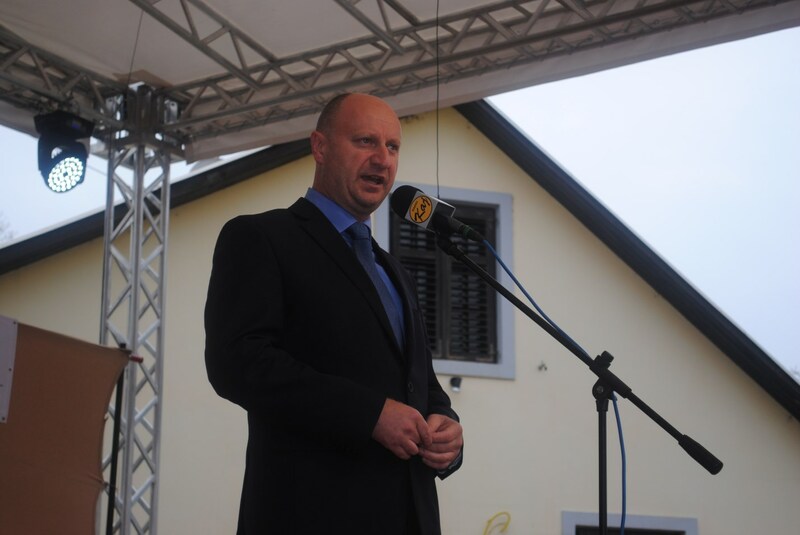 Uz piknik u prirodi razgovaralo se o migracijskoj krizi, europskim politikama vezanim uz njezino rješavanje te su razmijenjena mišljenja o žilet žici koje su neke države postavile na svojim granicima kako bi spriječile ulazak migranata na svoja područja. 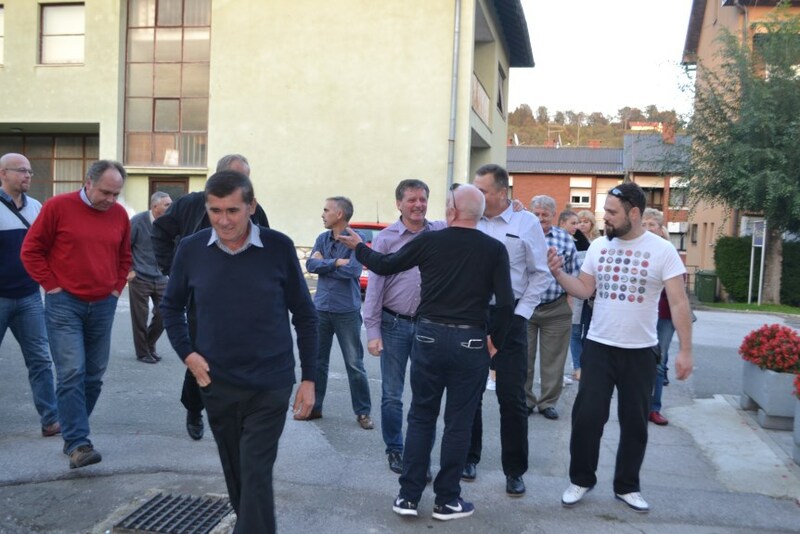 U živom razgovoru istaknuto je žaljenje građana, osobito pograničnog područja Klanjca i Bistrice ob Sotli koji rijeku Sutlu nikada nisu doživljavali kao granicu koja razdvaja te i danas imaju dobre međusobne dobrosusjedske odnose. 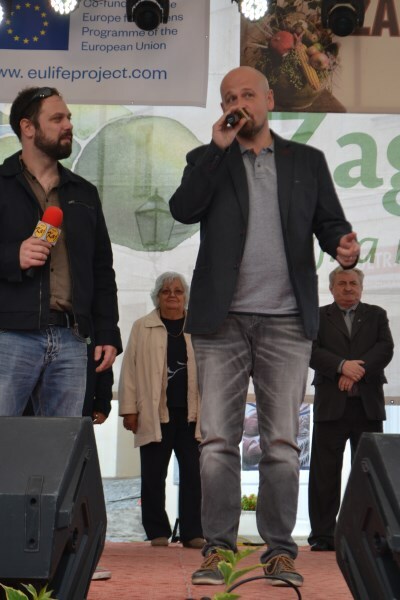 Iz tog razloga teško im je gledati žicu postavljenu dijelom i u zaštićenom krajoliku prirode koja ugrožava životinje, a u krajnjem slučaju ne može spriječiti fizički ulazak migranata. 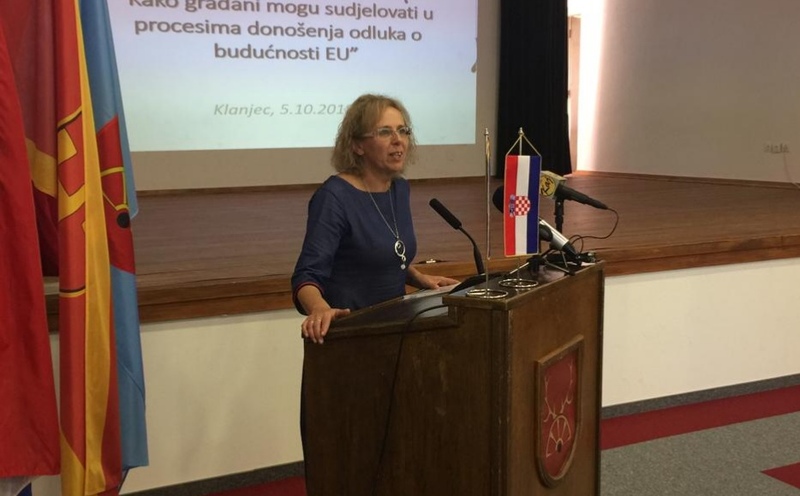 Građani okupljeni na ovom susretu izrazili su svoj stav da žicu treba što prije ukloniti te da ona ne može razdvajati države članice EU, nakon toliko dugo priželjkivane Europe bez granica. 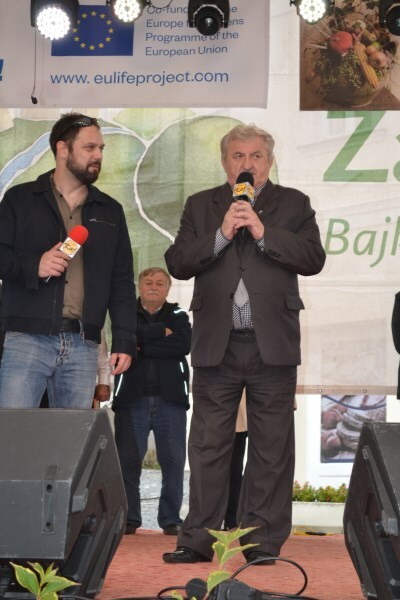 Zajednički je stav koji se mogao izdefinirati na kraju debate da velika većina građana koji su sudjelovali na ovom susretu misli kako bi Europska unija trebala doći do zajedničke politike prema migrantima te da je solidarnost prema političkim migrantima nužna te da ona ne može oslabiti Europsku uniju jer je dio civilizacijskih tekovina na kojima je izgrađena ideja o zajedničkoj Europi. 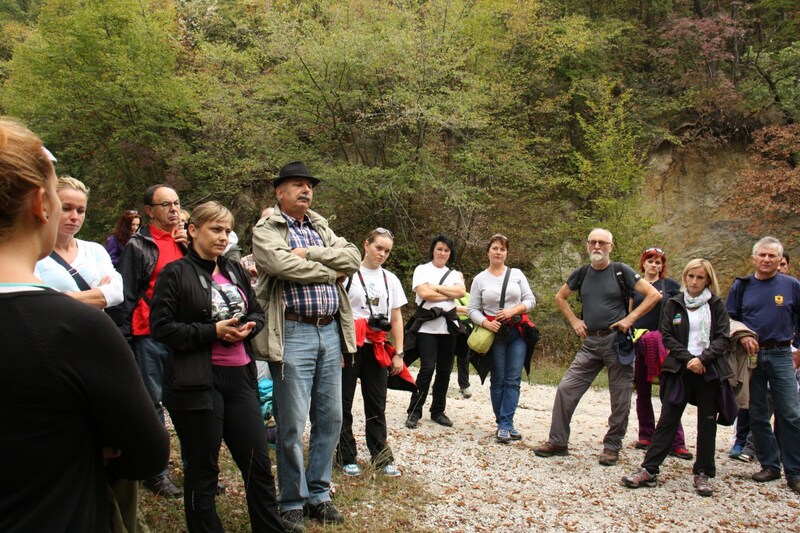 On Saturday, the 1st of October, the second part of debate “Borderless” was held in landscape Zelenjak, protected cultural and natural area. 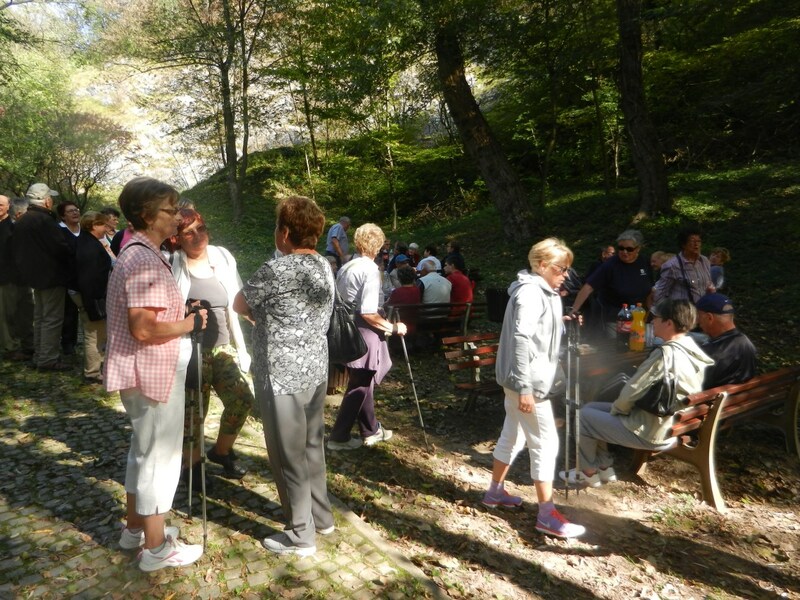 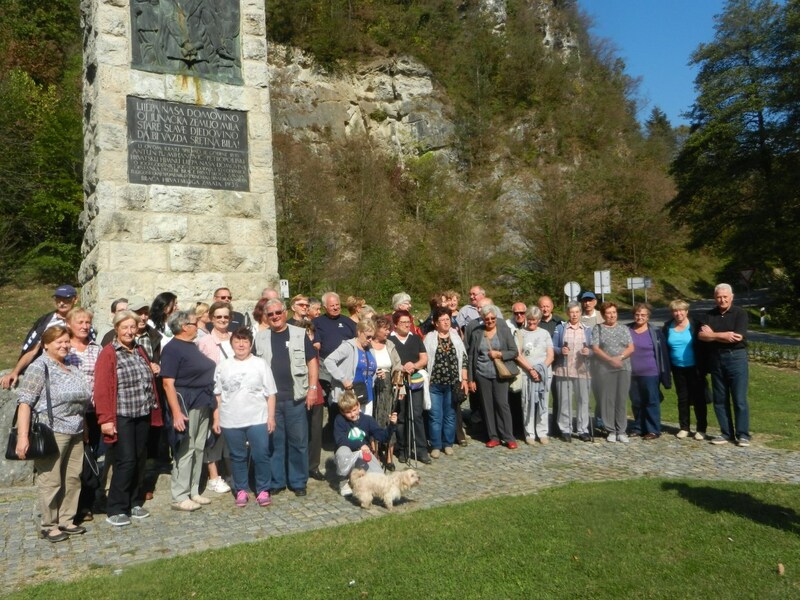 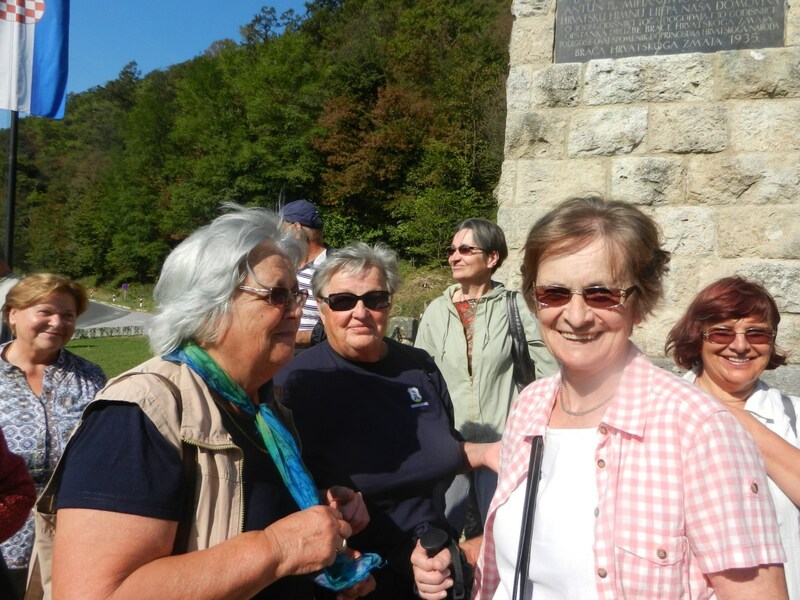 Participants from Bistrica ob Sotli, Rajecke Teplice and Klanjec gathered in Zelenjak along Croatian-Slovenian border where razor wire was put in winter 2015./2016. 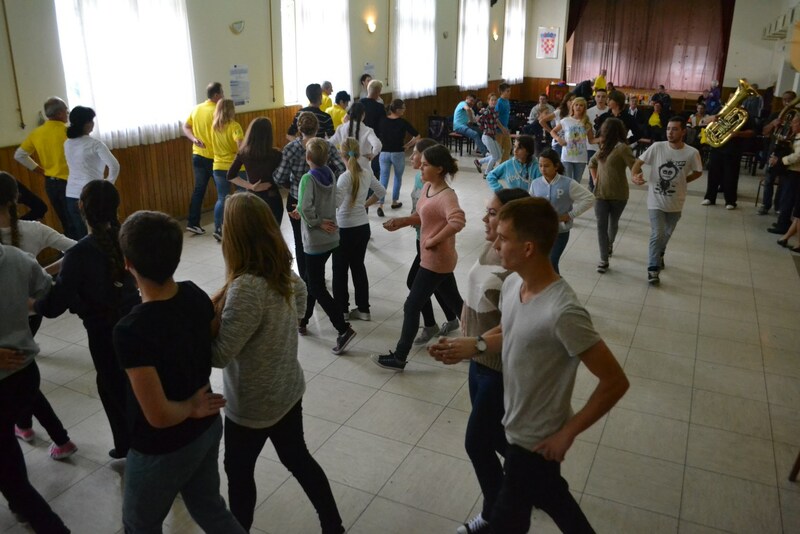 following immigration crisis. 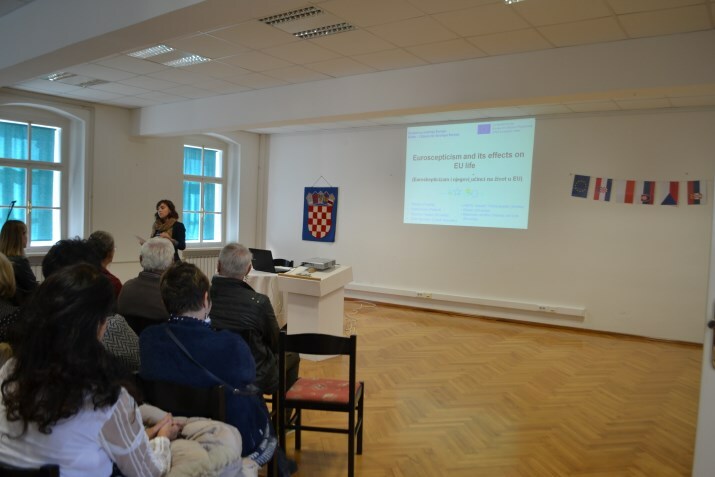 Workshop “Wireless” took place in Zelenjak as it was the opportunity to talk and discuss opinions about wire between Slovenian and Croatian citiziens. 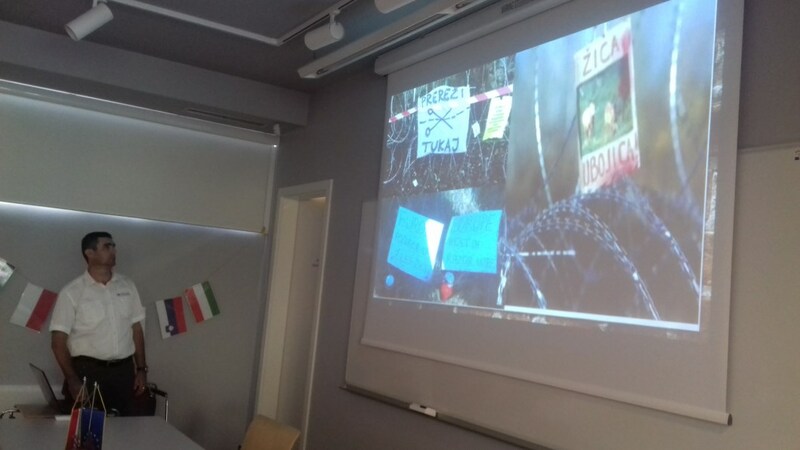 Participants came to conclusion that the wire is not a good idea because it cannot physically prevent immigrants to cross border and it is also a danger for animals. 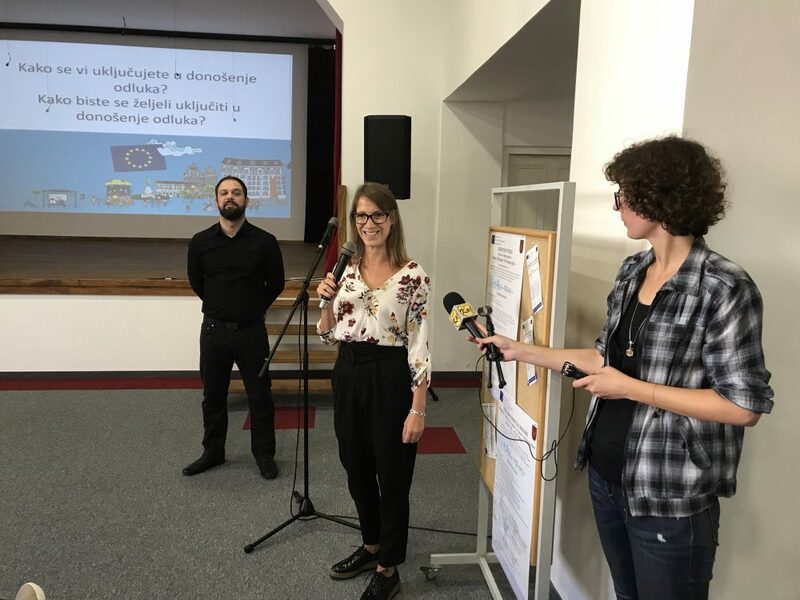 Most of participants expressed their regret that wire is separating two EU Member States and that European Union should design united policy towards immigrants. 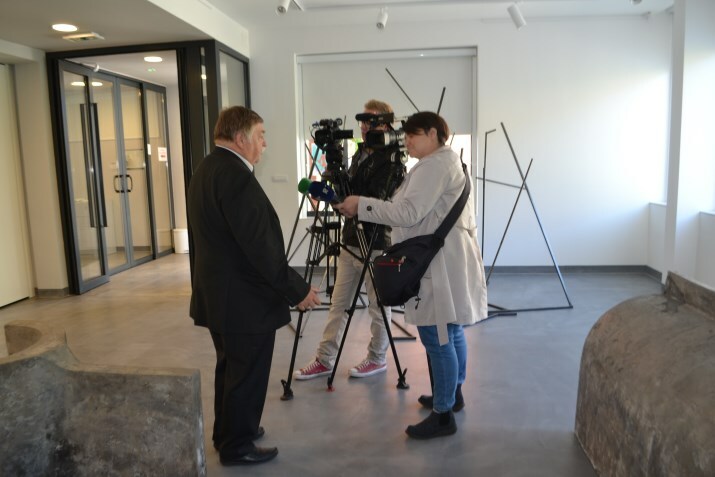 Tijekom neformalnih druženja sudionika projekta organiziran je i izlet u Krapinu te posjet svjetski poznatom Muzeju krapinskih neandertalaca i najposjećenijem hrvatskom muzeju. 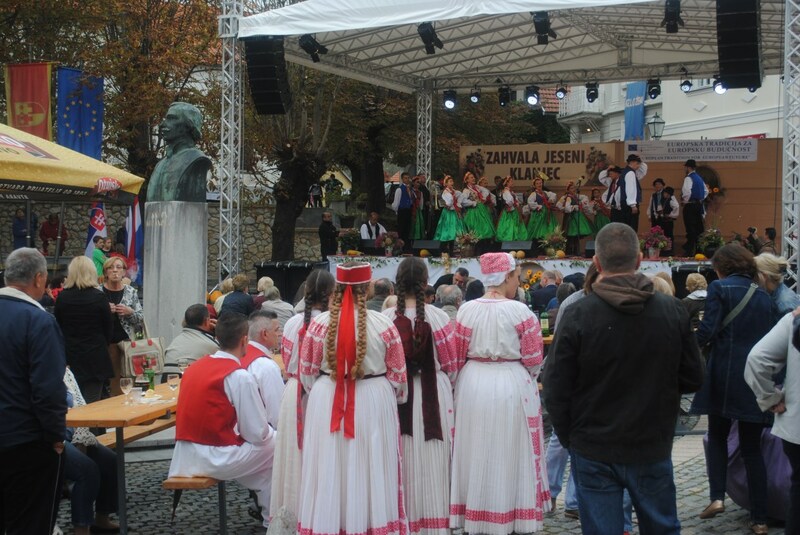 Sudionici iz Poljske, Slovačke i Slovenije, zajedno s domaćinima iz Klanjca ujedno su posjetili i centar Krapine, administrativno središte Krapinko-zagorske županije. 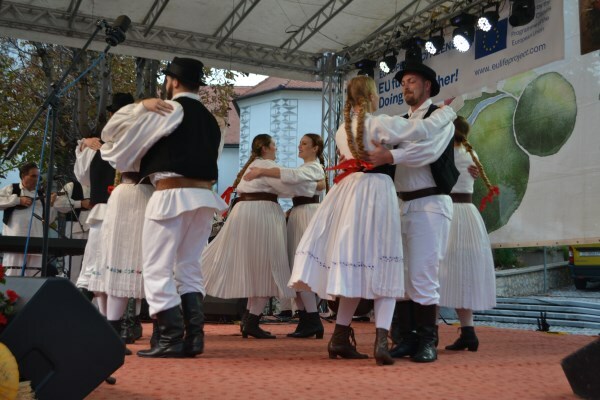 U neformalnom druženju tijekom posjeta i razgledavanja razmijenili su iskustva u financiranju kulturne baštine iz fondova EU. 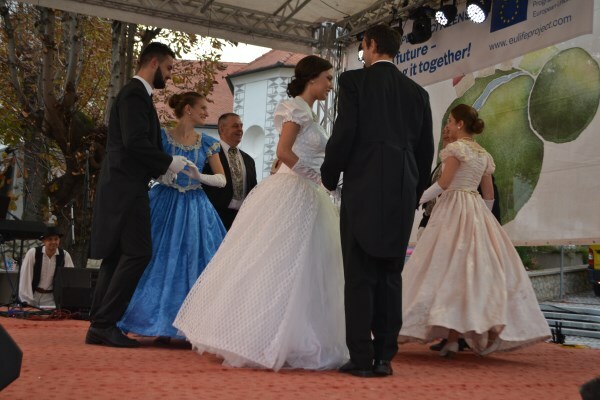 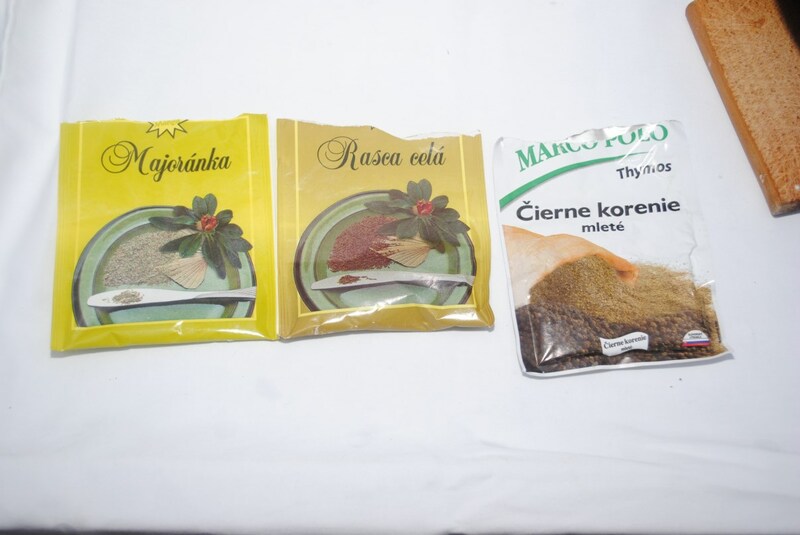 Zahvala jeseni u Klanjcu 2014. 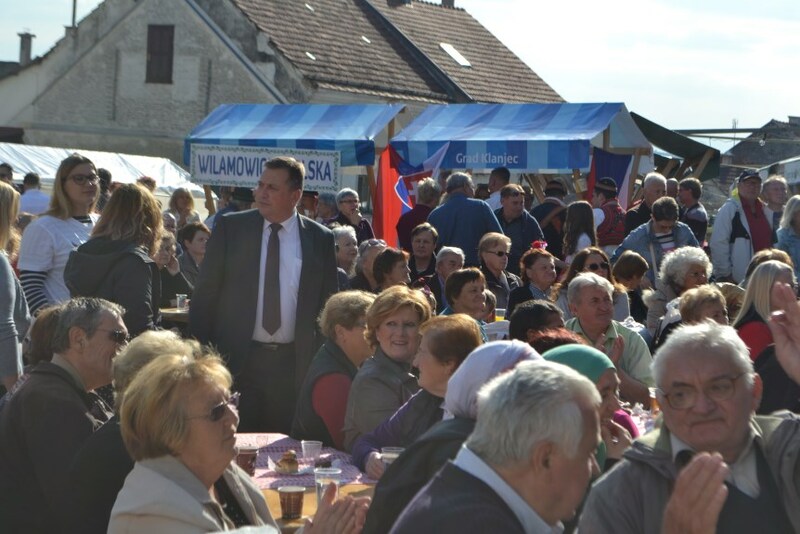 Članak objavljen u zagorskom listu od 18.11.2014.